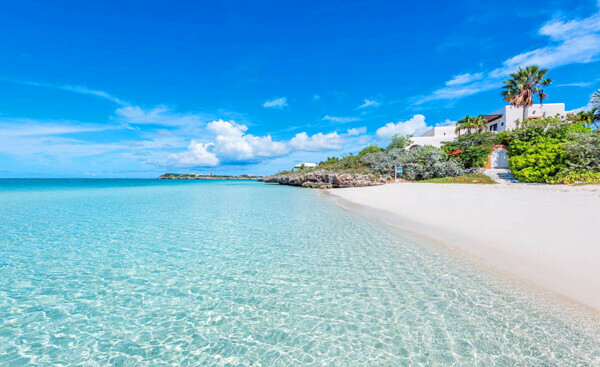 Can’t get enough of those beautiful Caribbean beaches but don’t want to drive your rental car there to enjoy it? 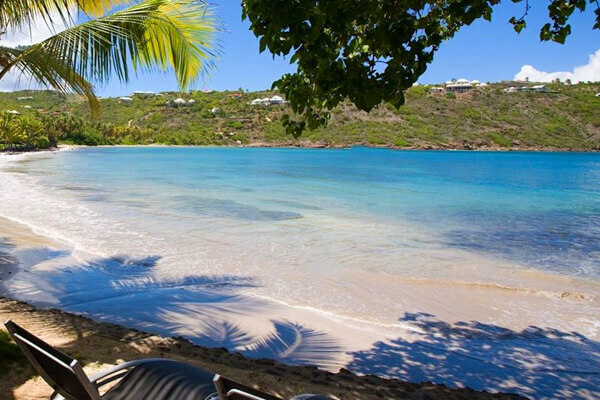 Take a look at some of our favorite beachfront villa rentals below! 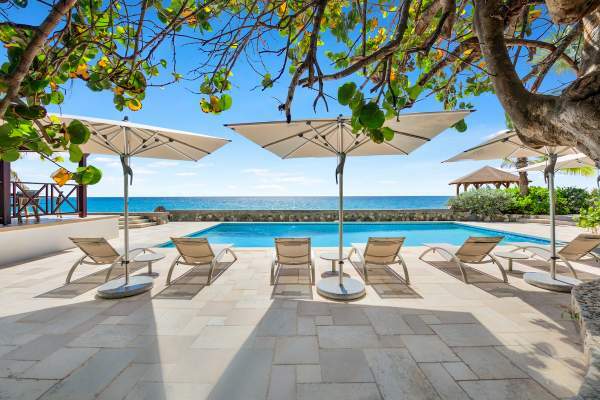 Whether you want to swim, sunbathe, walk, jog or snorkel, just walk out the door of your private beachfront villa. 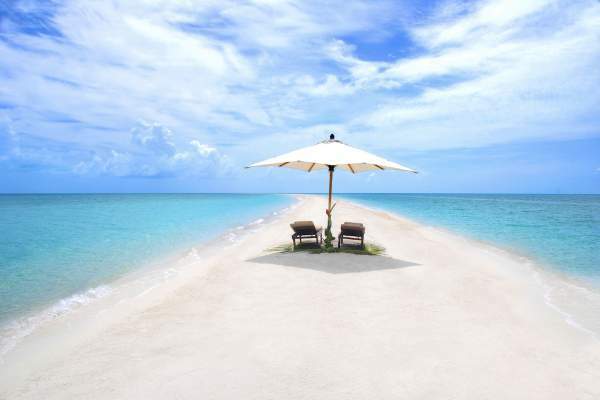 Don’t sacrifice privacy and solitude by settling on a beachfront hotel. 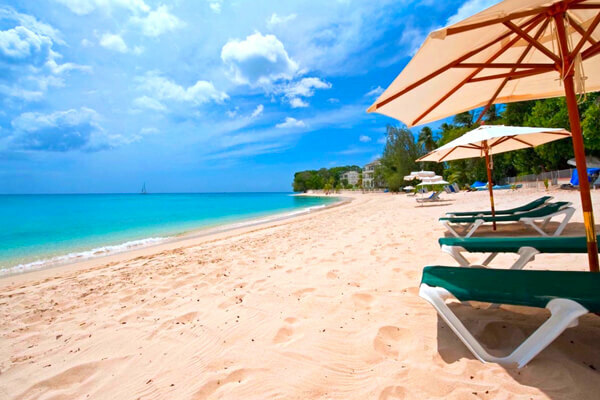 By renting a private beachfront villa you can have your beach and enjoy it too! 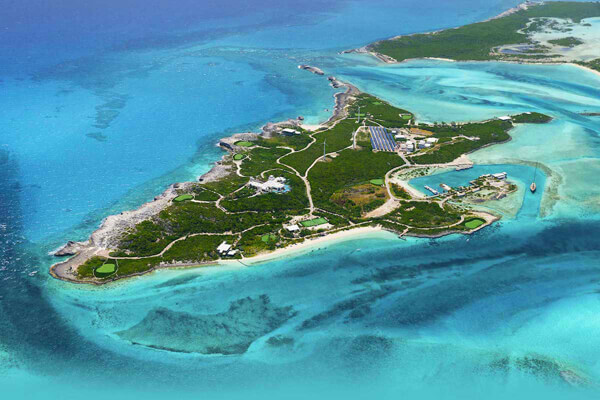 Luxurious, private island with a full staff, six beaches, and every activity you could ask for. 20 BR rate available. 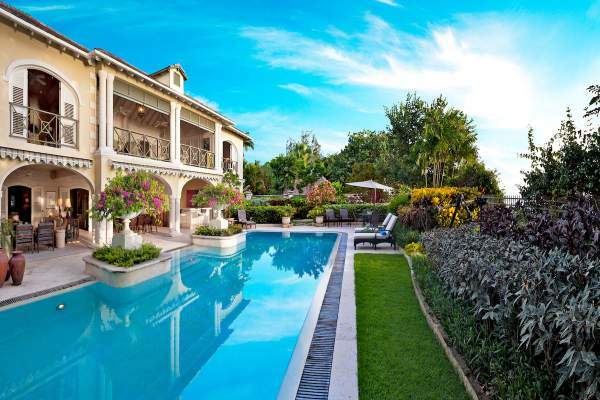 This large villa complex combines three villas into one estate and is the ultimate location for a group. Has specials. 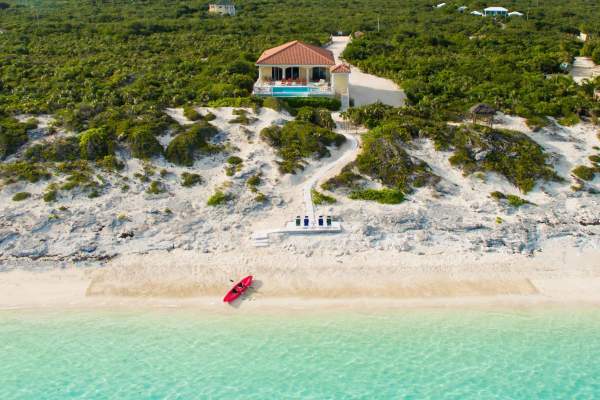 This totally private island will make you feel like royalty. 15 BR rate available. 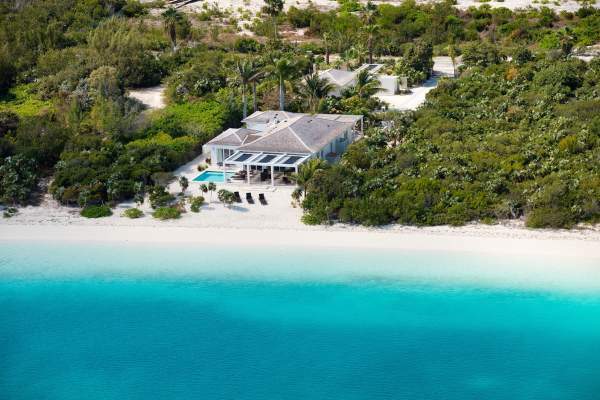 Totally secluded private island with luxurious amenities and a full staff. 6, 7, 8, 9, 10, 11, 12, 13 & 14 BR rates available. 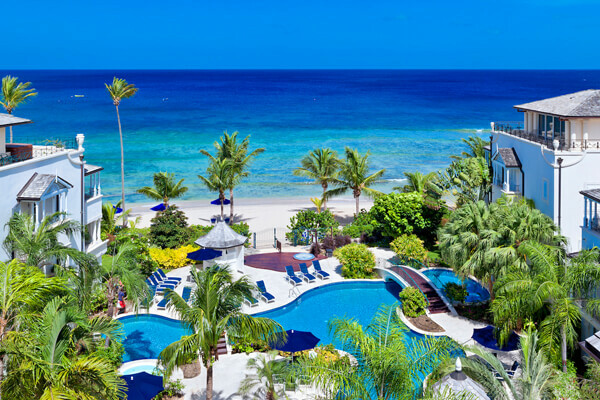 A quietly luxurious, All-Inclusive Hideaway 8 BR rate available. 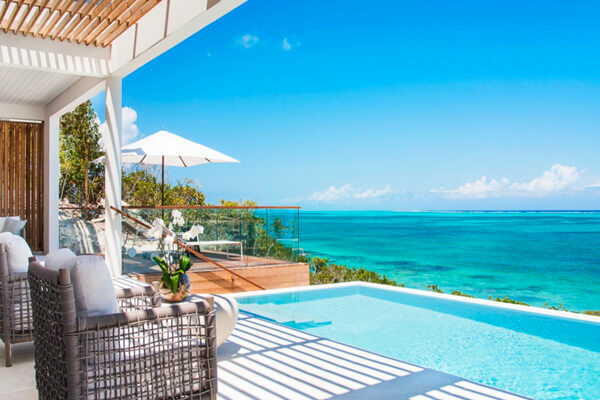 Combine business with pleasure at Musha Cay at Copperfield Bay, where there are five houses to choose from and a host of sporting activities. 6, 7, 8, 9, 10 & 11 BR rates available. 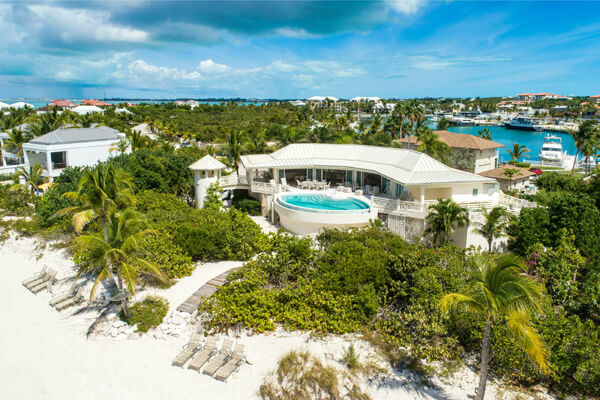 Spoil yourself with luxury amenities, beach access, and gorgeous views inside and out at this private island villa estate. Has specials. 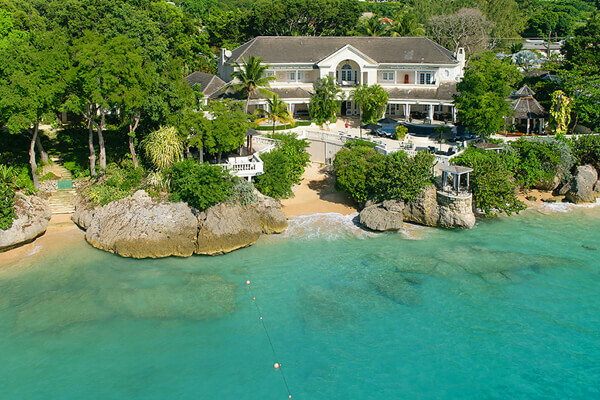 Gorgeous villa estate offers the ultimate in luxury with a private beach, gorgeous views, and resort amenities. Has specials. 2, 3, 4, 5, 6, 7 & 8 BR rates available. Sophisticated, three-story home perfect for family vacation or getaway with friends. 5 BR rate available. Waterfront gem with secluded location, full staff, and a spacious layout. 5 & 8 BR rates available. 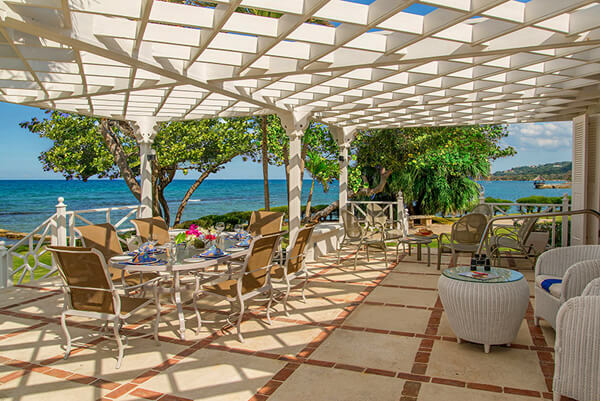 Park yourself right on the beach in Jamaica's 10 bedroom jewel, Flor de Cabrera Villa Has specials. 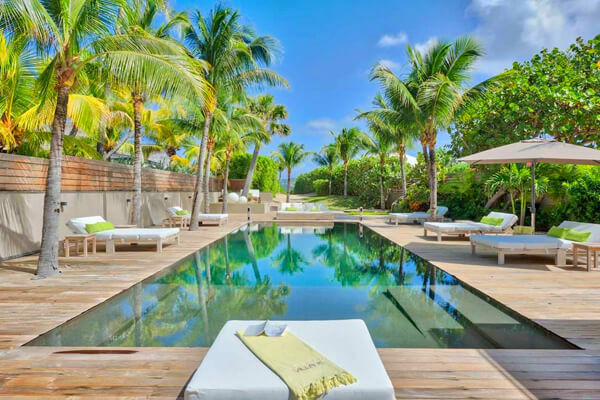 High-end, modern elegance with two pools, two beaches, and two and a half acres. Self-contained hideaway (with its own theater) is a little chunk of paradise to make for the perfect holiday 7 & 8 BR rates available. 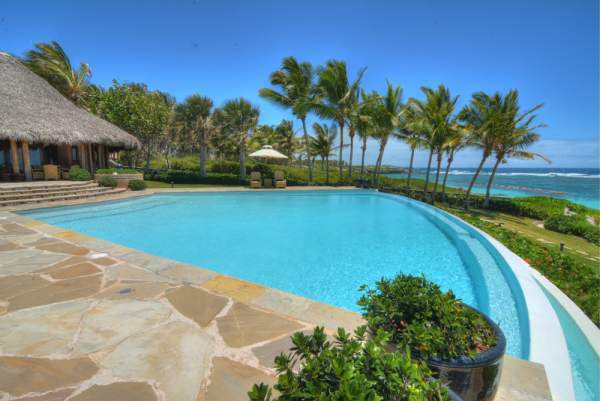 Large beachfront estate with two pools that's ideal for family and friends alike. 4, 5, 6, 7, 8 & 9 BR rates available. 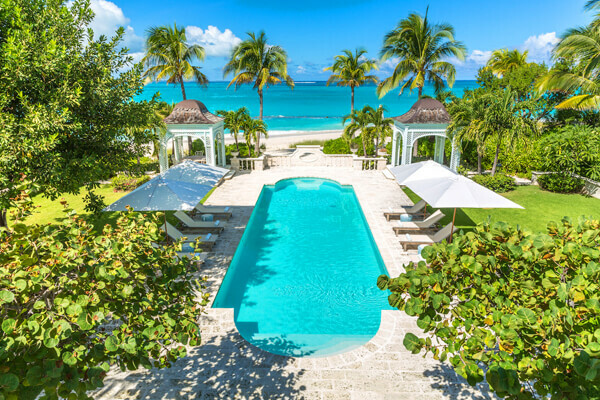 The ultimate in luxury, this 10-bedroom estate sits on the best part of Grace Bay beach. 5, 6 & 8 BR rates available. 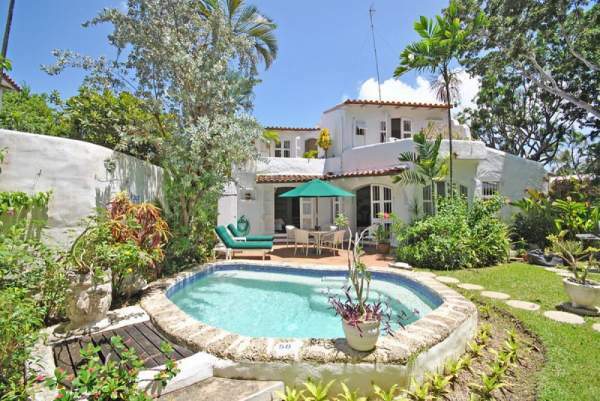 Glamorous, spacious villa with ultra luxurious amenities and a full staff. 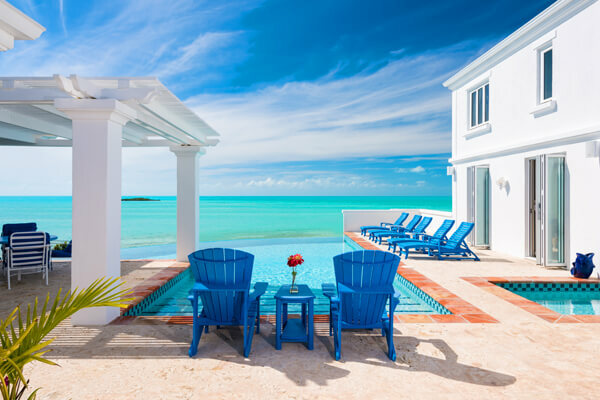 Grace Bay beachfront villa equipped with Apple TVs, a Jeep Wrangler, a gym, and open design. 7 BR rate available. 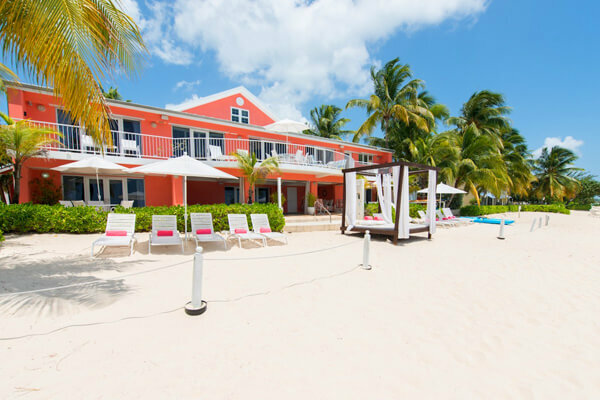 Luxurious, bright pink villa on a pink sand beach. 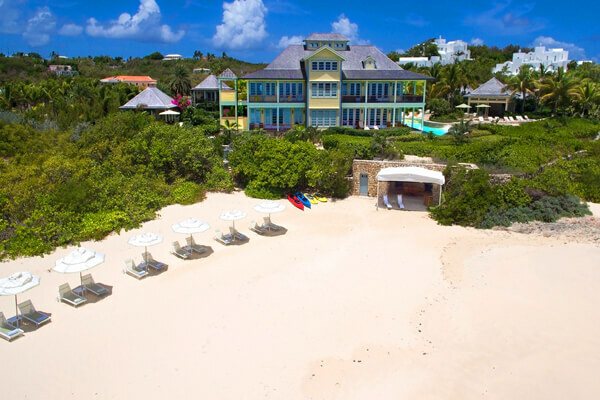 Classic beachfront estate with a full staff, luxury amenities, and a guest cottage. 6 BR rate available. 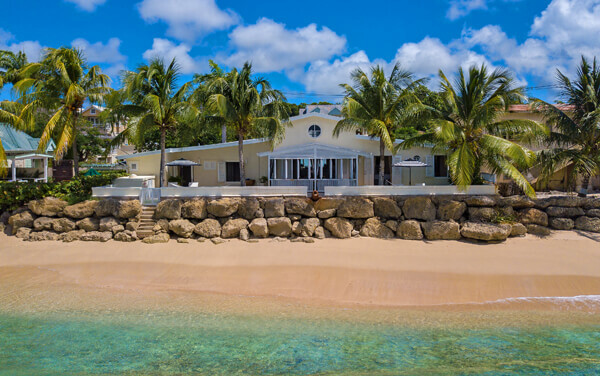 Sun, sand, and sea are in ample abundance at this luxurious Plum Bay Beach estate. 5 BR rate available. 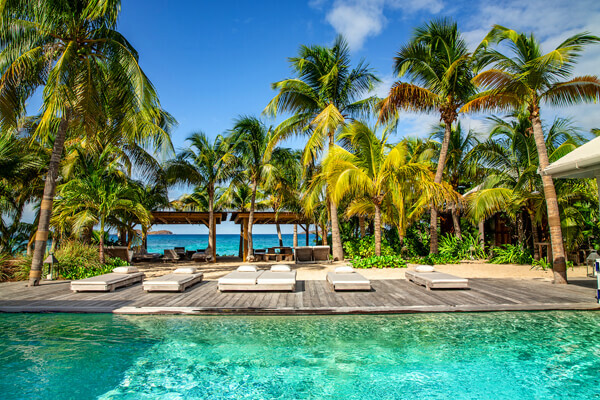 This private, beachfront villa has a full staff and five-star amenities for everyone in your party. Has specials. An opulent, gated estate with everything a large group could need, including a sport court and massive pool. 6 BR rate available. Ultra private, beachfront estate! 5, 6, 7 & 8 BR rates available. 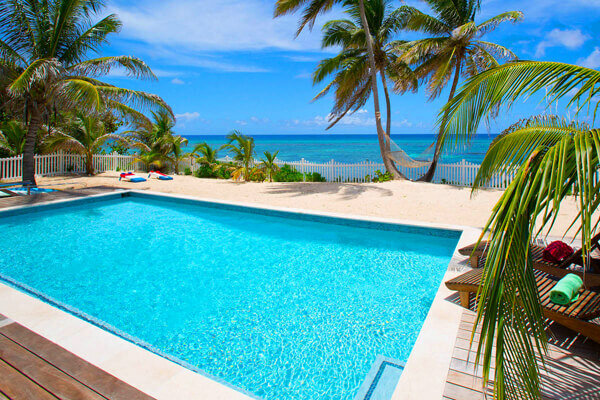 Luxury oceanfront property with seven bedrooms, water-sports equipment, and access to Seven Mile Beach. Has specials. 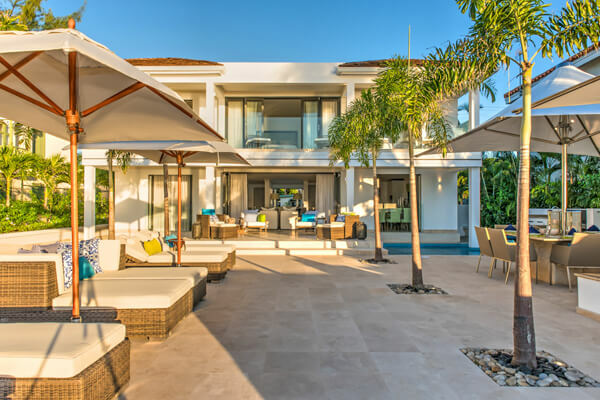 This Punta Cana Resort villa makes relaxation and entertainment a cinch. 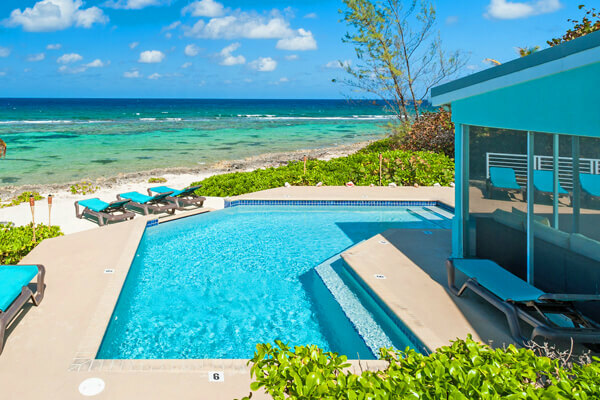 Up to 18 guests can stay at this family-friendly home along the rocky Cayman coastline. 6 BR rate available. 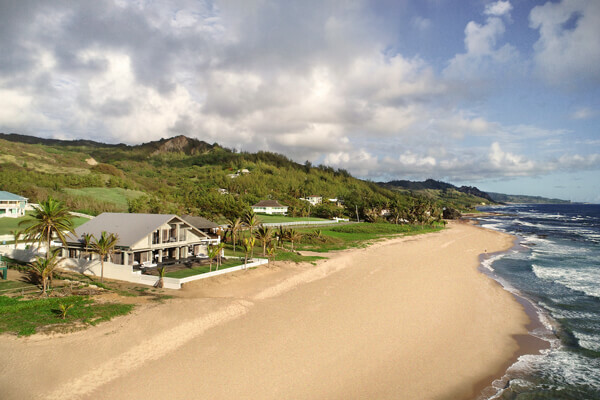 Oceanfront villa with outdoor amenities, spacious design, and wedding capability. Has specials. 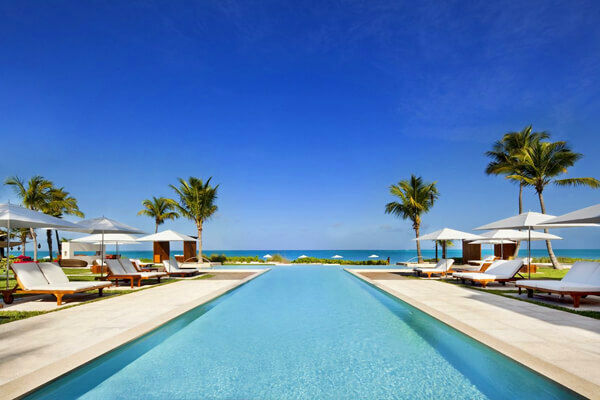 Stunning oceanfront estate offers the most in luxury and privacy, as well as a full staff to accommodate every need. 6 & 7 BR rates available. 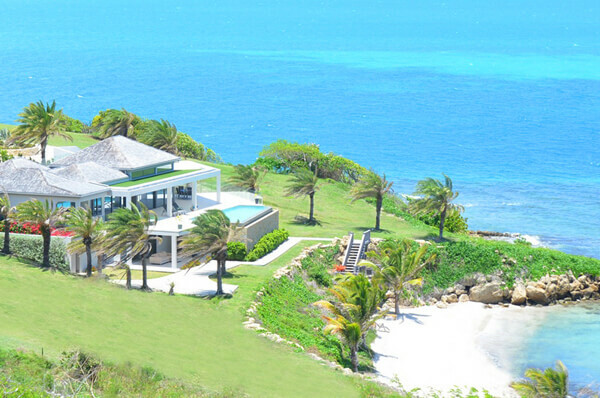 This massive beachfront villa sits on a hill overlooking Shoal Bay. 2, 4, 6 & 7 BR rates available. 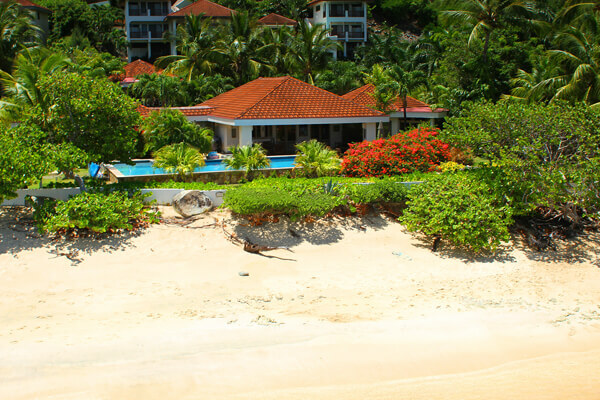 Deluxe villa with a secluded beach on one side and restaurants and activities on the other. 4 & 7 BR rates available. 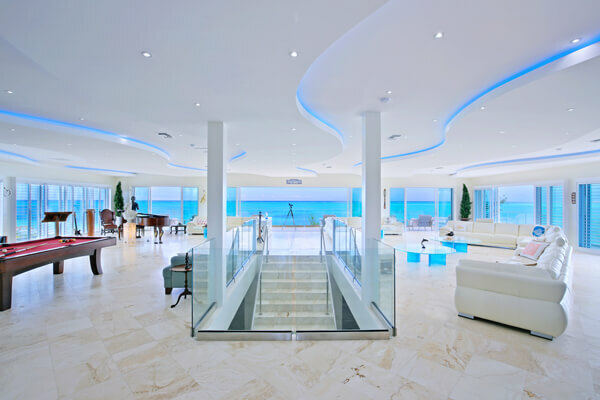 Beachfront architectural masterpiece with butler, sports courts, and full entertainment system. Has specials. 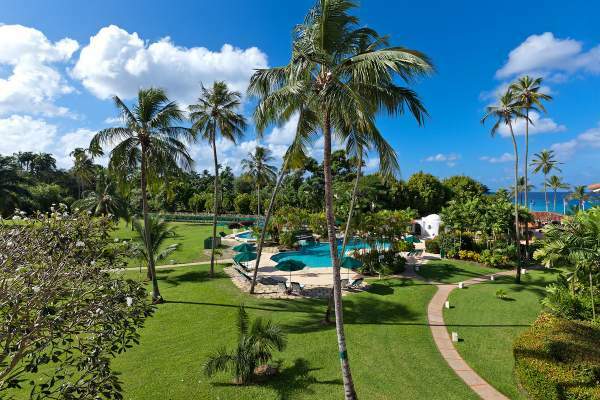 Privacy and luxury for large groups on a two acre, beachfront tropical haven. 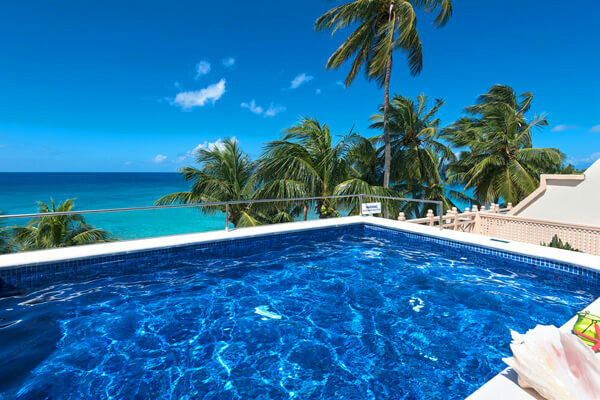 Gorgeous eight-bedroom beachfront villa with outstanding views, pool, and cool, clean tropical atmosphere! 4 & 6 BR rates available. Ultra modern and fully staffed villa with regal amenities. 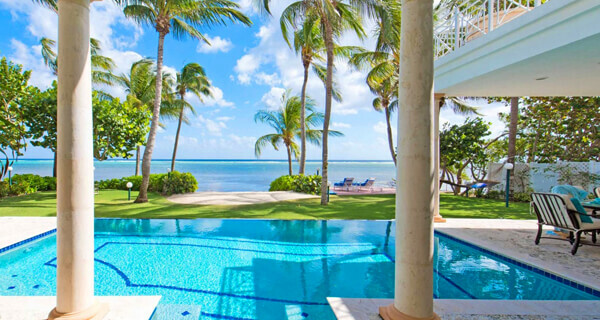 This luxurious beachfront villa has an impressive outdoor area and the ocean in its backyard. The perfect villa for a family vacation, with a multi-level terrace, huge rooms, and eight bedrooms spread out over two floors. Has specials. 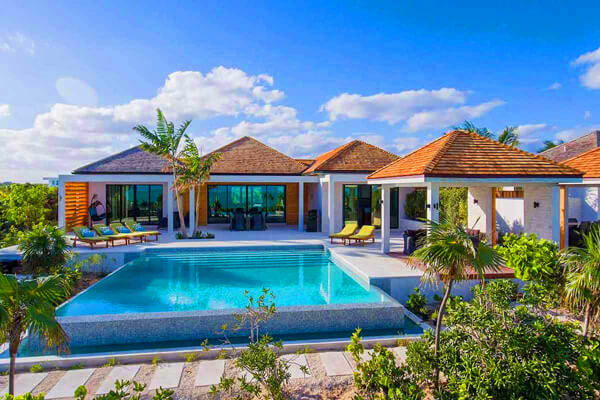 Tropically high-tech, this luxury villa offers a multilevel pool, golf simulator, tennis/basketball court, and signing privileges at nearby resorts. 5 BR rate available. 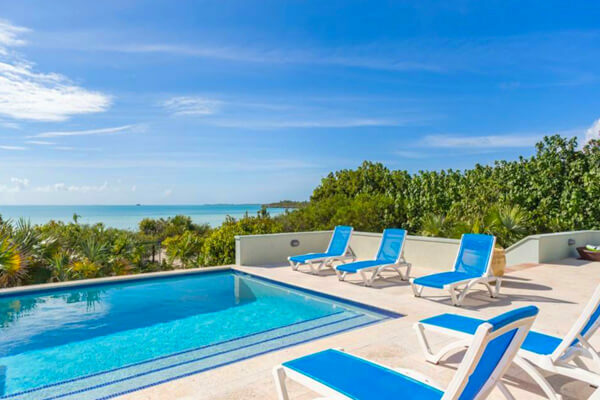 Ultimate modern luxury set on Long Bay Beach, with a full staff and five star amenities. 5, 6 & 7 BR rates available. 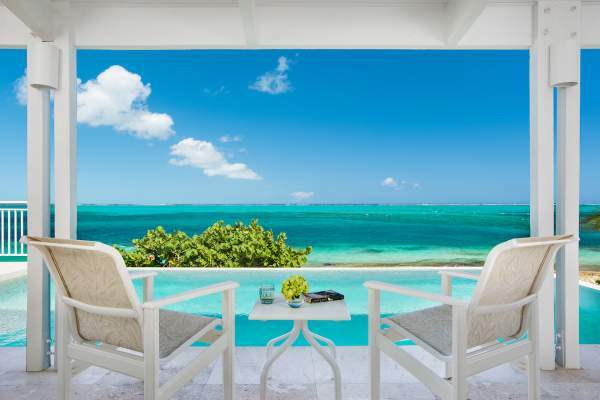 Large and spacious villa with modern design that's right on Long Bay Beach. 5, 6 & 7 BR rates available. 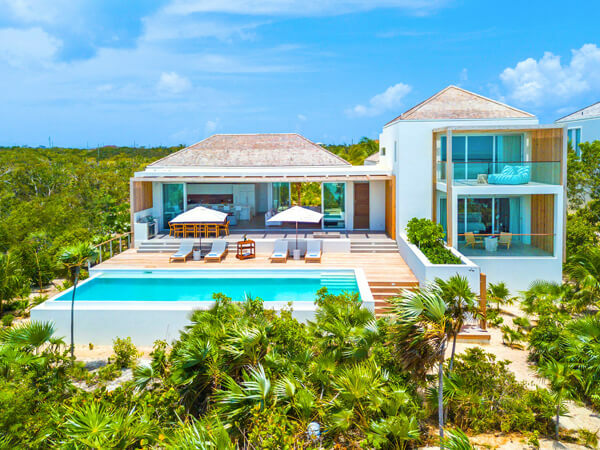 Large, modern and completely luxurious, this impressive estate is the ultimate beachfront hideaway. 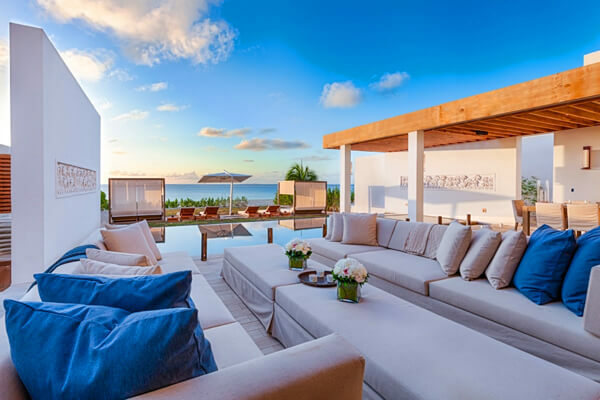 This villa was made for family vacations, with four levels and ample lounging space. Has specials. 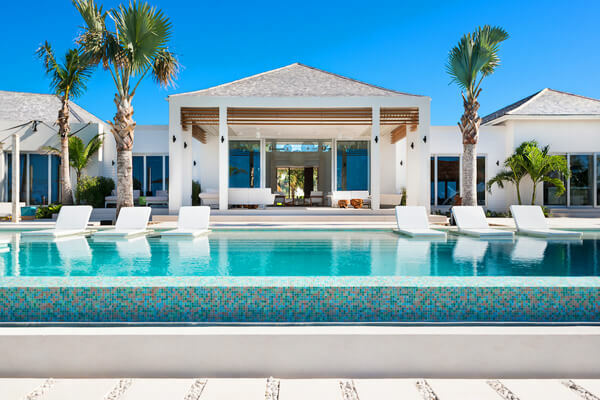 Open, chic beachfront villa with a family-friendly design. Has specials. This villa was designed to maximize privacy and relaxation, with three levels of suites and a separate apartment. Has specials. Beautiful, well-designed villa with amazing outdoor space. Has specials. 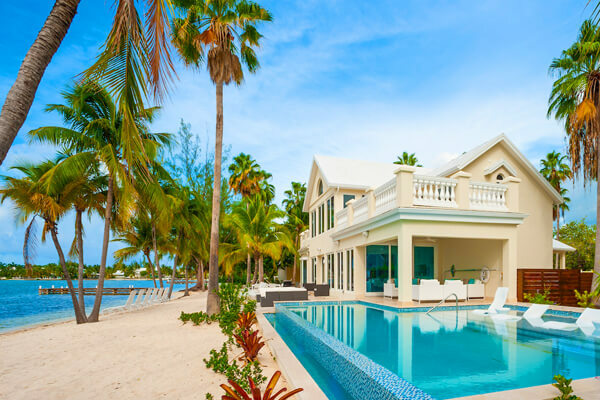 Two-story beachfront resort villa with a guest cottage and water sports. 6 BR rate available. 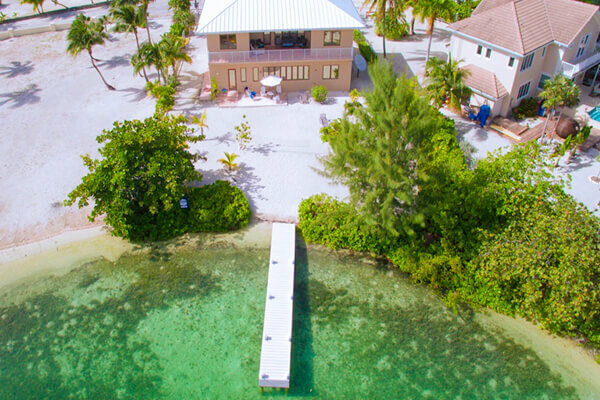 Bring your laptop if you must; Sea Star has a wireless connection that will allow you to hop online from any place on the property 5 & 6 BR rates available. 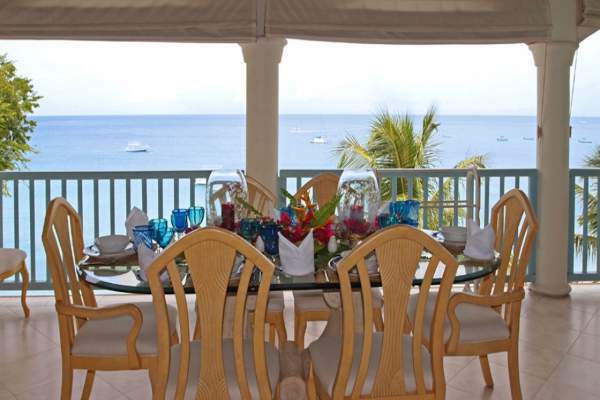 Beachfront villa great for families and groups, with entertainment for kids and adults alike. 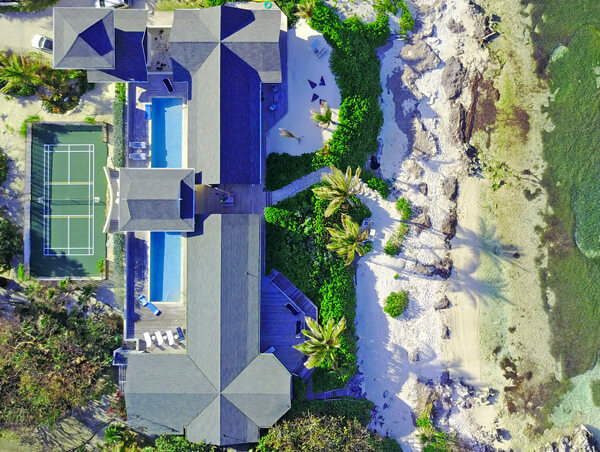 The private tennis court is just the beginning of this stunning estate perched right above the beach. 3, 4, 5 & 6 BR rates available. 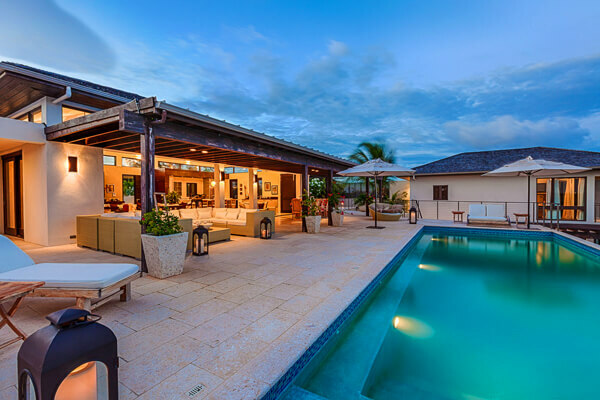 Moroccan-inspired beachfront villa with a guest house, private pool, and access to Sapodilla Bay. 6 BR rate available. This gorgeous Lorient Beach estate has lots of dining and activity options for the active vacationer 4, 5 & 6 BR rates available. 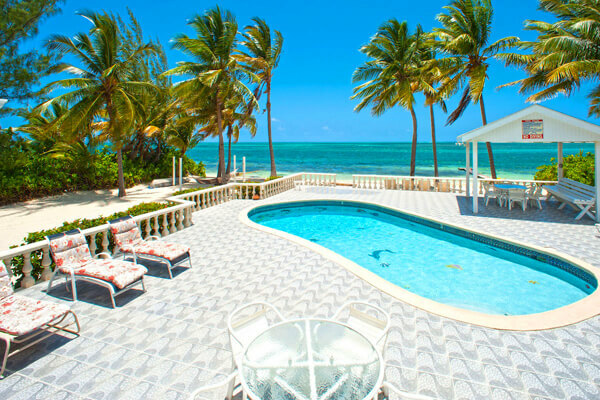 Six bedroom oceanfront property with a protective coral reef 6 BR rate available. 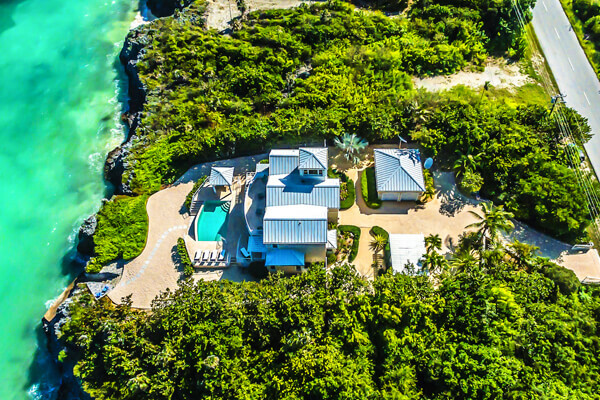 18-guest villa with oceanfront privacy, 75-foot pool, and space for everyone. 5 BR rate available. 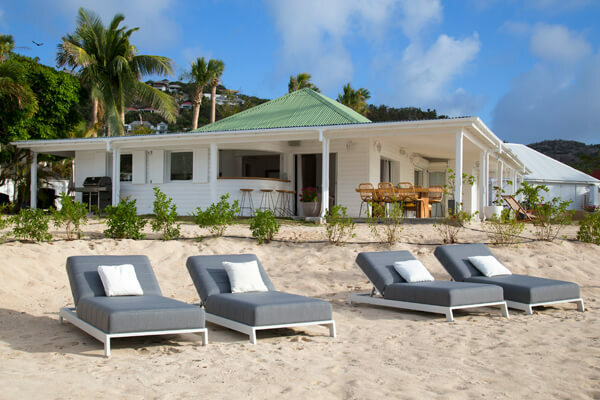 Enjoy simple luxury in this seven-bedroom beachfront home on Long Bay. 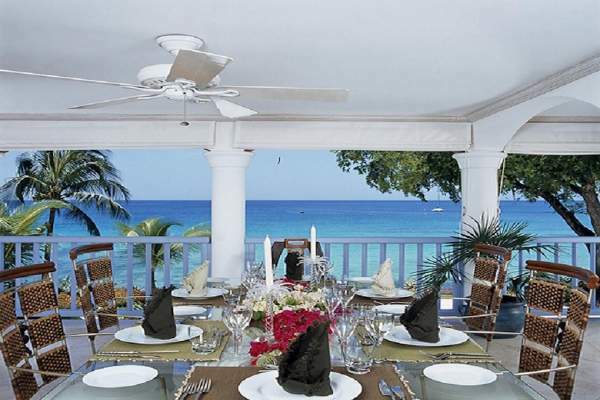 Oceanfront villa right on Seven Mile Beach, with accommodations for 17 guests. 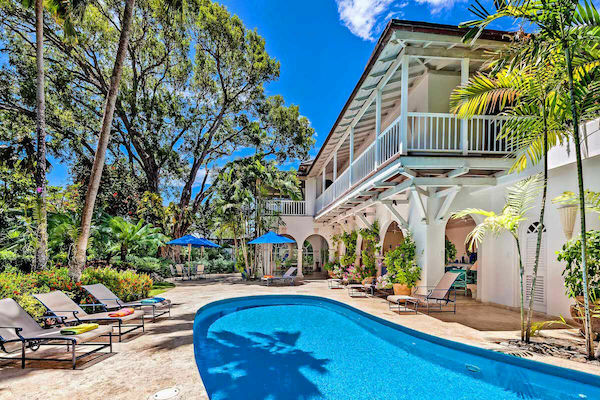 This secluded, luxury beach house boasts fantastic amenities on over four tropical acres. 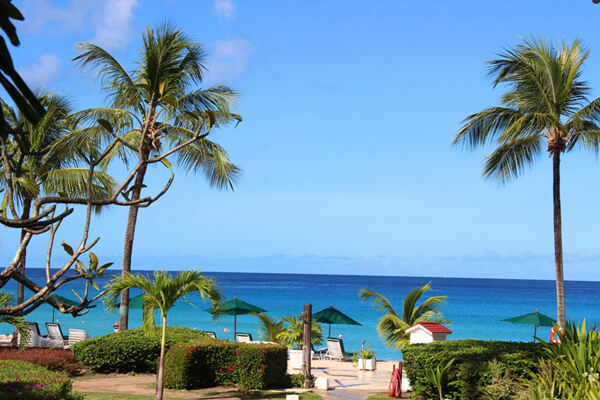 1.25 acres of pure Antiguan beachfront bliss and panoramic views to die for. 1, 2, 3, 4, 5 & 6 BR rates available. 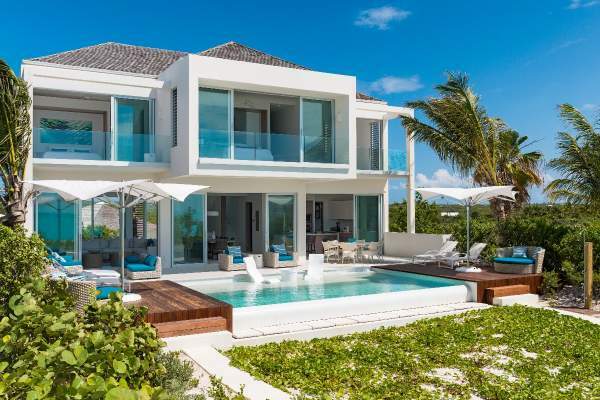 A luxuriously modern 5-bedroom beachfront villa. 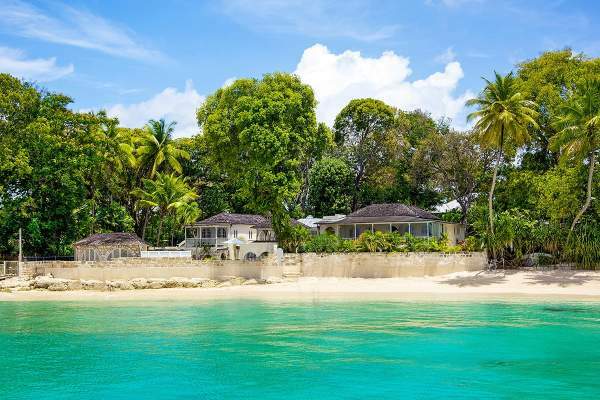 The ideal beachfront villa for large groups, with a Beach House and Cottage. Has specials. Waterfront villa with close-up ocean view perfect for large groups. 3, 4 & 5 BR rates available. 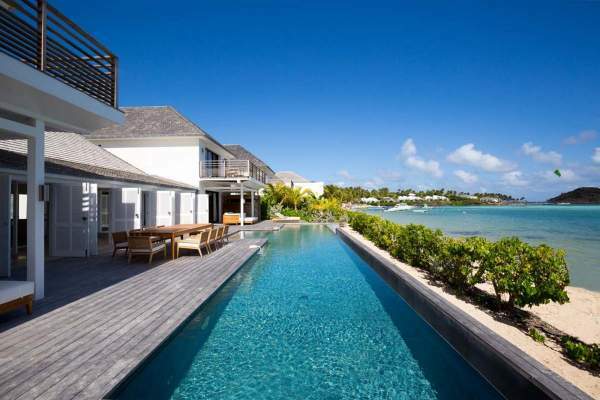 Family-sized villa right on the beach, with a lengthy pool. 3, 4 & 5 BR rates available. 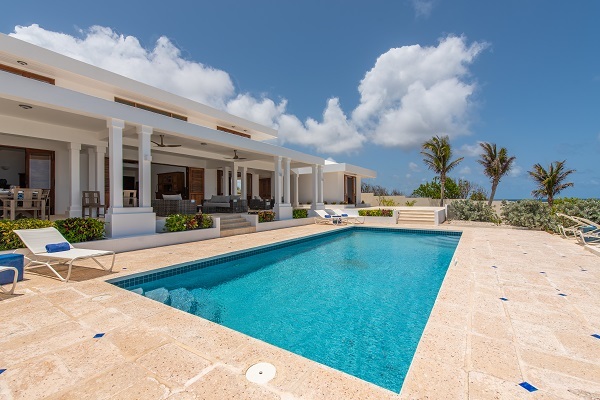 Five-star, modern villa with all the amenities you need for a luxury vacation. Has specials. 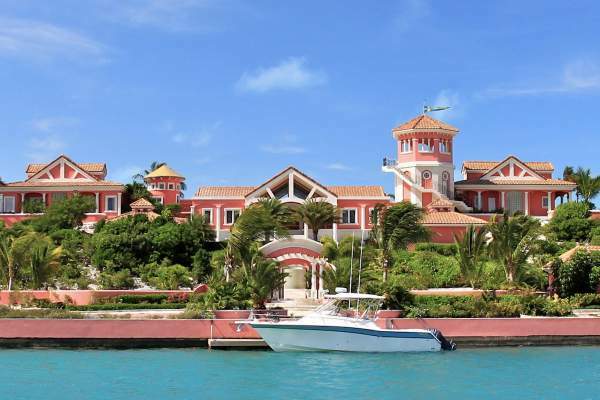 Tuscan-style villa on a beautiful beach, walking distance to a popular Conch restaurant. 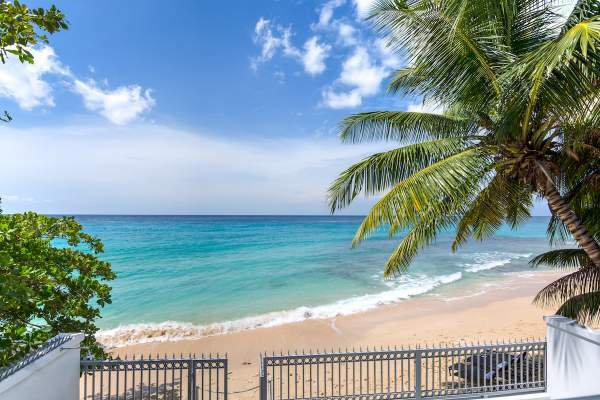 Large beachfront villa with wraparound ocean views and lots of room for decompressing! 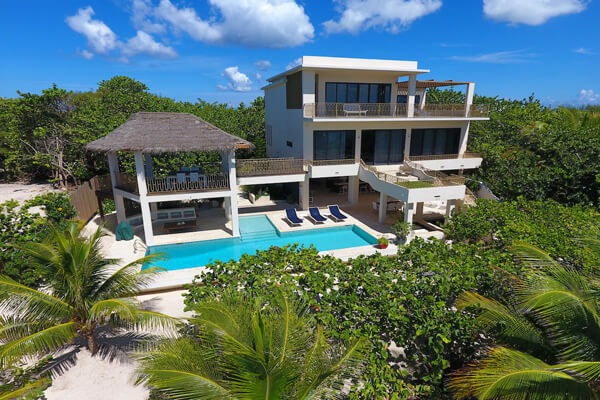 Six-bedroom villa floor-to-ceiling windows and beach access. 3, 4 & 5 BR rates available. 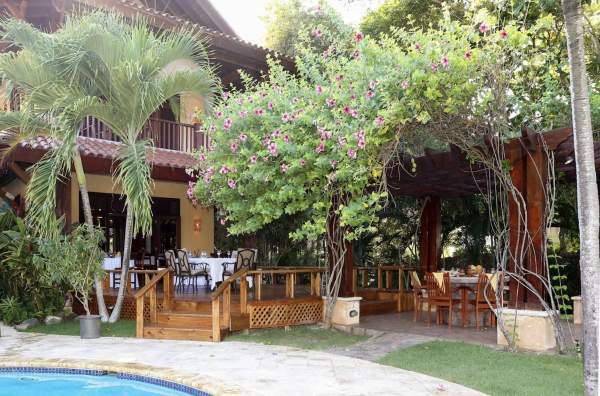 Fully-equipped large group villa with several family-friendly suites and lots of outdoor space. Has specials. 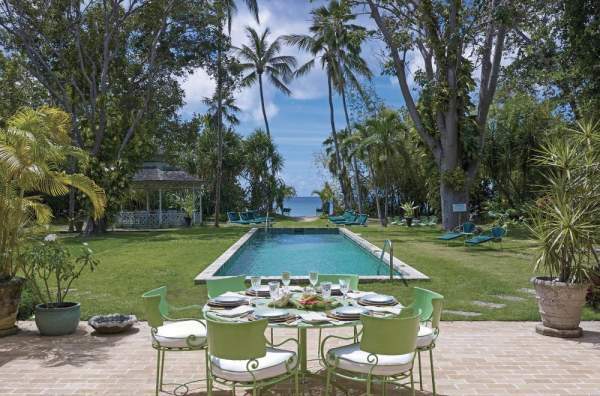 Long Bay property with an equally-stocked main villa and guest house. 2 & 4 BR rates available. 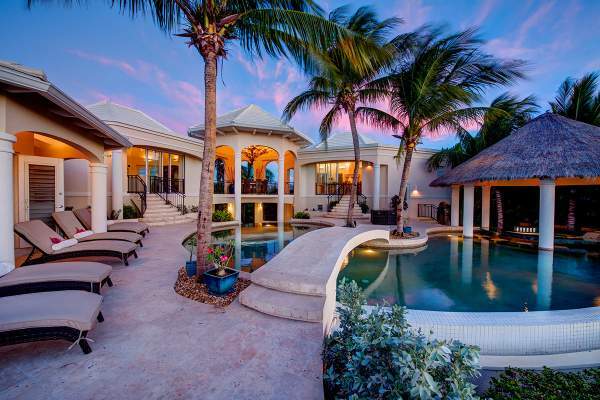 A two-story beachfront villa fit for a king or queen. Five-star amenities and arrangements for any group of travelers. 4 & 5 BR rates available. Full-service beachfront resort villa perfect for families seeking peace and beauty. Has specials. 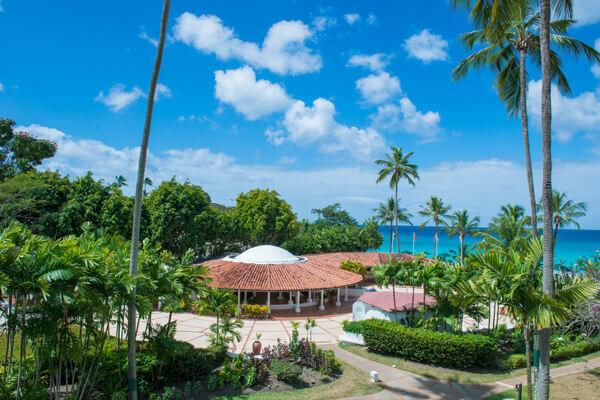 Beachfront villa in the Tango Mar Resort with wildlife and activities at your fingertips. 2 BR rate available. 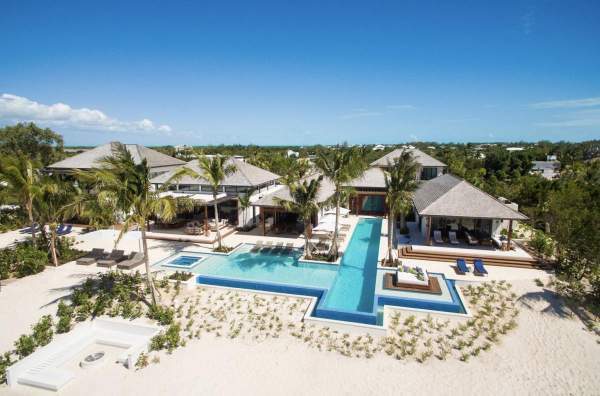 Family-friendly beachfront villa for travelers of all ages. 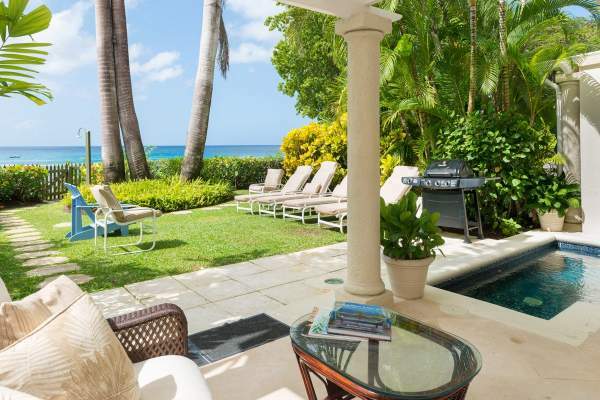 Open-air villa with a cottage and proximity to Sandy Lane Beach. 4 BR rate available. Spacious privacy with a blend of indoor and outdoor living. 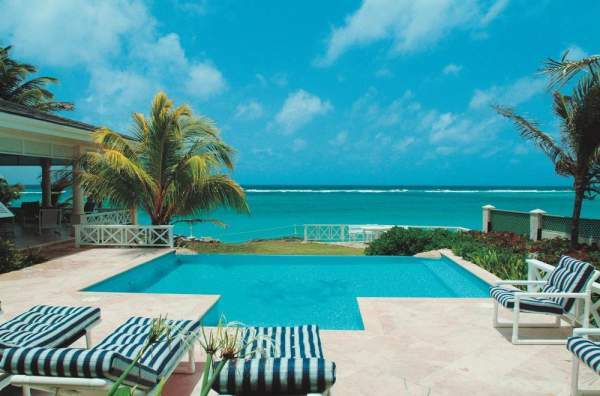 Beachfront villa with private pool that our readers rave about 4 BR rate available. 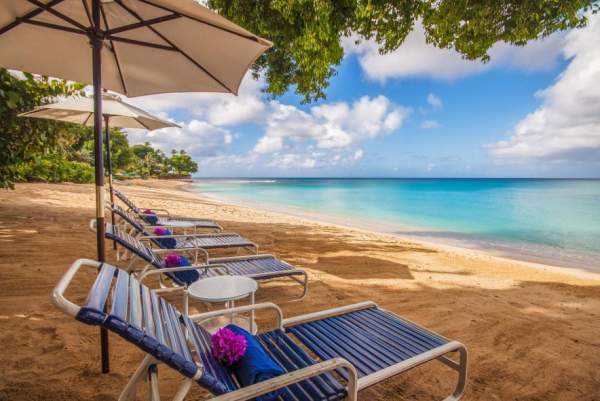 Fully-staffed luxury beachfront estate with a cliff top locale and a private beach. 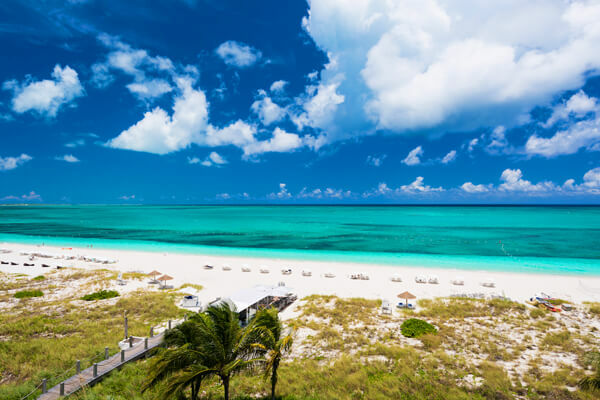 Stay right on Grace Bay Beach on two private, tropical acres that feel like a small resort. 5 BR rate available. 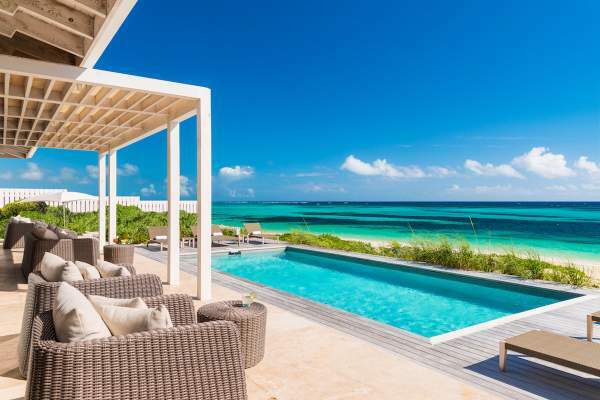 Bright, modern and private villa situated on Providenciales' coveted Long Bay Beach. 3 & 5 BR rates available. 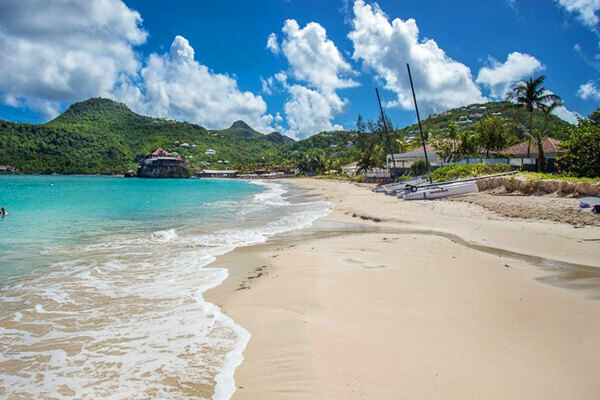 Vintage charm, private cottages and a great beachfront location. 4 & 5 BR rates available. 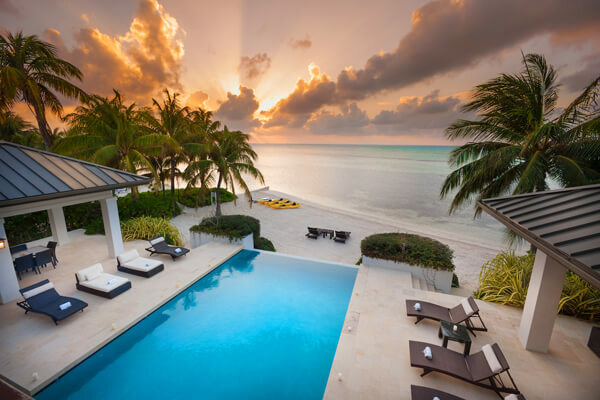 Classic beachfront villa with stunning sunset views over the water. 4 BR rate available. 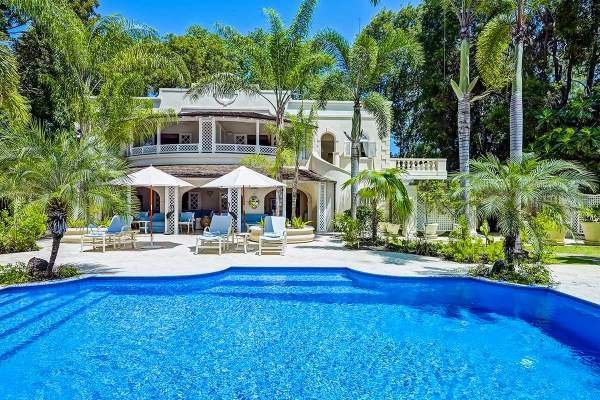 Large and grand luxury villa on the western end of Grace Bay. 3 & 4 BR rates available. 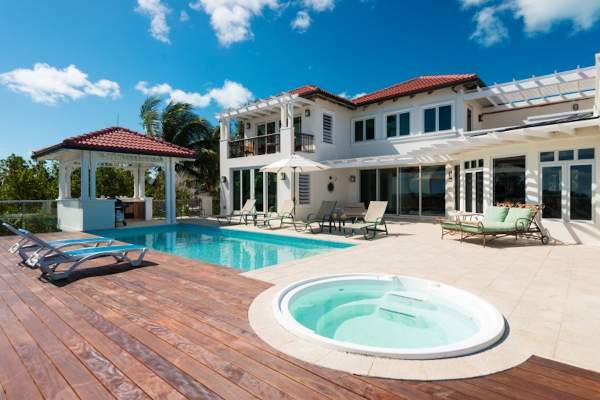 Great family house on a less developed part of Grace Bay. 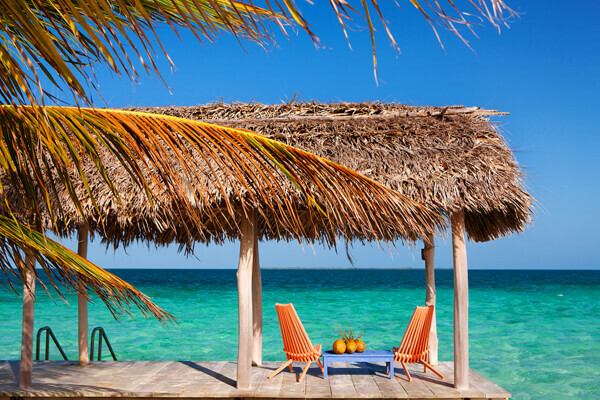 Exclusive private island rental with full staff, all-inclusive rates, and endless activity. 5 BR rate available. 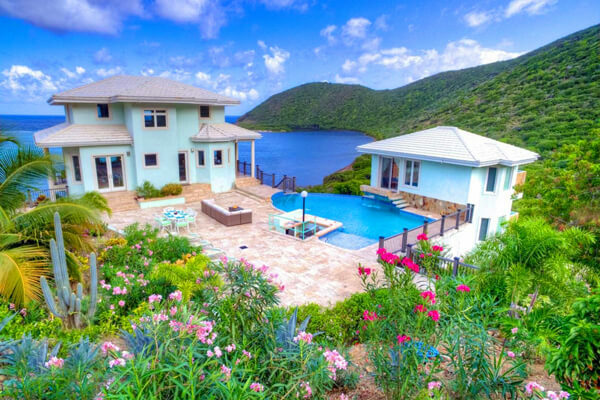 Eclectic estate on the southern shore with its own private beach and bay. 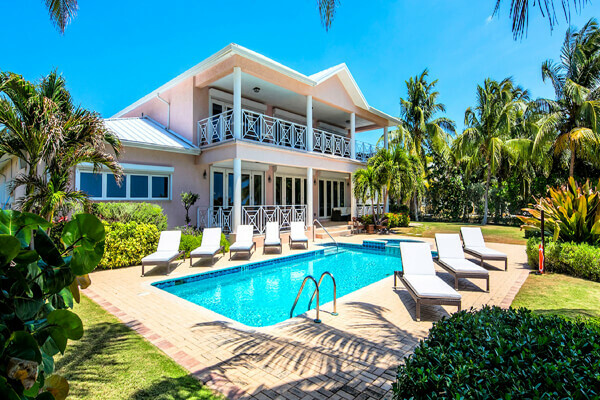 Family-friendly villa with a bunk room, huge Great Room, outdoor amenities, and an ideal location in Rum Point. Has specials. 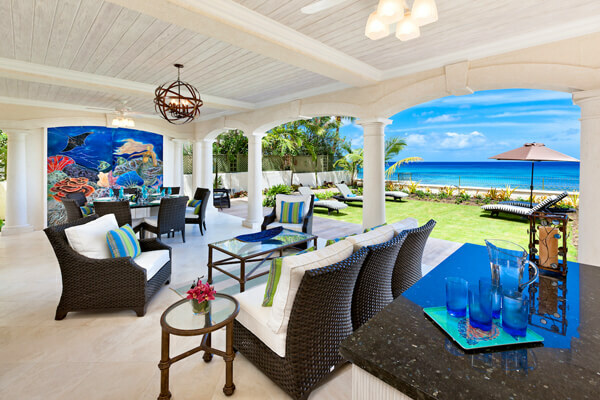 Let everyone enjoy an oceanfront experience at this bright and cheery villa. 4 & 5 BR rates available. 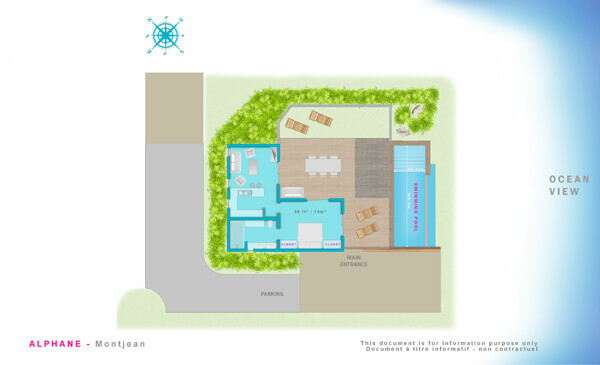 Six-bedroom seaside villa with private courtyard and large entertainment area 5 BR rate available. 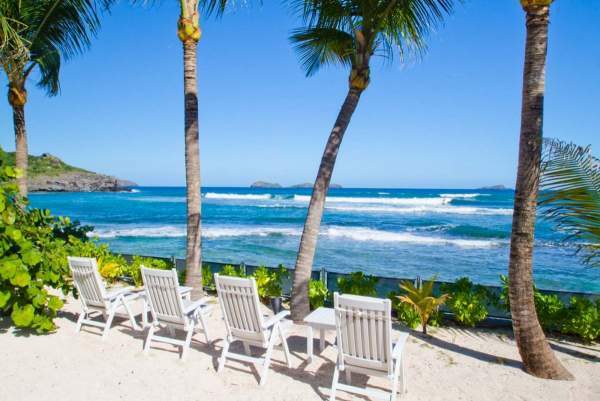 Grand and spacious ocean front property with some of the best snorkeling on the island 4 & 5 BR rates available. Large estate home with a pool, guest cottage, tennis, and more set on three gorgeous, beachfront acres. 4 BR rate available. 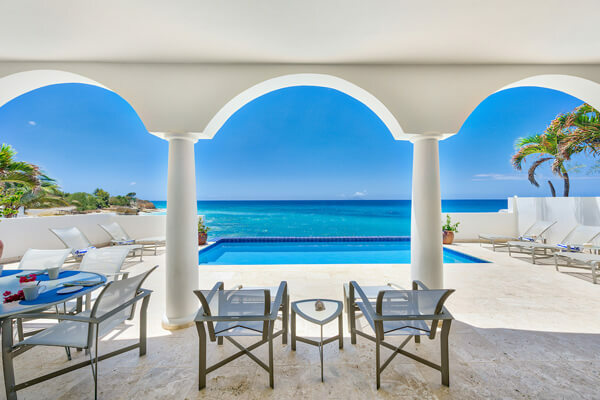 This villa's full staff and beach access eliminates any potential stressors for your Caribbean vacation. 4 BR rate available. 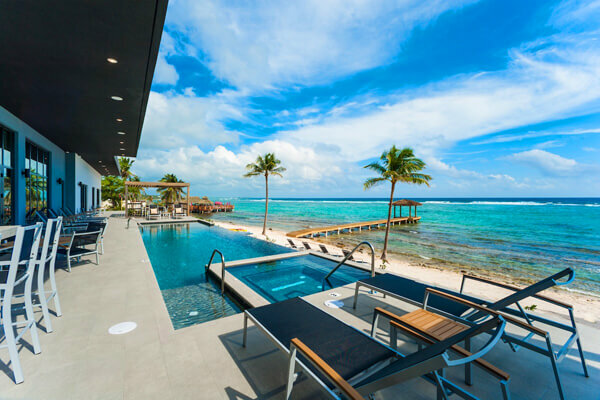 Modern beachside villa with sound system, expansive outdoor space, and a gourmet kitchen. Has specials. 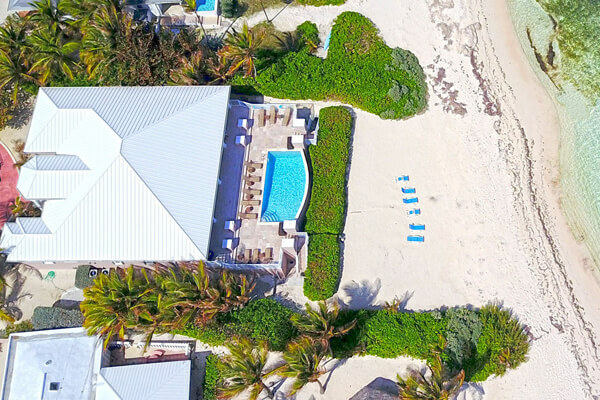 Witenblauw Estate has every creature comfort, three pools, and beach access. 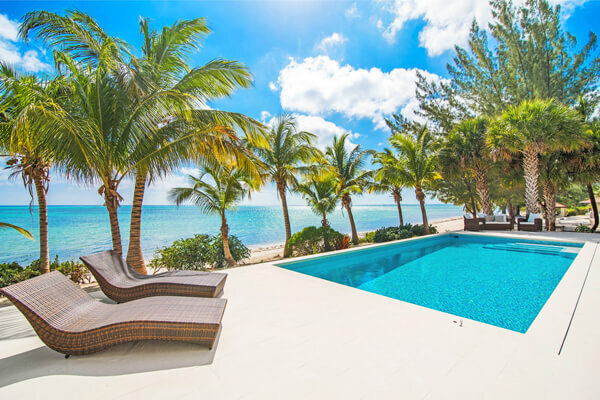 A private Grand Cayman estate with tranquil design and a Master Suite that feels like a spa. Has specials. 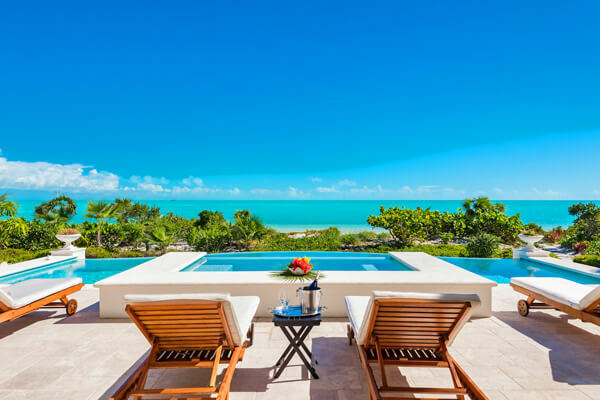 Cascade Villa provides guests with the utmost in privacy, ocean views, and jaw-dropping pool design. 4 BR rate available. 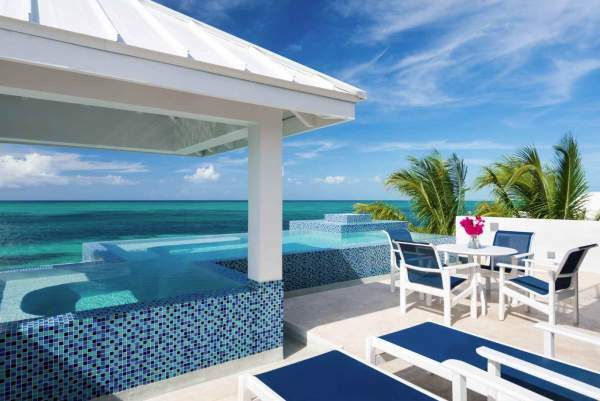 A Leeward beach house with an unbeatable Grace Bay setting, modern luxury, and superior accommodations. Two story, beachfront villa with spacious rooms and a large balcony. 4 & 5 BR rates available. 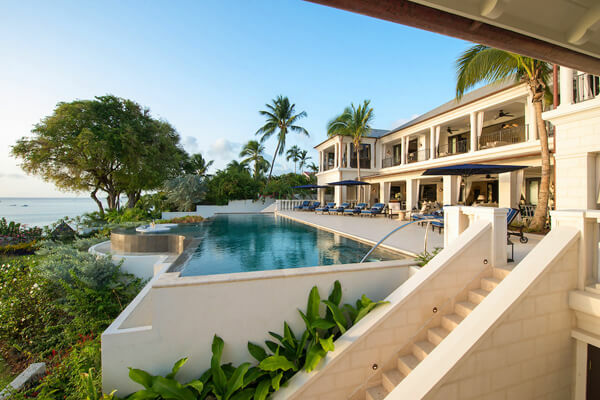 South Sound Beach villa with five star amenities and no shortage of entertainment. Has specials. 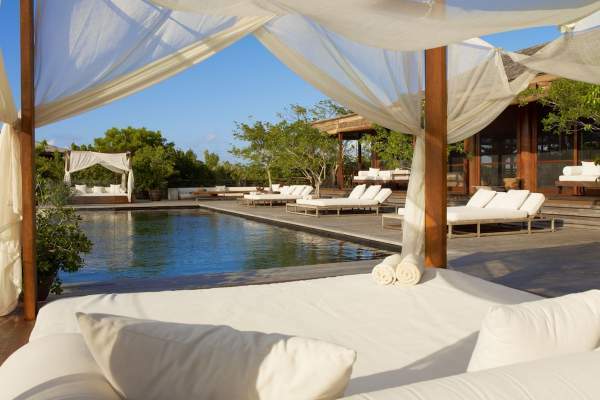 Spectacular beachfront private island estate offers Balinese luxury. 3 BR rate available. 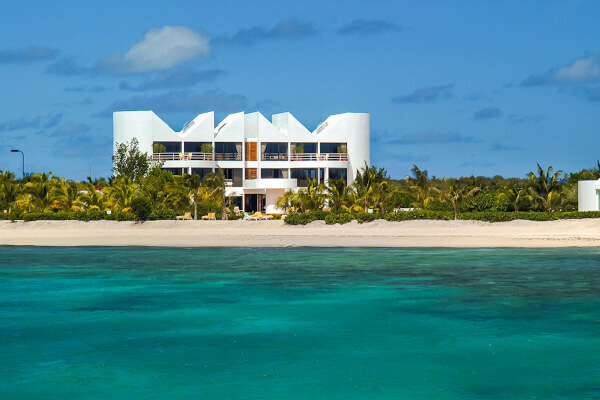 The ultimate in modern beachfront luxury, with sleek design and privacy. Modern villa luxury with amenities. Amenities and privacy - a hard combination to find. 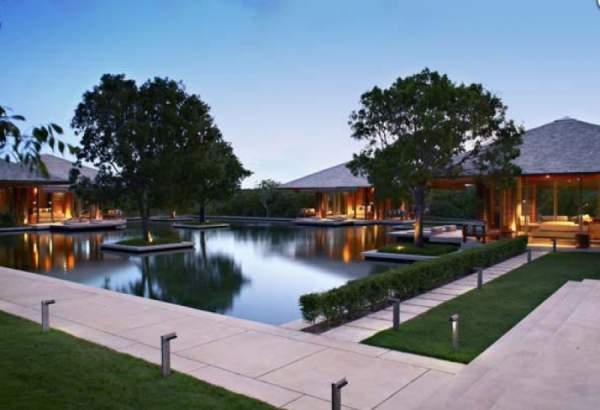 Ultra private, ultra modern villa with extensive outdoor amenities. 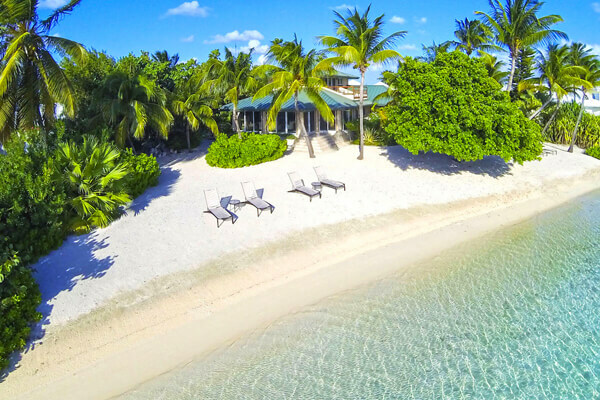 Privacy and luxury within a secluded beach hideaway. 3 & 4 BR rates available. 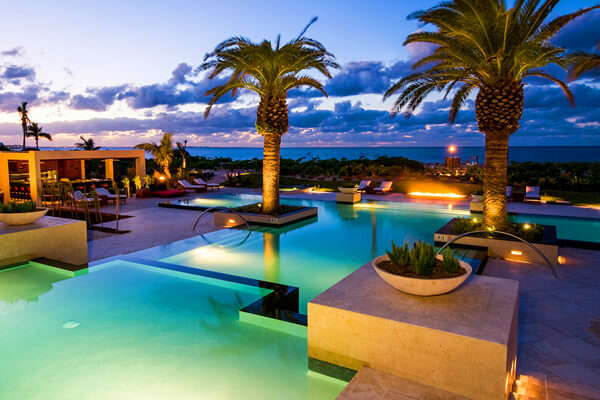 Well-designed beach house with a media room, gym, infinity pool, and modern updates. 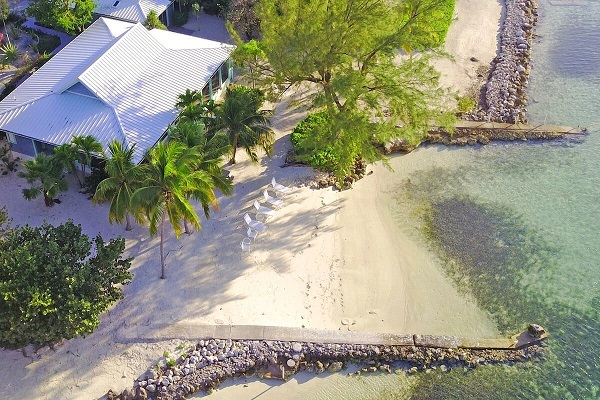 Beach lovers and adventurers will love this villa's private beach access and nearness to Kaibo Yacht Club and Rum Point Club. Has specials. 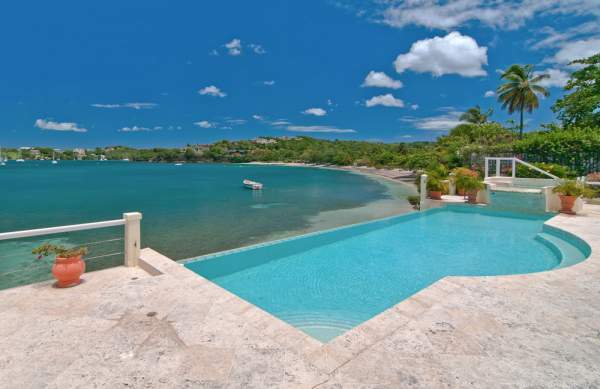 Private boat dock, beach, and panoramic ocean views at this fully air-conditioned villa. 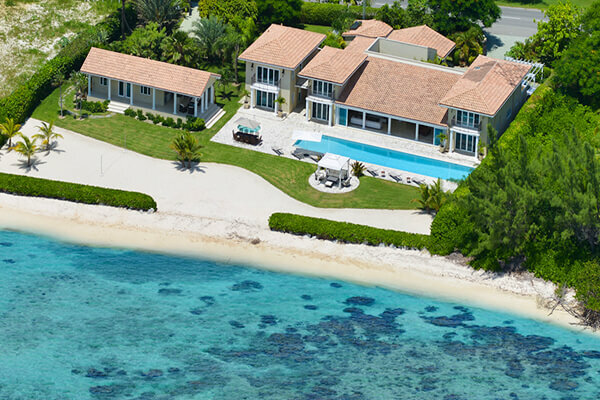 Elegant, refined villa with beachfront access, luxurious amenities, and an open layout. 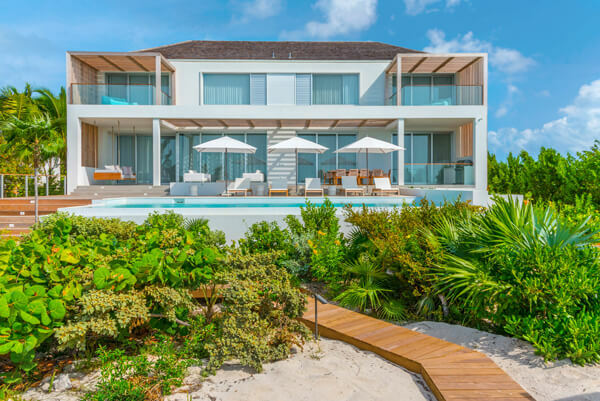 Chic interiors, a screened porch, and spacious bedrooms make this beachfront home feel like paradise. Has specials. Gated two-story estate with three levels of outdoor space and chic amenities. Has specials. 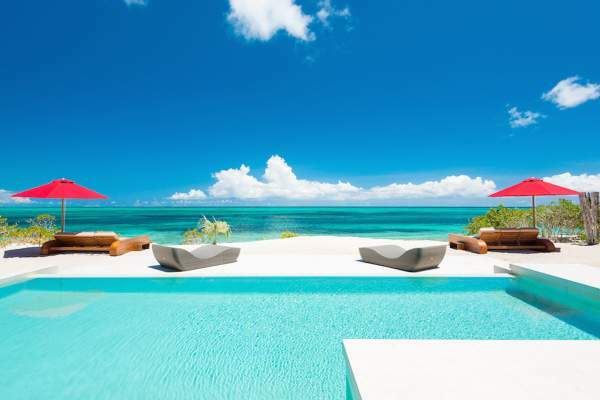 Beachfront, bohemian villa with a spacious design and top technology. Has specials. Tranquil, lush property far from the hustle and bustle of everyday life. 2 & 4 BR rates available. 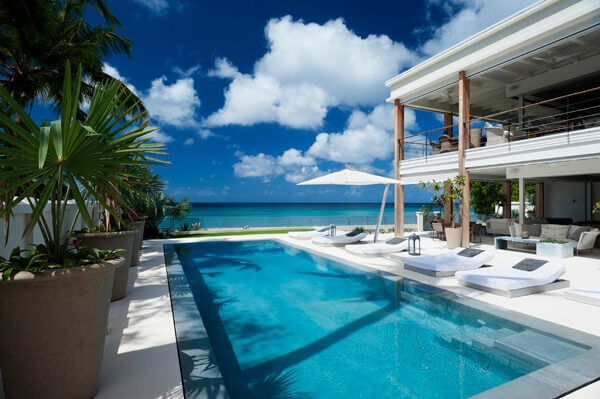 Full-service, luxury villa with beach views and spacious design. 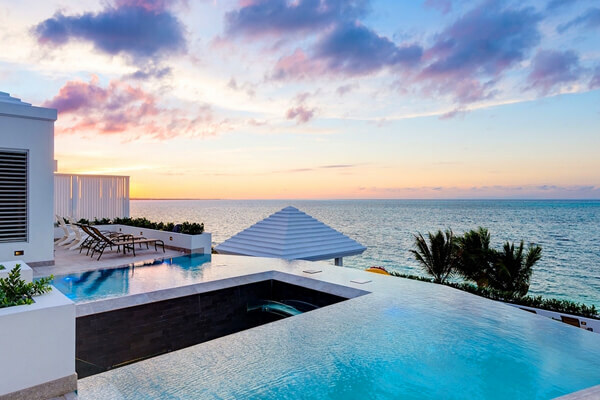 Sunset views and beach access are just two of this luxury villa's best amenities. 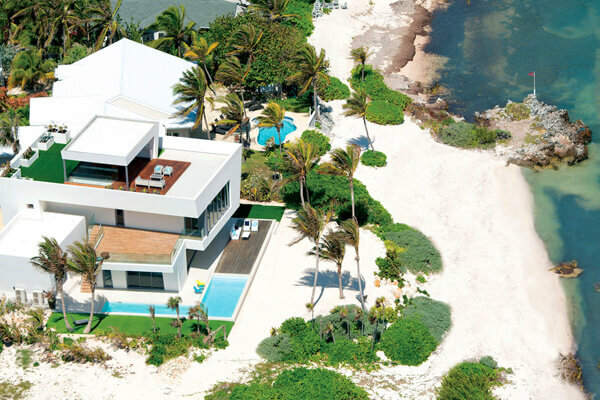 Two minimalist villas make up this beachfront estate. 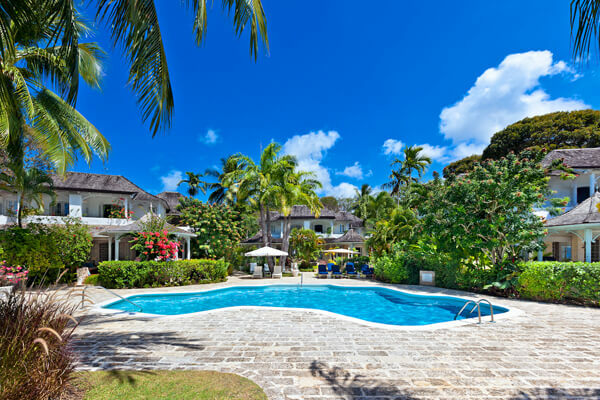 Beachfront Sapodilla Bay villa with a guest cottage. 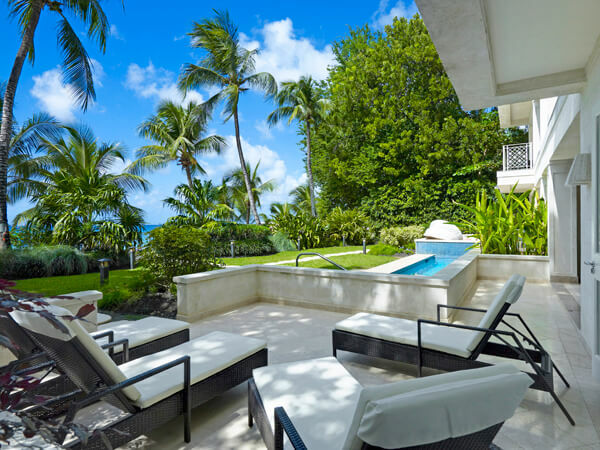 Chic and luxurious five-bedroom rental on Paynes Bay. 4 BR rate available. 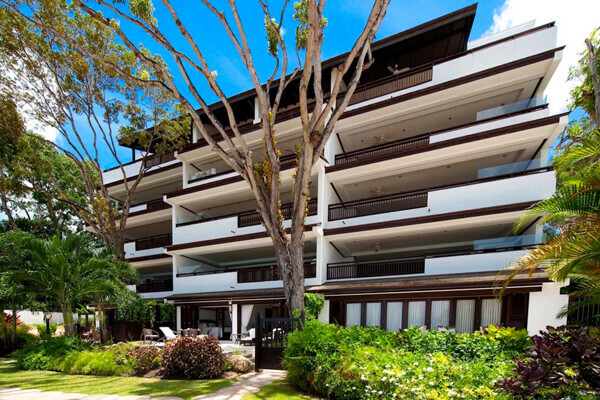 Chic beachfront condo with as much space as many five-bedroom villas. 4 BR rate available. 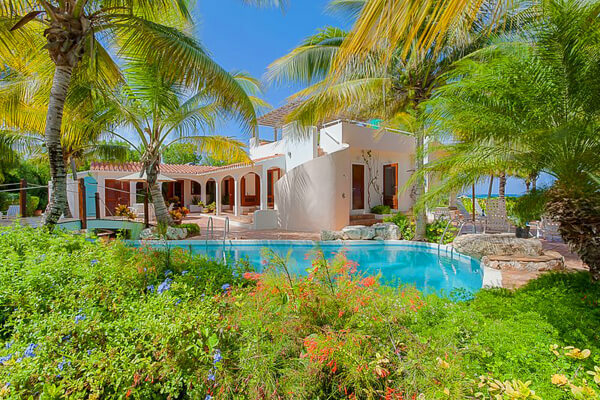 Well-decorated villa with ocean views and snorkeling access. 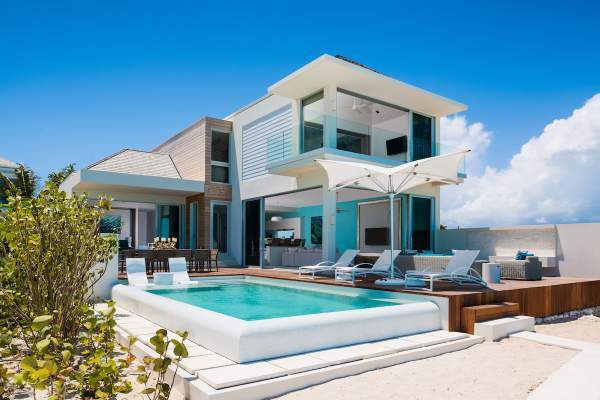 Modern architecture and a convenient beachfront location. An expansive sun-drenched deck and beautifully decorated interiors guarantee luxury. 2, 3 & 4 BR rates available. Wheelchair accessible villa that's an excellent choice for children, yet gives adults independence and privacy. 2 & 4 BR rates available. 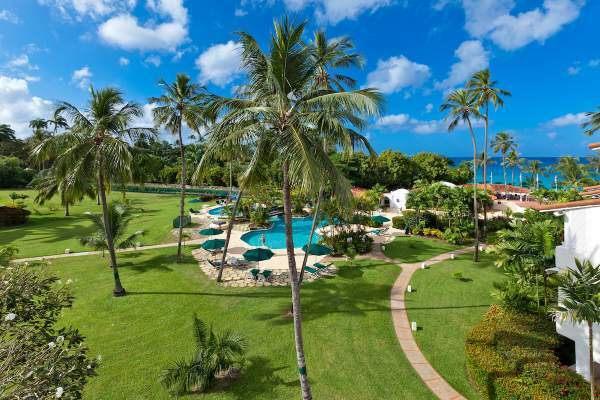 Ideal location for sports enthusiasts or fitness buffs right on the water's edge of Mahoe Bay. 2 & 4 BR rates available. A separate guest cottage makes this location ideal for several travelers who want to dwell independently. 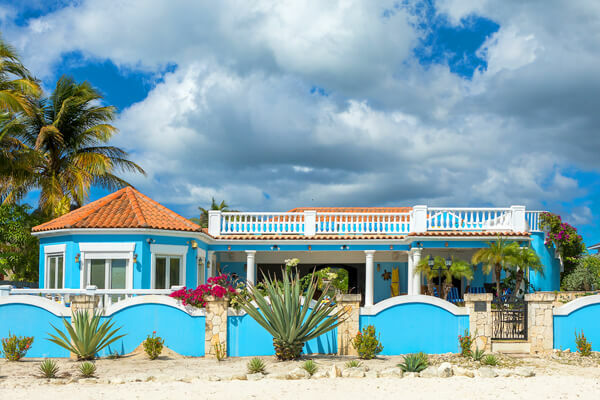 Casa Cervo sits right on the white sands of Baie Rouge Beach, for those who want a European-style beach 3 & 4 BR rates available. This villa has five spacious suites with sea view terraces. Enjoy easy beach access and spacious bedrooms. 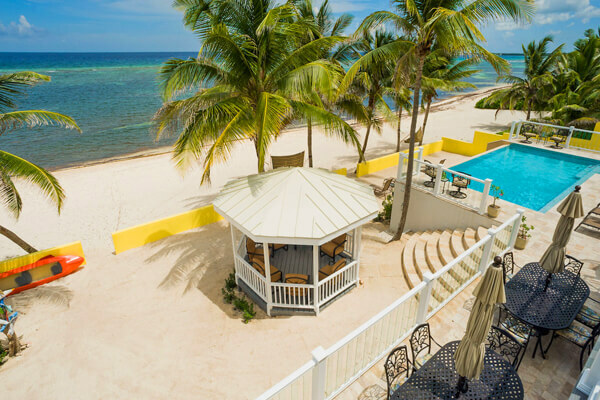 Moon Reach is truly a slice of paradise, with beach access, a full staff, and endless entertainment. Has specials. 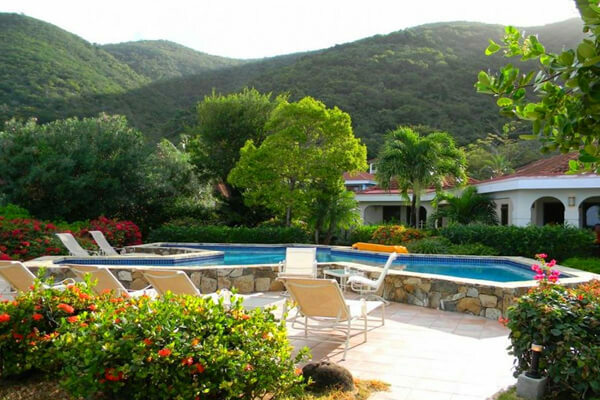 5 bedroom secluded villa with pool, hot tub and room to breathe 4 BR rate available. 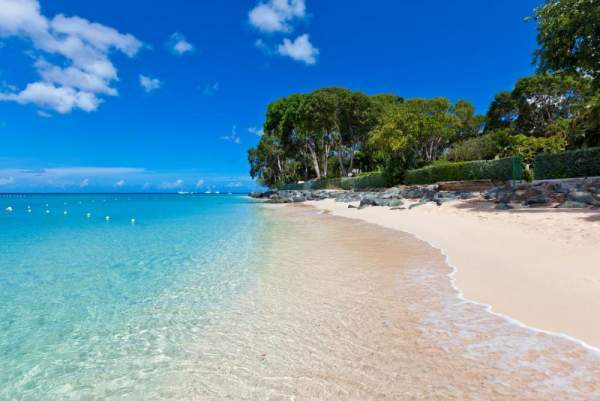 Private beach, lots of space and gorgeous waters Has specials. 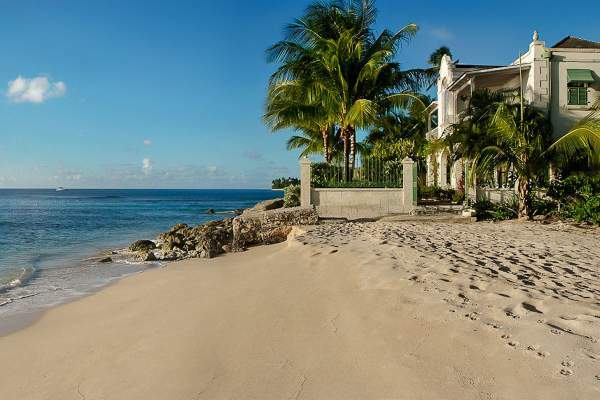 This beachfront property with its own tennis court has the best that Barbados offers under one ample roof. 4 BR rate available. 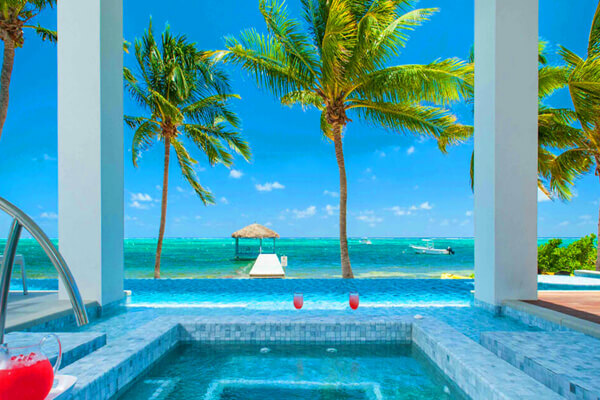 Beachfront villa with a full staff, a pool, and a game room. 3 & 4 BR rates available. 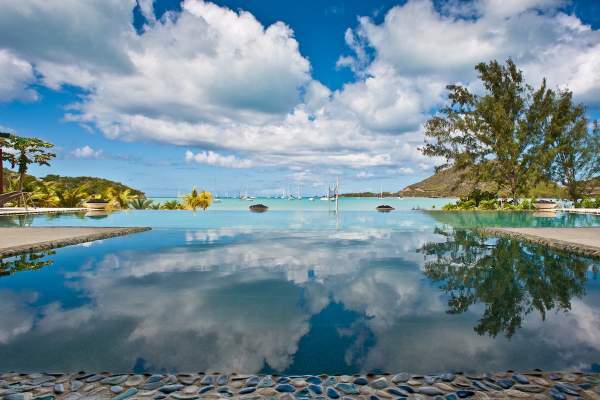 Set up high for fantastic pool views and a beachfront location on Taylor Bay. 4 BR rate available. 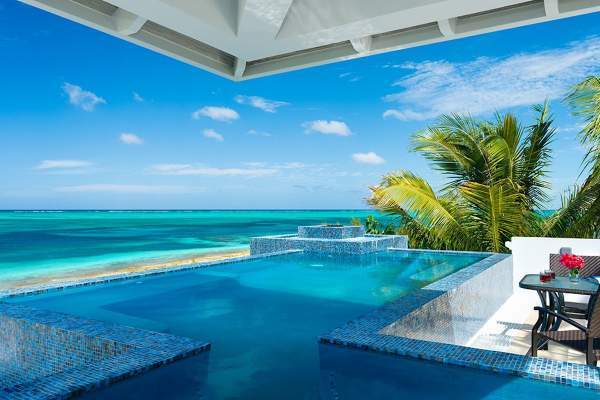 With a 40 ft pool right on Long Bay Beach, this villa is a water-lover's dream. 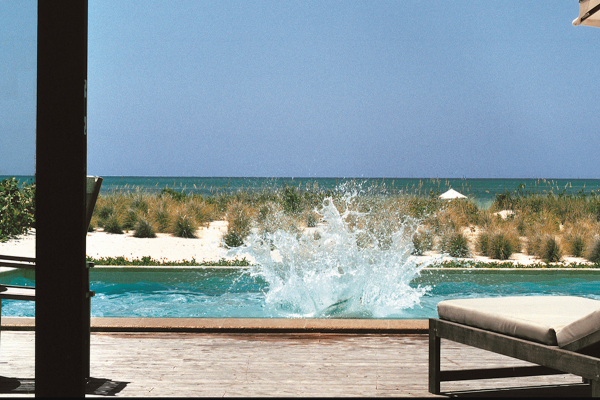 Private and spacious beachfront villa with a media room, gym, and extensive outdoor space. 2, 3 & 4 BR rates available. 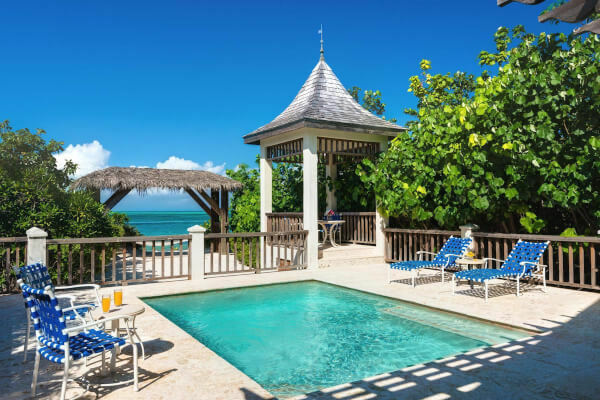 Relax in this villa's infinity pool, beach cabana and hammock and enjoy the close proximity to George Town Has specials. 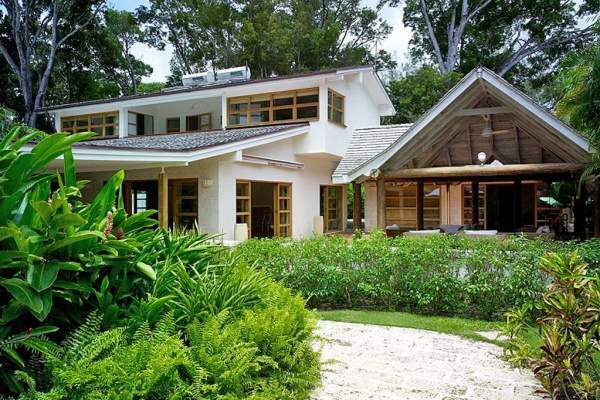 Expansive villa within a short walk of Gibbs Beach, with lots of outdoor space and two stories. 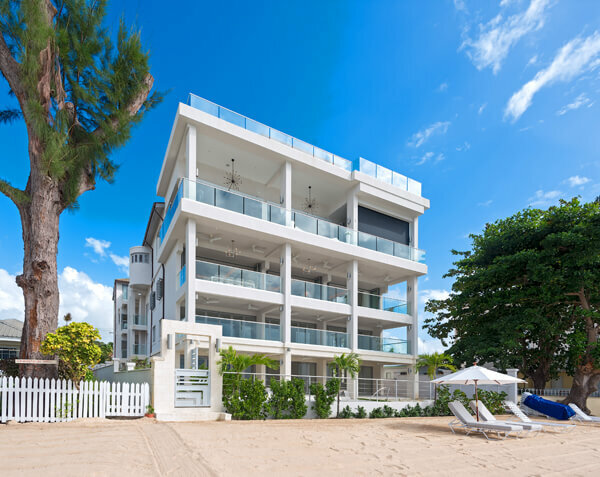 Striking four-story villa beachfront villa with ocean views and a private tennis court. Has specials. Chic, plantation-style estate with full staff. Has specials. 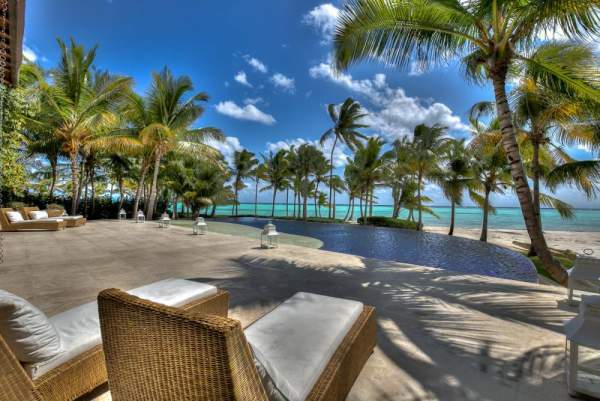 Superb luxury villa with a private beachfront location and tons of indoor/outdoor living space. 1, 2, 3 & 4 BR rates available. 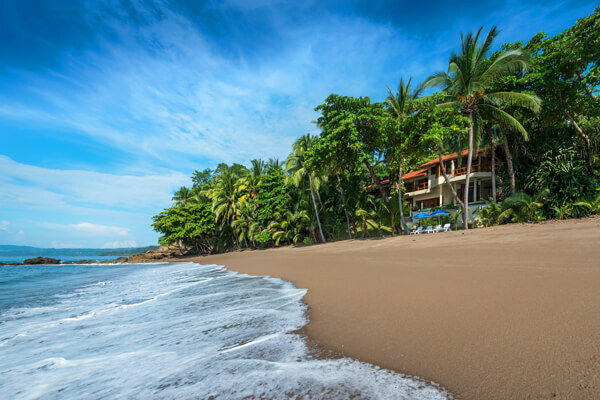 Vida Del Mar lets you vacation like a tourist and feel like a local. 2 & 3 BR rates available. 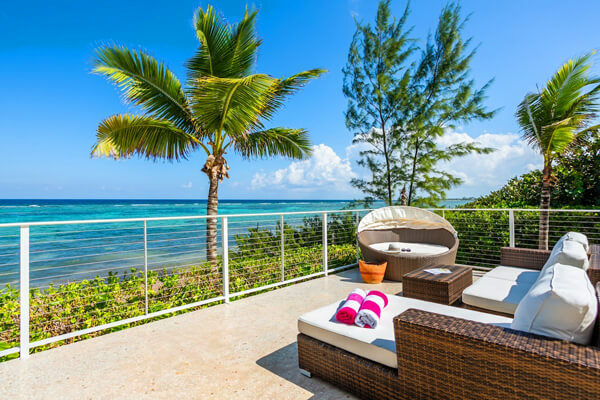 Beachfront decks combine with easy access to Smiths Reef for island elegance. 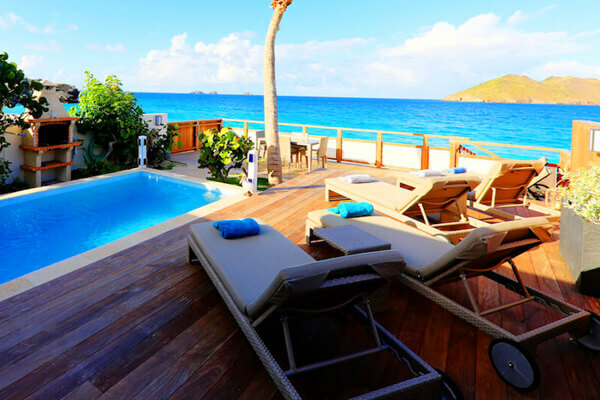 This villa has an upstairs pool and deck space, giving amazing views down the beach. 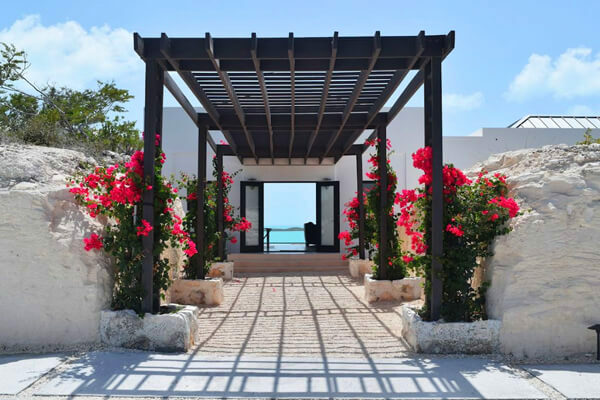 Path to the Beach and Bedrooms with separate entrances offers lots of options for your Anguilla hWith Separate Entrances offers lots of options for your Anguilla holiday 2, 3 & 4 BR rates available. 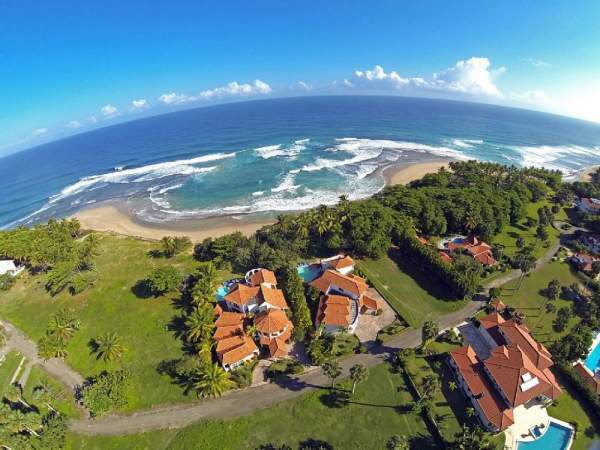 Huge beachfront villa with housekeeping, five bedrooms, and 18 acres of land. 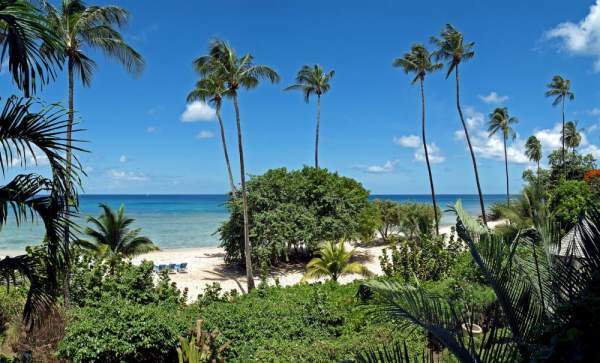 Gorgeous beachfront property boasts incredible views, tons of space, and easy walking access to island attractions. 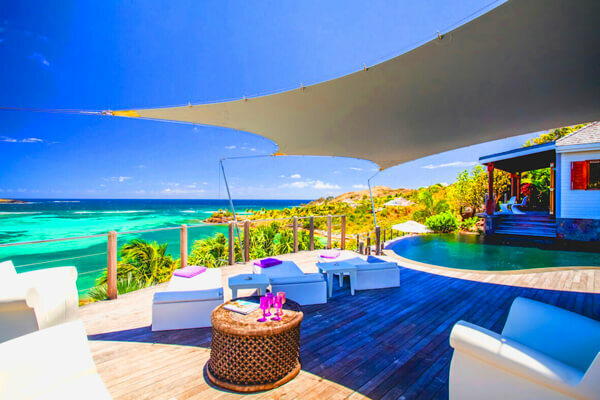 Exclusive beachfront villa with amazing views, sumptuous accommodations, and every luxury you could ask for. 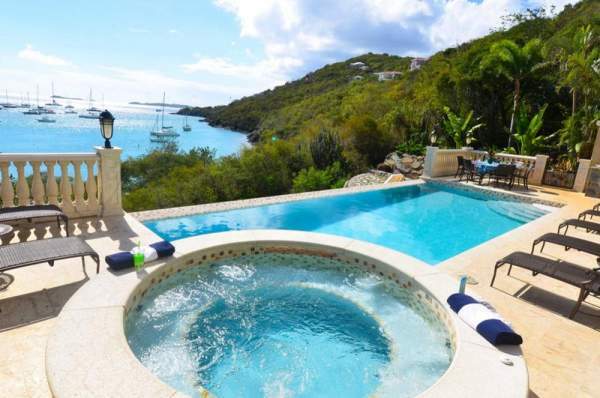 This stunning 5-bedroom villa has a great location near Cruz Bay and North Shore beaches! Has specials. 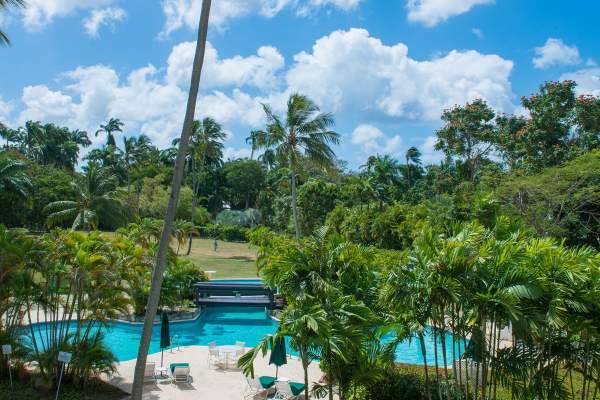 Bright and beautiful gated property with modern amenities, full air-conditioning, and snorkeling nearby. 2 BR rate available. 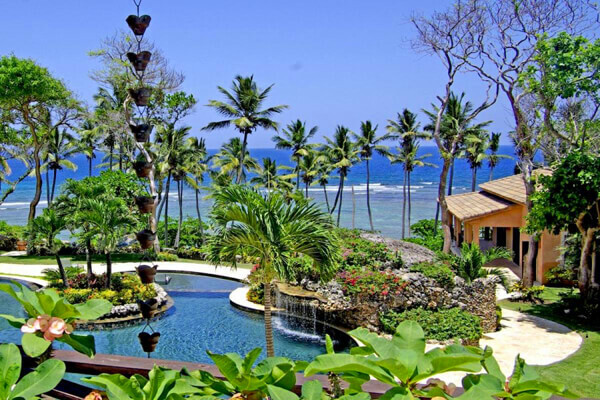 Experience a snorkeling fantasy when you book Coral Kai Villa 4 BR rate available. 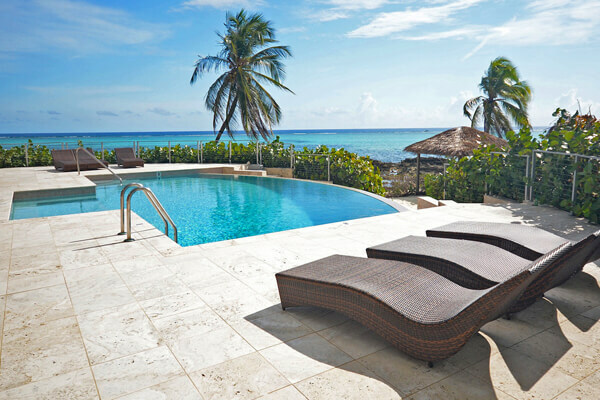 Private beachfront villa great for families, with scuba diving at the Cayman Wall. 4 BR rate available. 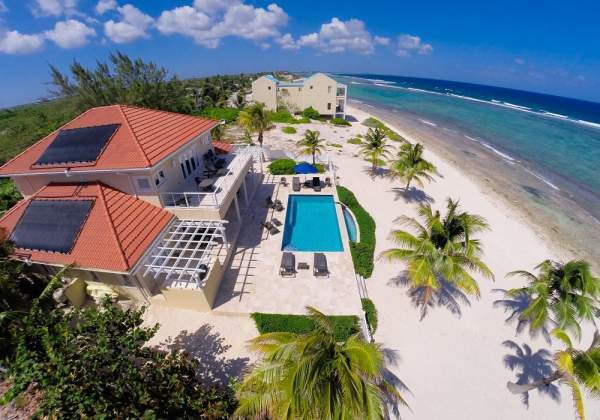 Large 5 bedroom home offering private white sand beach and turquoise waters right at your door step 4 BR rate available. 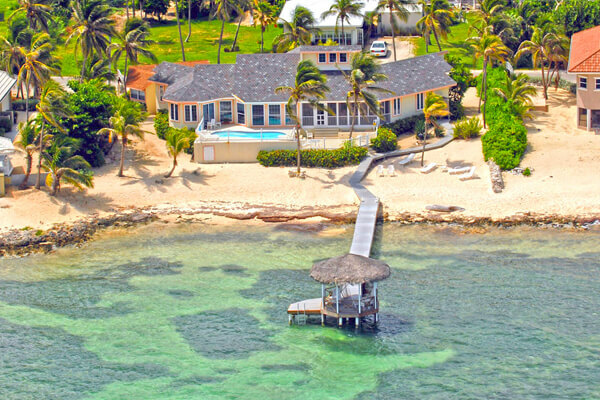 Beachfront island home with plenty of room for family getaways 4 BR rate available. 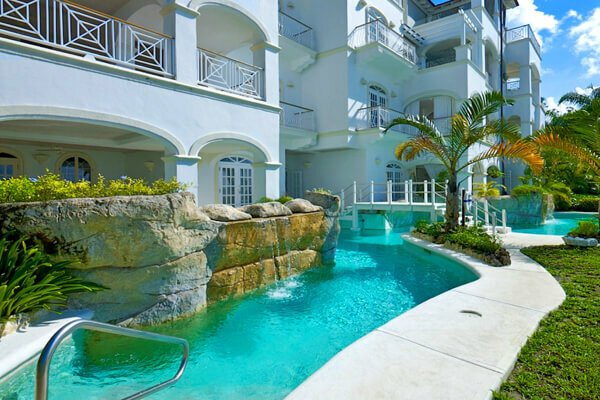 Modern and luxurious five bedroom home on Barbados’ West coast 4 BR rate available. 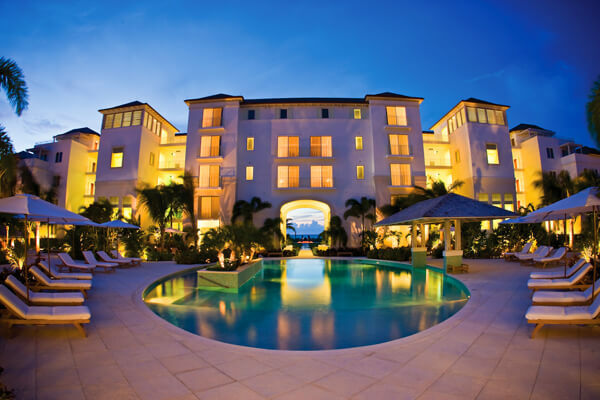 Tropical island elegance, Cayman style Has specials. 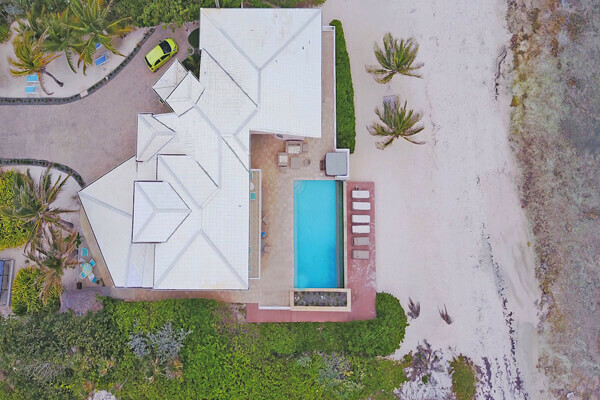 This elevated two-story villa has five Master Suites, ocean views in every room, and direct access to beautiful Long Bay beach. 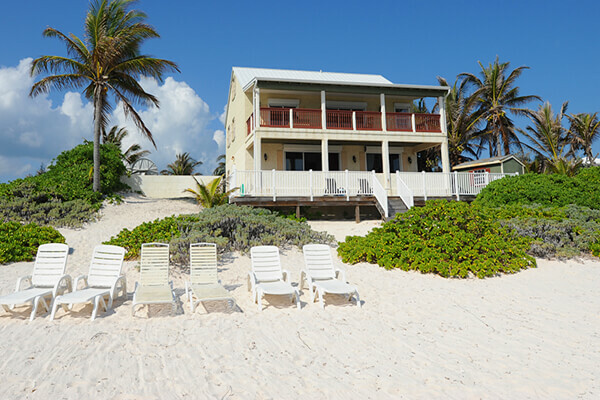 Beachfront home with white sands and turquoise waters ready to greet you each morning! 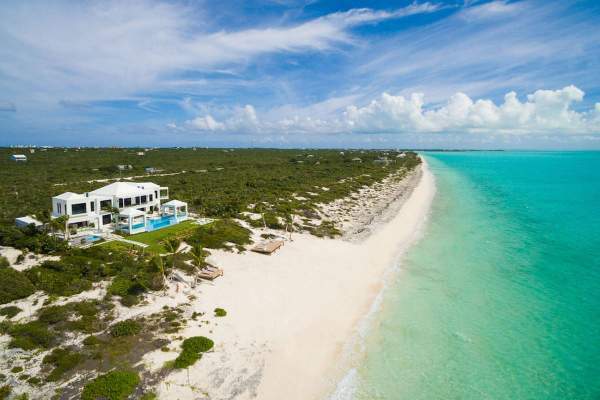 Beachfront, five bedroom property with luxe design, a grand piano, and spacious design. 3 & 4 BR rates available. 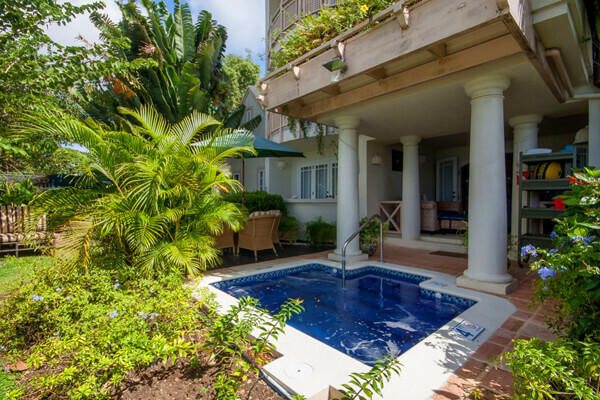 A luxurious five-bedroom retreat with a full staff, entertainment system, and Meads Bay location. 4 BR rate available. 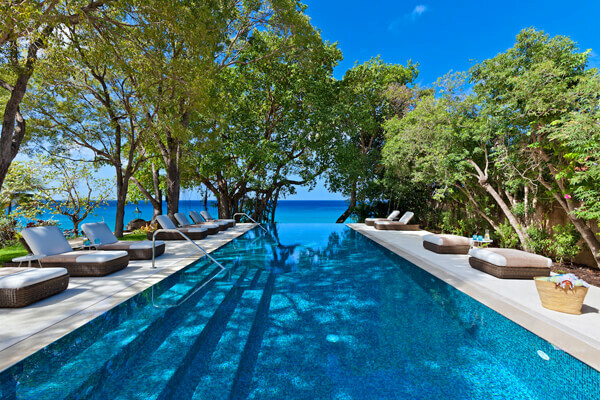 Enjoy the private beachfront villa experience with the comforts of a five-star resort. 4 BR rate available. Ideal location in a luxurious, family-friendly villa. 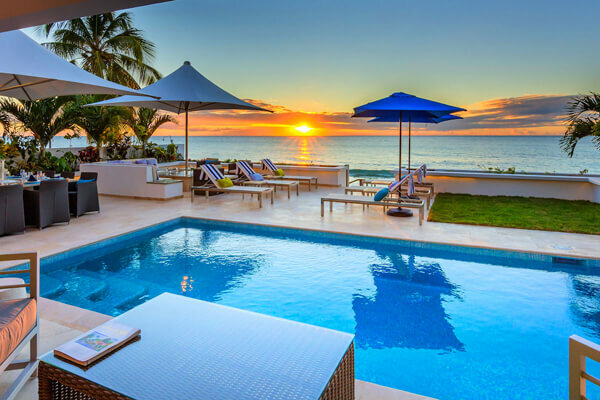 Perfect family and friends beachfront villa with sunset views. 4 BR rate available. Spacious, minimalistic beachfront villa with a loft for kids and a central living area. 4 BR rate available. 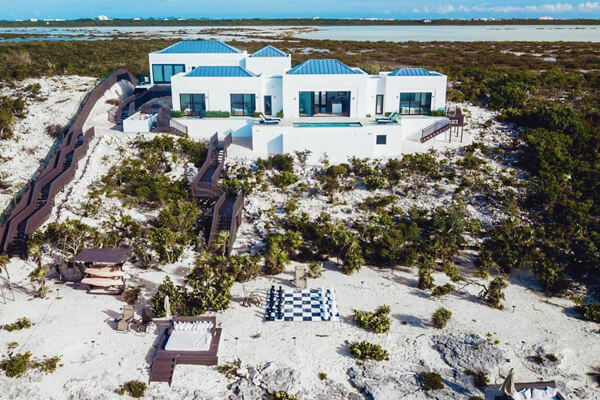 Relaxing modern villa on Long Bay Beach with fantastic outdoor space and a unique master suite. 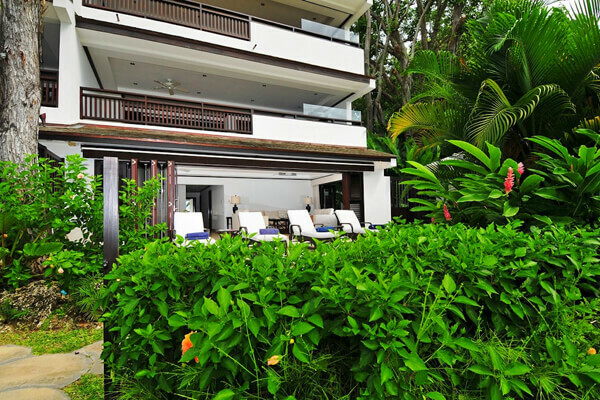 Fully air-conditioned villa with tons of outdoor activities and a beach in the backyard. Has specials. 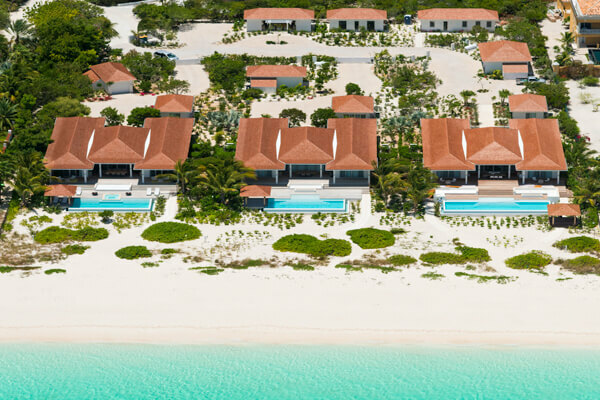 Two L-shaped villas make up the Amoraflora property, united by an 80' long pool and an over-the-water gazebo. 4 BR rate available. 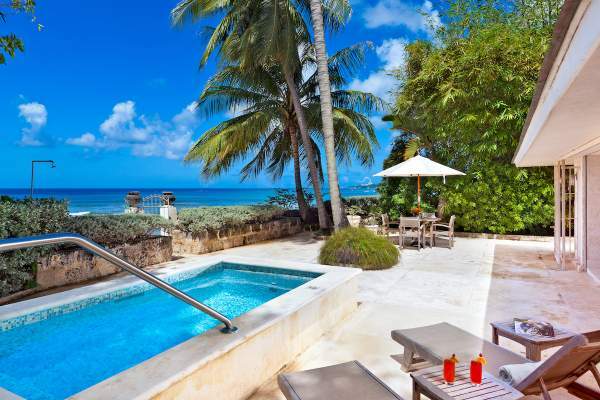 Fully air-conditioned beachfront villa with sunset views and a massive Master Suite. Has specials. 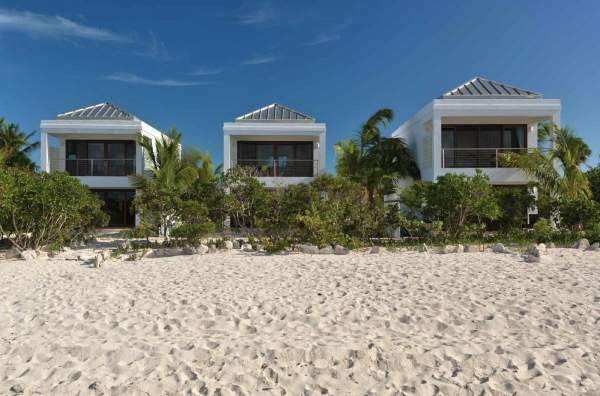 This eco-friendly villa enjoys a beachfront location and resort amenities. 3 BR rate available. 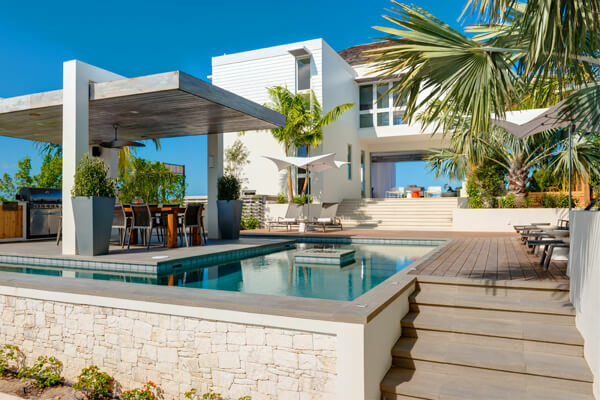 Luxurious outdoor areas spread out over multiple levels, with the beach in the backyard. A Long Bay stay with direct beach access and an unbeatable view of the south shore waters. 3 BR rate available. 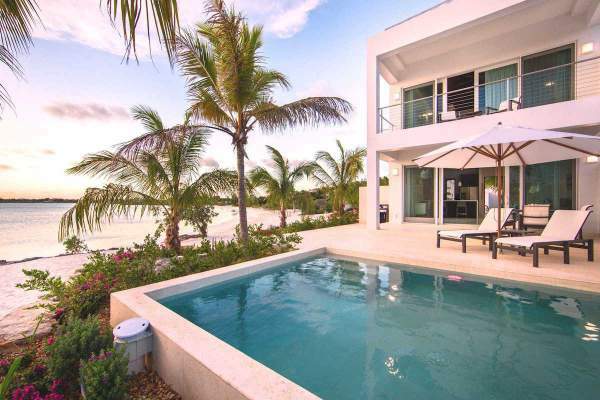 Luxuriously modern resort villa with stunning ocean views and private beach access. 3 & 4 BR rates available. Bright, spacious and modern, the setting of this house is perfect for those that like to hang by the pool and relax. Has specials. 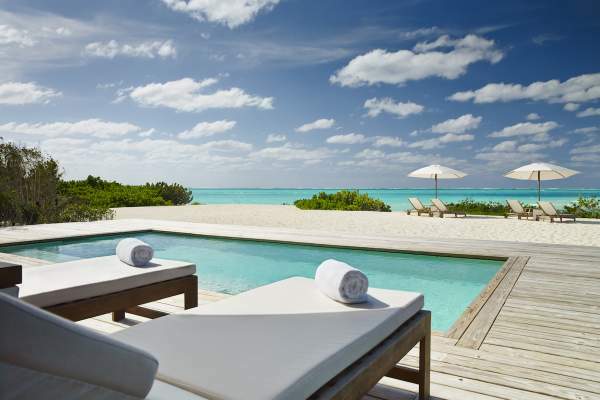 A chic, beachfront villa with resort amenities. 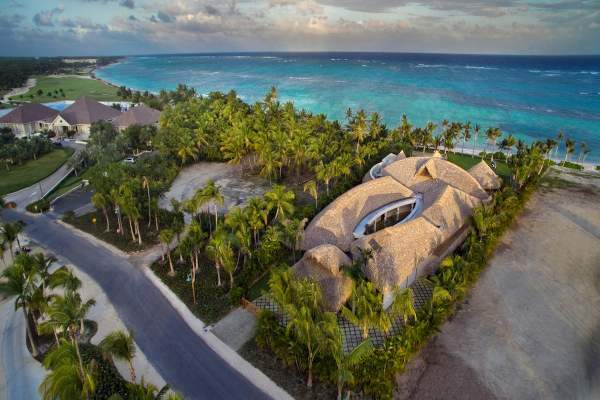 Two-story beachfront villa just steps away from snorkeling and sea life. 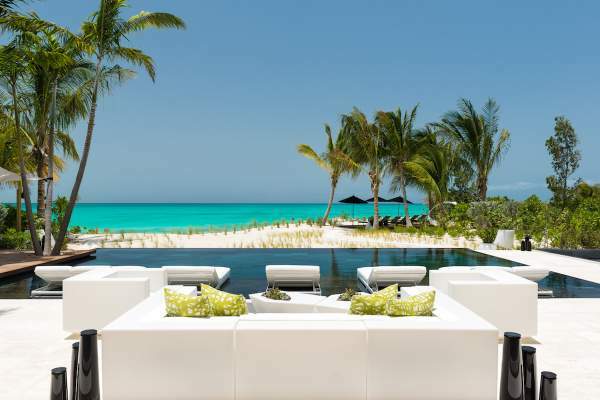 Chic beachfront villa with tons of entertainment inside and out. 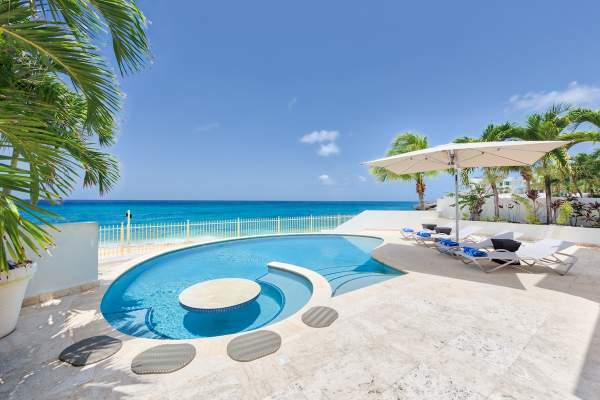 Beachfront villa on idyllic Grace Bay with water sports and tons of outdoor lounging space. Has specials. 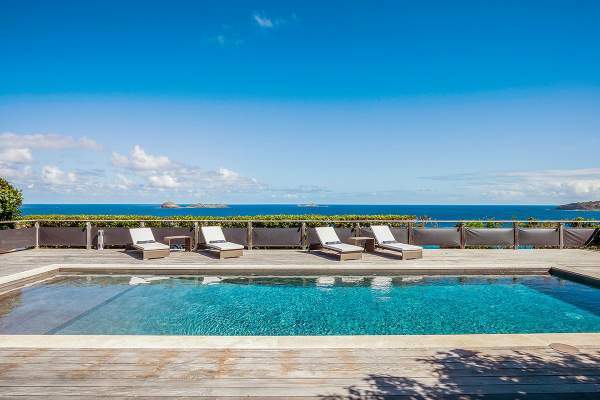 Nearly 6,000 square feet of luxury, with up close and personal ocean views. Has specials. 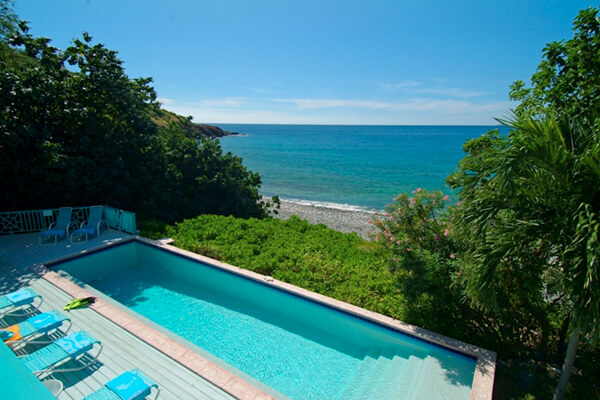 Beachfront villa for any group of travelers, with peaceful privacy and an unfussy design. 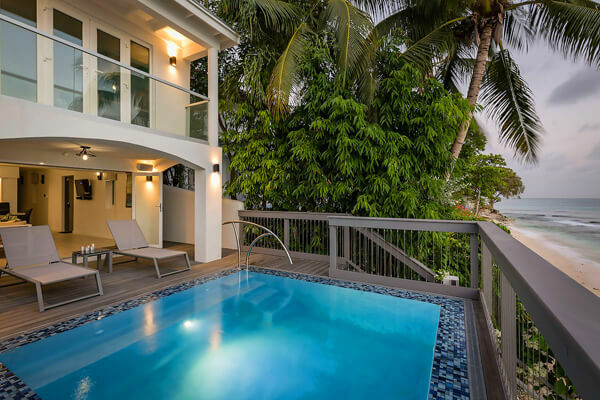 Relaxing, tropical family vacation villa with convenient location and modern design. 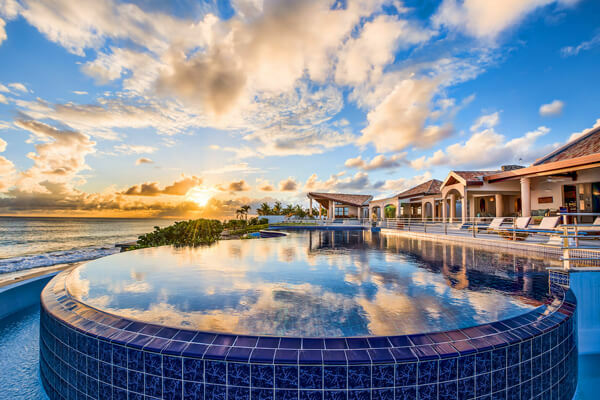 Super private beachfront villa with water sports, a home theater, and ocean views. Has specials. 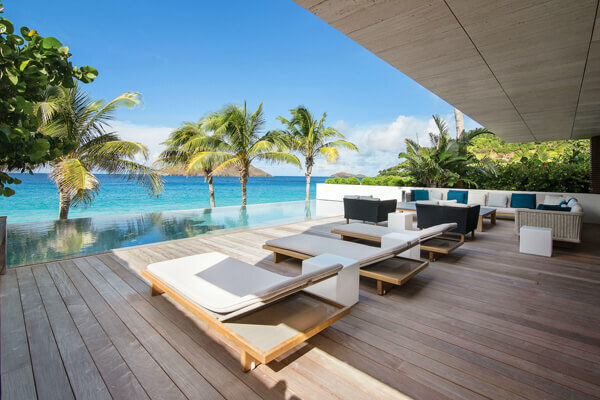 Modern, private beachfront villa with a stylish rooftop deck. Has specials. 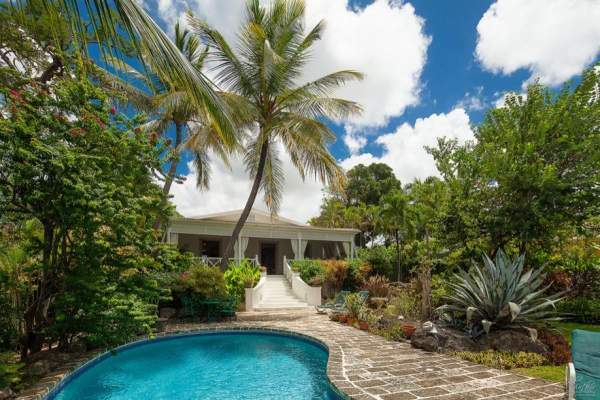 Rum Point villa with two decks and a cozy interior. Has specials. 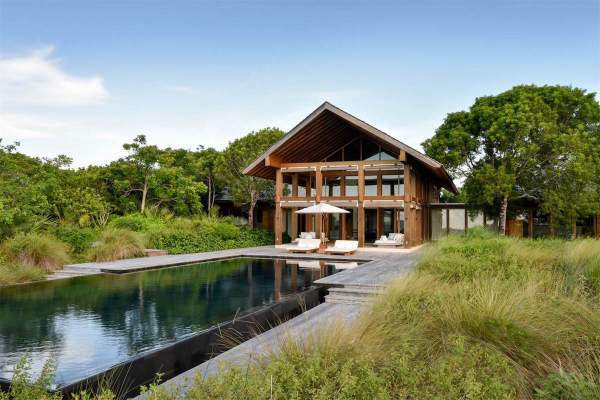 Frank Lloyd Wright-inspired home with modern amenities and beach access. 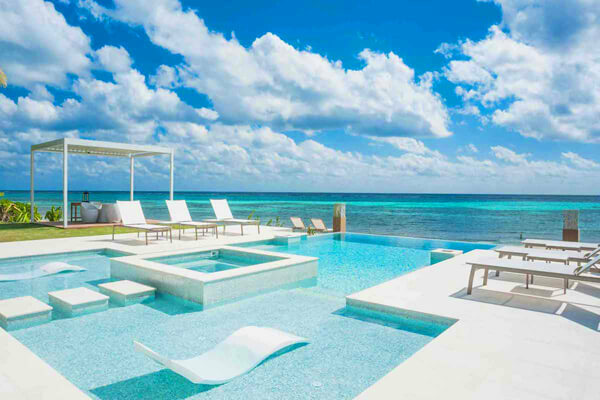 Three pools, the ocean, and the beach will keep guests entertained. Has specials. 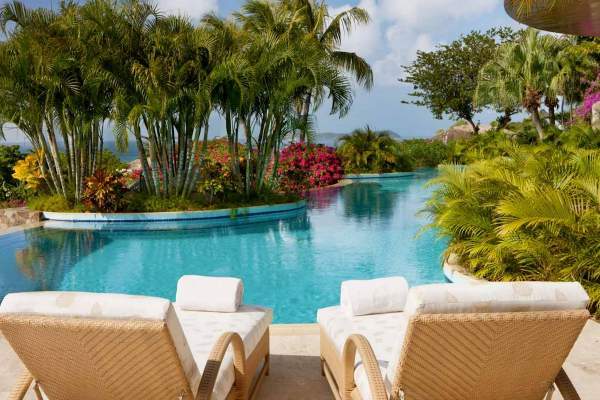 Luxurious resort property with full service and amenities. Has specials. 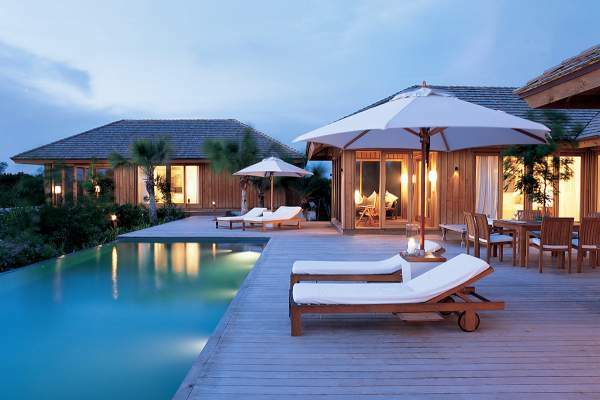 Elegant and chic Long Bay resort villa with an open floor plan. Has specials. 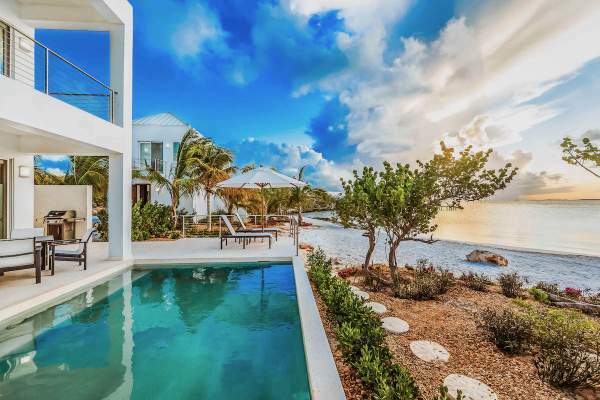 Chic, modern four-bedroom villa with beach access and a private chef. 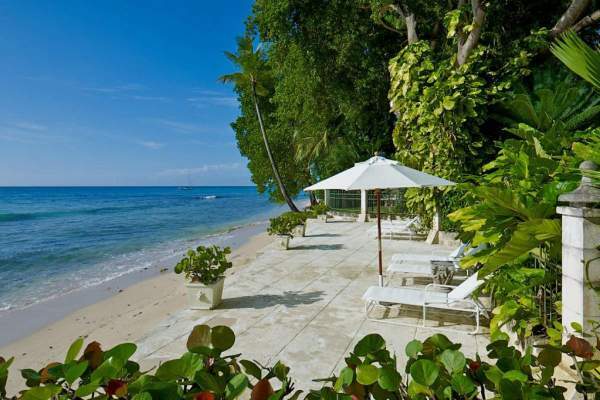 Beachfront villa with a large terrace and lush gardens for privacy. 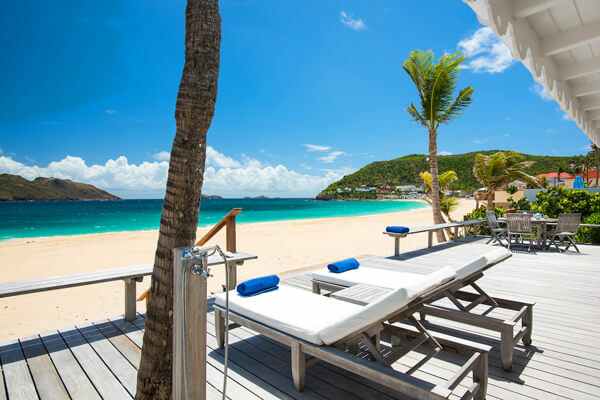 Beachfront traditional St. Barths house with all the modern amenities. 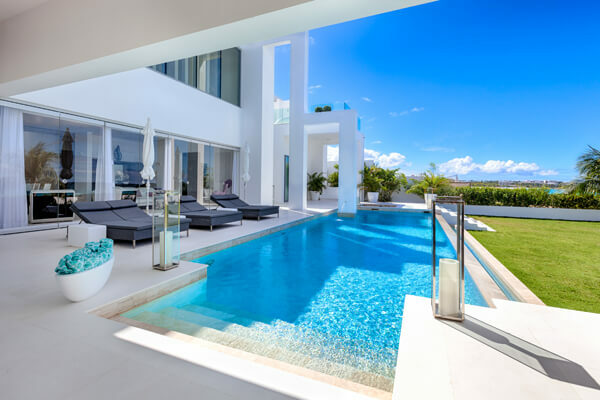 Modern villa designed with a rooftop deck, glass walls, and bright decor. 3 BR rate available. 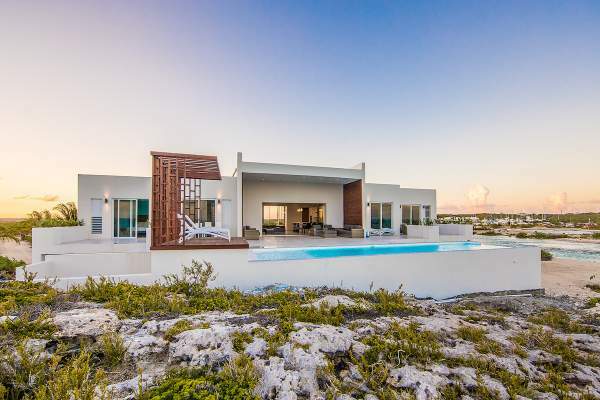 Luxurious, modern, four-bedroom villa with gorgeous design and TVs in every room. 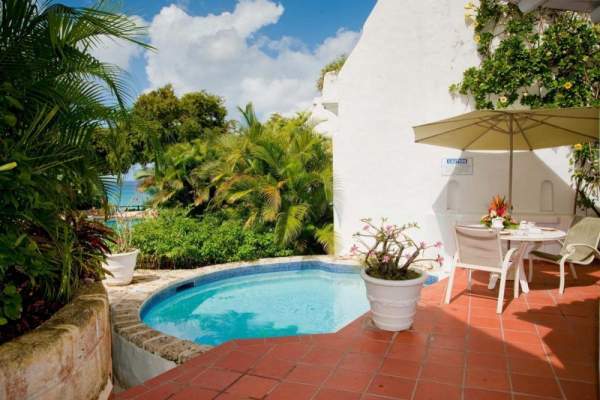 Taylor Bay beachfront villa with four suites, ocean access, and extensive outdoor space. 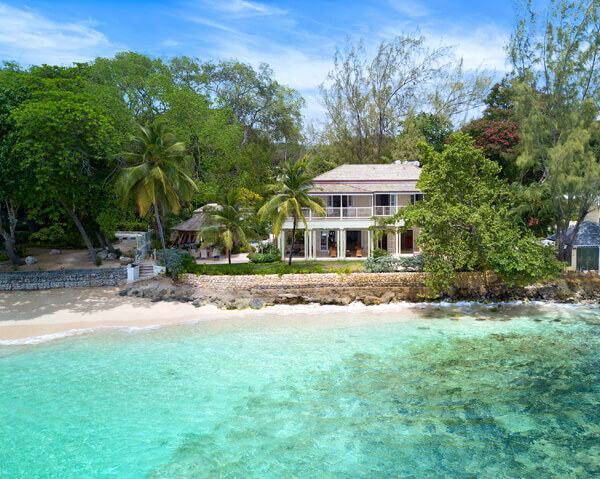 Child-friendly beachfront villa with 10,000 sq. feet of Tuscan architecture. 3 BR rate available. 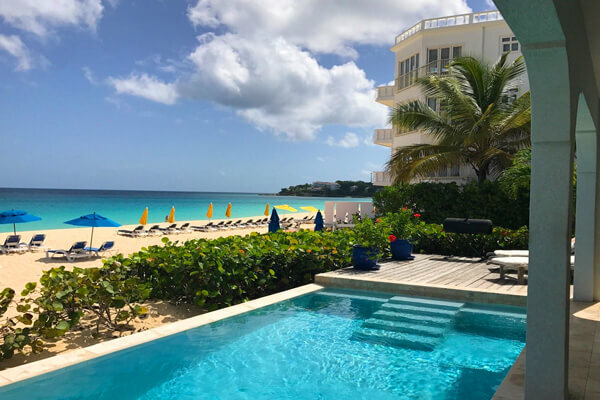 A children's suite connected to the master bedroom combines with direct beach access for the ideal family vacation rental. Has specials. 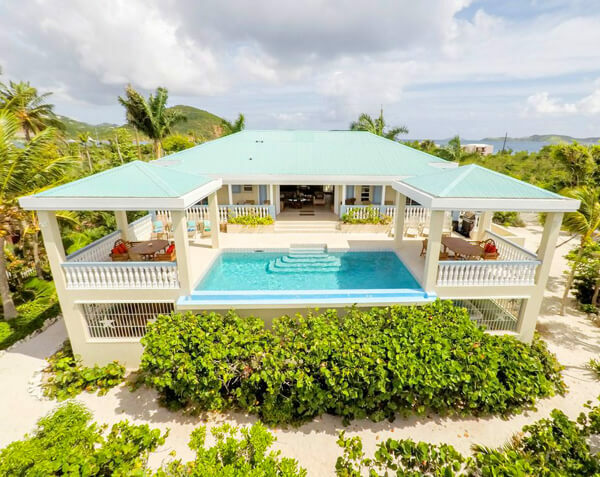 A four-bedroom estate right on the beach near Virgin Gorda's natural wonders. 2 BR rate available. 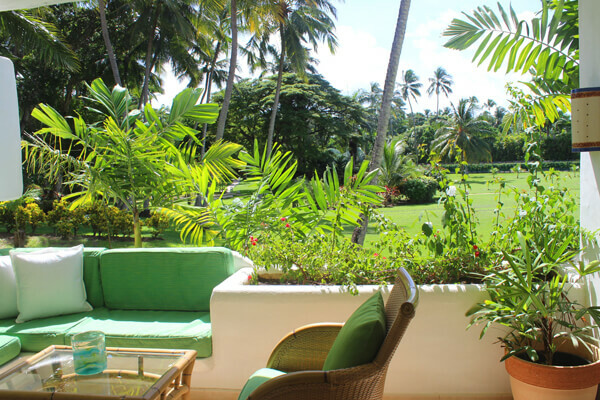 This villa sits right on Mahoe Beach's white sands, perfect for beach lovers. 2 BR rate available. 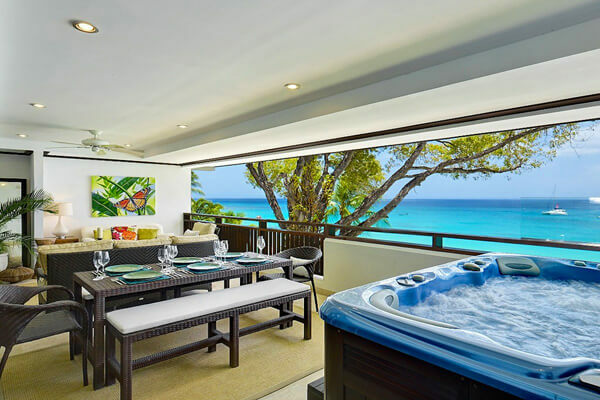 Sea Fans Villa enjoys a cathedral ceiling and a modern, well-equipped kitchen for the discerning family. 2 BR rate available. 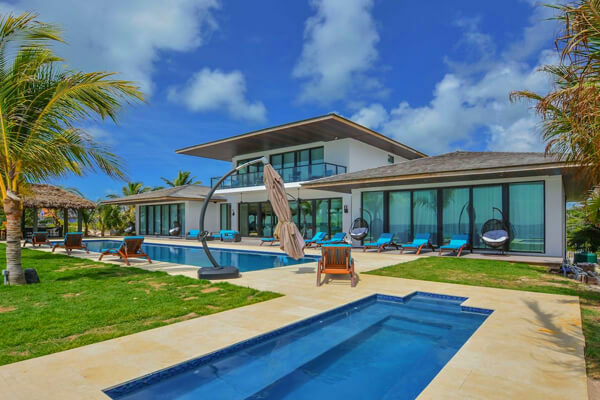 Stunning Long Bay Beach villa with panoramic ocean views and spacious, modern design. 2 & 3 BR rates available. 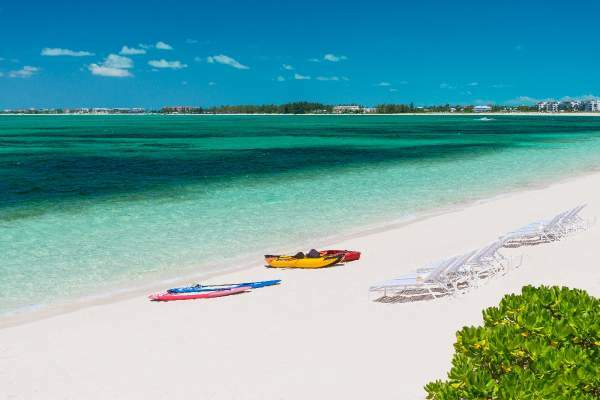 Complimentary kayaks give you access to the offshore reef and a way to explore the beach. 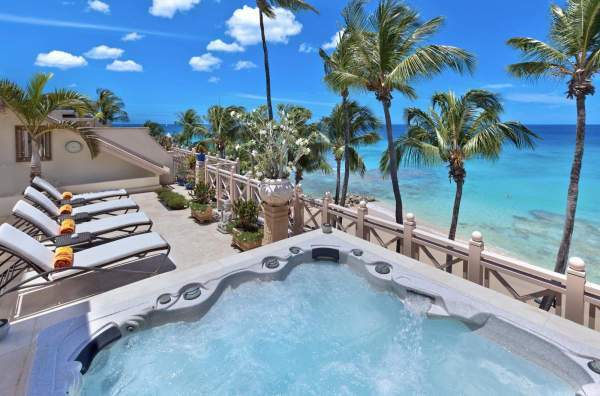 A luxurious two-story villa on Gibbs Beach with three king suites and one twin suite. 3 BR rate available. 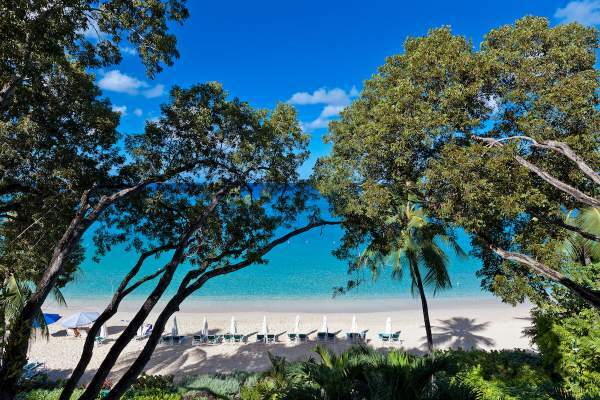 A tropical haven with ocean views, a world class chef, and direct beach access. 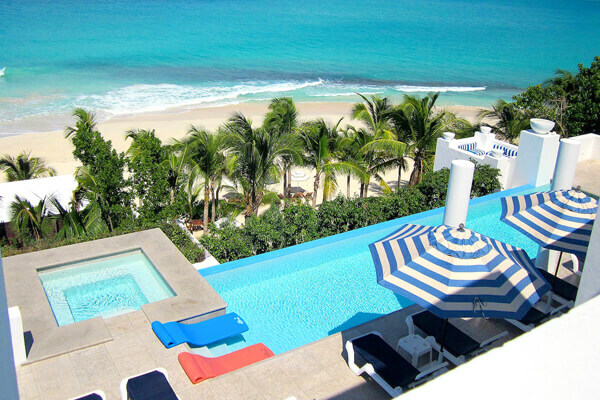 Beachfront villa with direct access, a gorgeous pool, and ocean views. Beachfront retreat in St. Peter with open, comfortable design. 3 BR rate available. 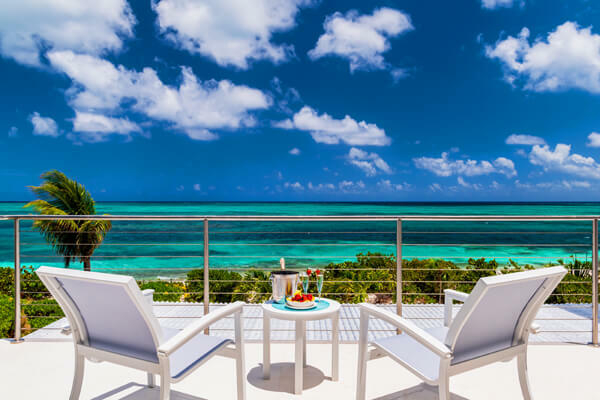 Ocean Villa offers incredible views in every direction and is very kid-friendly. 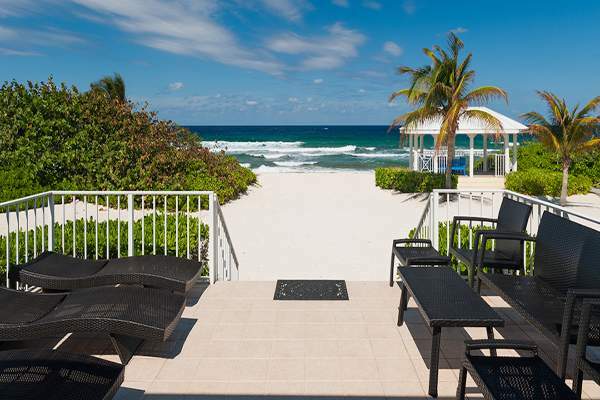 Bright, spacious decor, an expansive lawn with tons of lounging space, and direct beach access. Perfect for a family vacation or getaway with friends with incredible views and gorgeous design. 2 & 3 BR rates available. 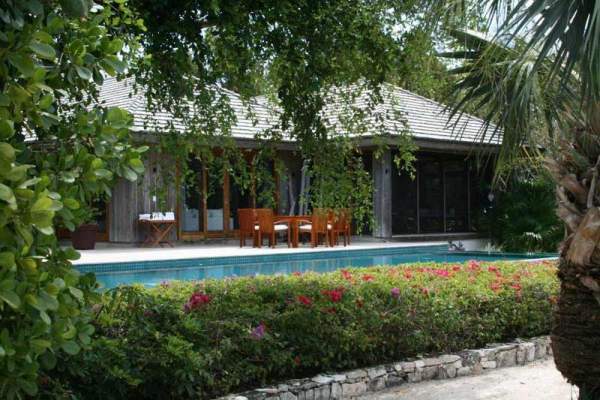 Luxurious beachfront villa with a fantastic outdoor space and ideal location near Turtle Cove. 3 BR rate available. 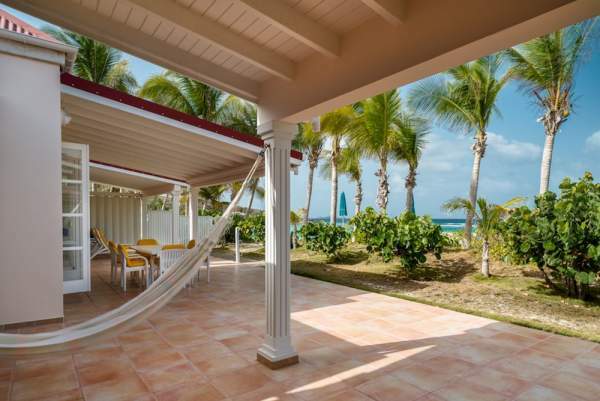 Four-bedroom resort villa right on Grace Bay beach. 2 BR rate available. 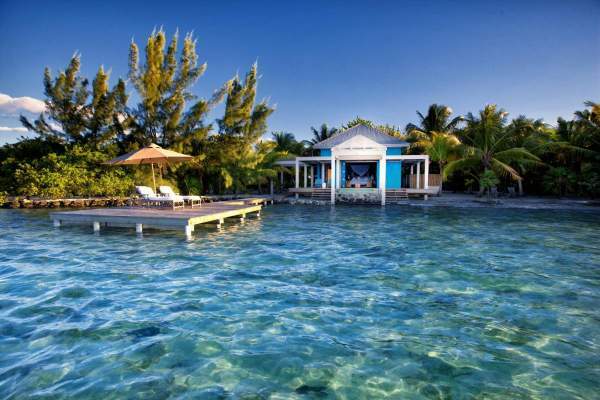 Beachfront villa with kayaks, an entertainment system, and everything you need to relax. 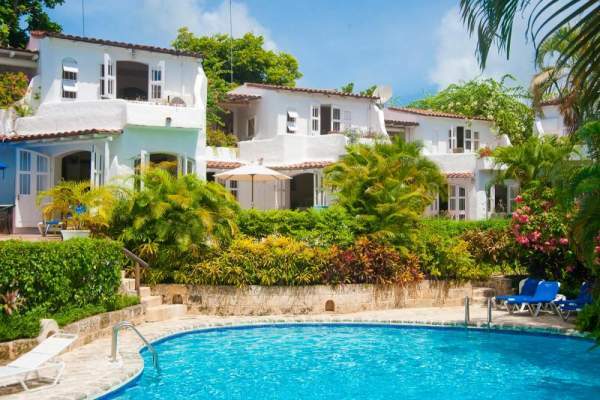 This villa is located within a gated community on Cupecoy Beach and is considered a jewel of the Caribbean 2 & 3 BR rates available. 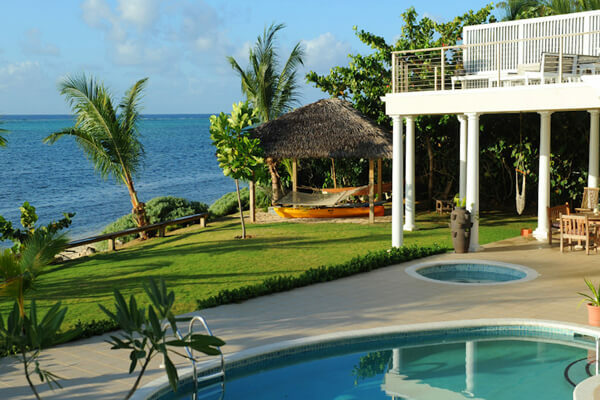 Find relaxation to the max at the deluxe Villa K in Anse des Cayes 2 BR rate available. Cliffside location with breathtaking views and easy access to Falmouth Beach. 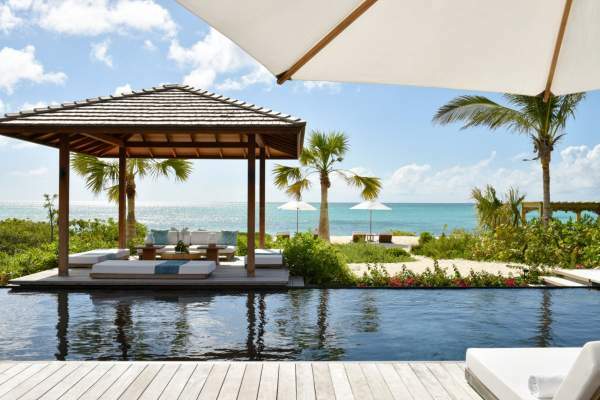 This warm, tropical villa on West End Bay Beach relaxes guests with simple pleasures. Jolly Harbor's most comfortable locale with lots of island activities to choose from. 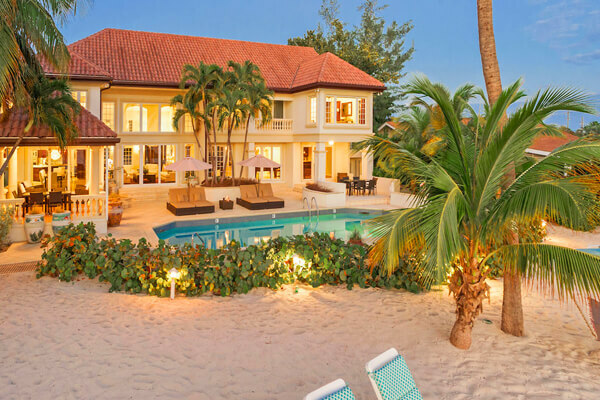 Light and airy tropical beach house right on Grace Bay Beach. 2 BR rate available. Comfortable surroundings and tons of possible adventures waiting, Rolling Surf is conveniently located to take care of all your needs. 1, 2 & 3 BR rates available. 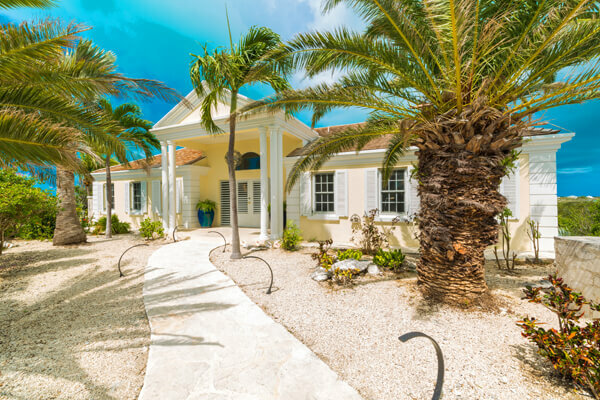 Regal, colonial home steps from serene Reeds Bay. 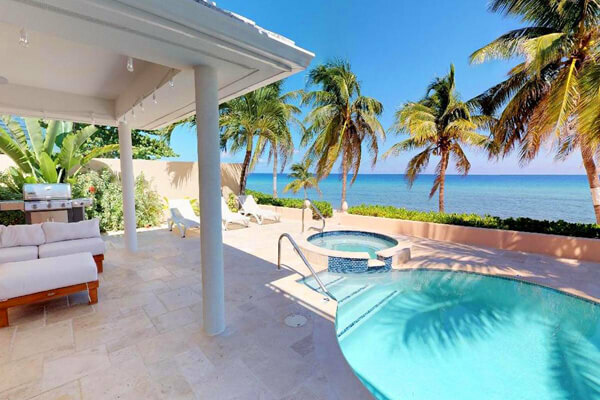 Beachfront villa has stunning sea views and tons of space for you and your loved ones. 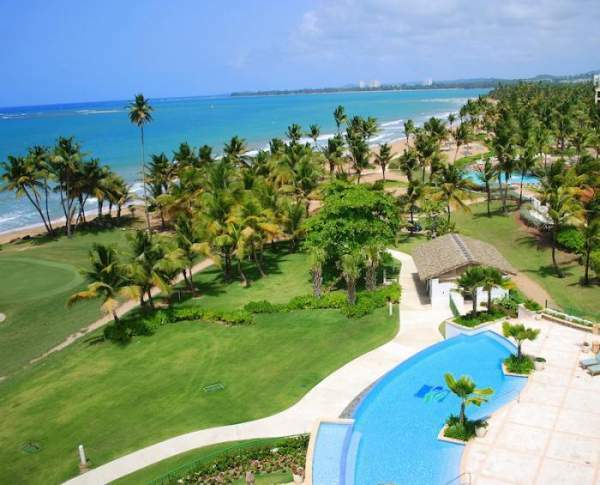 Luxury complex with direct access to the beach and four levels of living space. 1 & 3 BR rates available. A short walk to the two beaches. 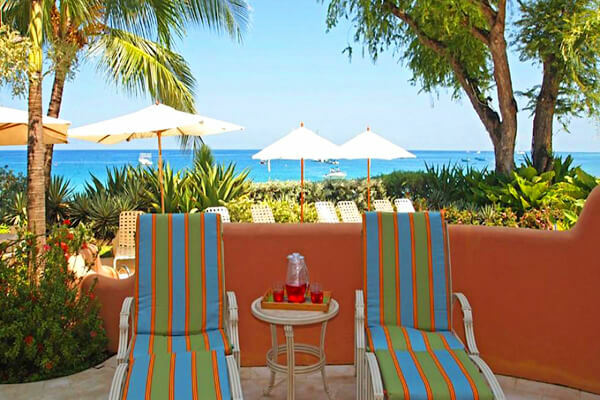 Enjoy a Sandy Lane beachfront view from the shaded terrace. 3 BR rate available. 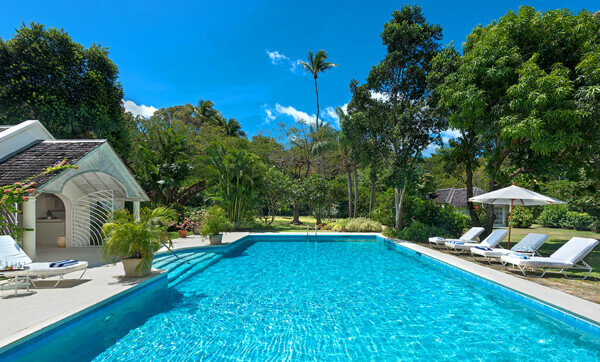 Clearwater Villa is an outdoor heaven for sports enthusiasts Has specials. Beachfront, family-friendly home near snorkeling. 1, 2 & 3 BR rates available. 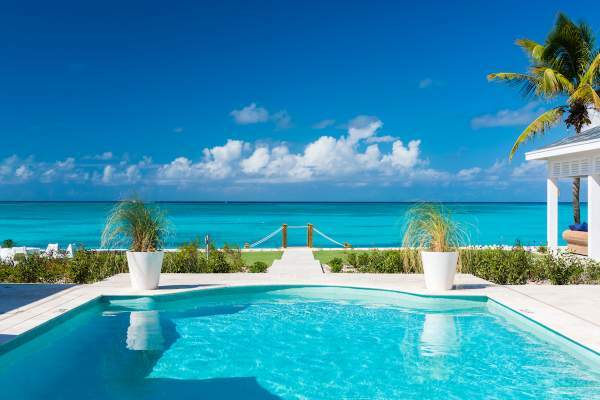 This Grace Bay beauty has modern luxury, a fantastic pool bar, and an upstairs dining room. 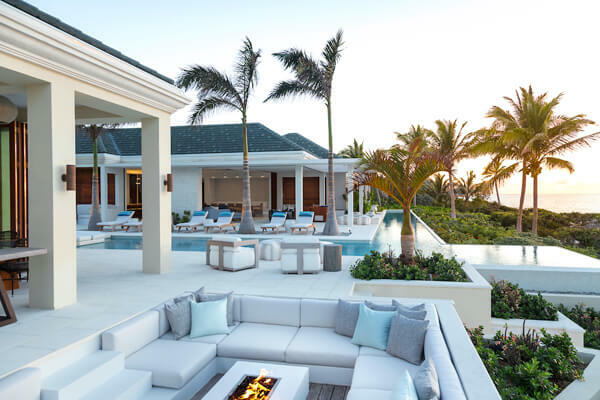 Grace Bay villa with an open-concept living area. 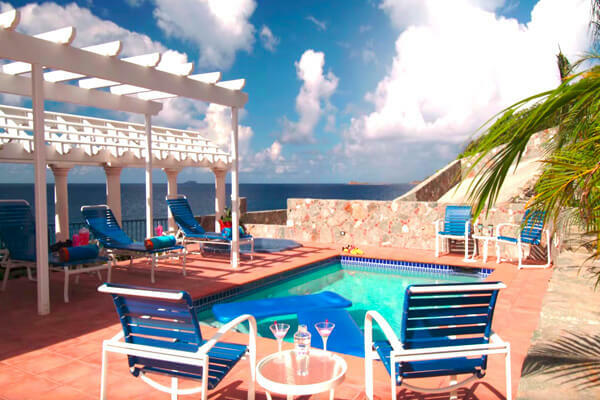 This villa offers stunning views of the mountains of St. Marten and the Caribbean Sea from all angles. 3 BR rate available. 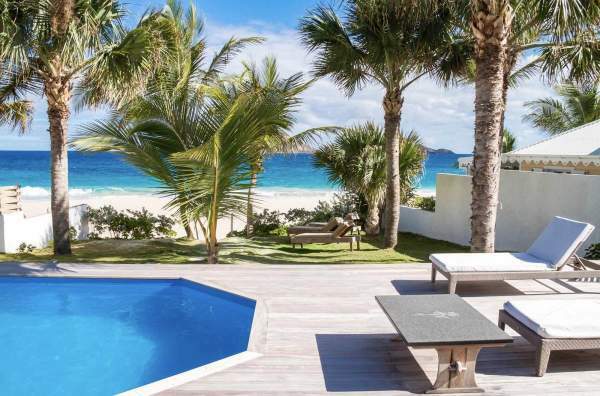 Set above a private beach, this villa is tucked away yet close to everything. 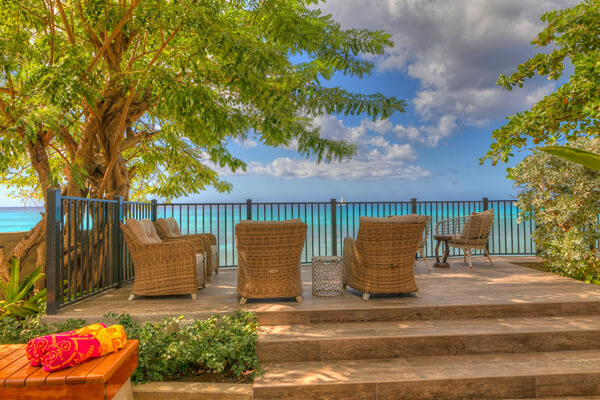 Peaceful tranquility combines with beachfront luxury at this Leeward villa. This family-friendly villa has a huge kitchen and beautiful bedrooms, just a short drive from St. Jean Bay. 1, 2 & 3 BR rates available. 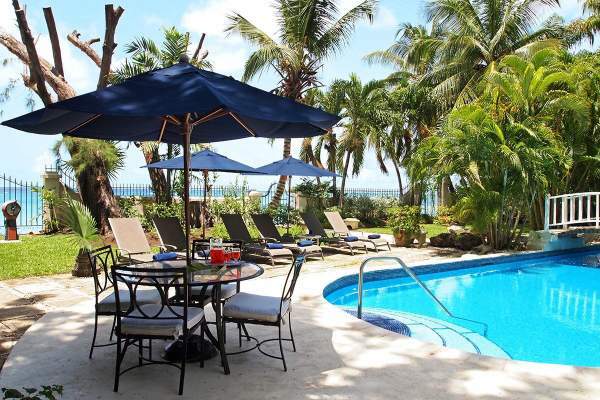 Beachfront villa close to water sports and local restaurants. 2 BR rate available. 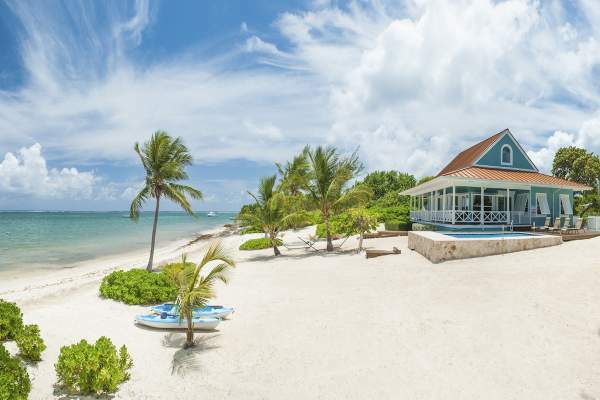 Perfect blend of seclusion and excitement near Holetown. 2 BR rate available. 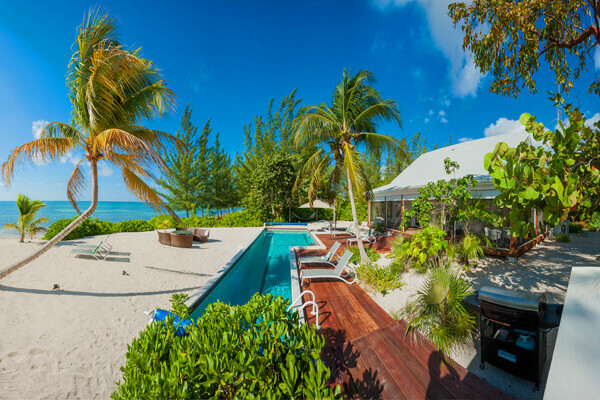 Eco-friendly beachfront villa conveniently located near Rum Point Club. Has specials. 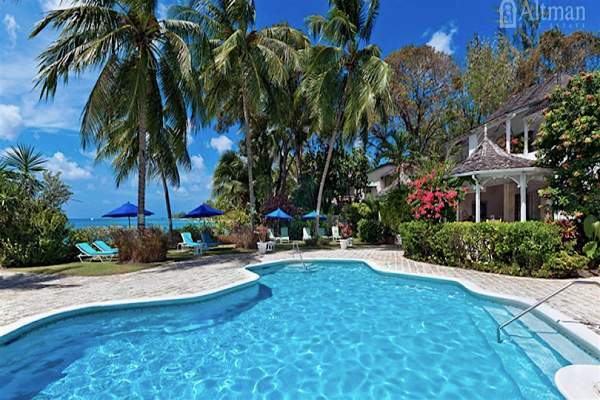 Beachfront home at Tryall Club with a large pool and hot tub. 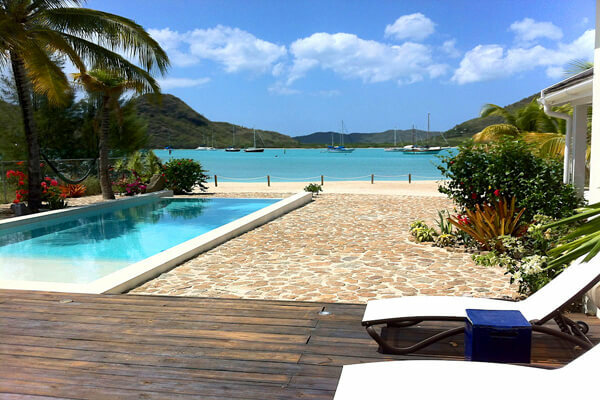 Spacious and open villa set above a private, calm tidal beach perfect for snorkeling and exploration. 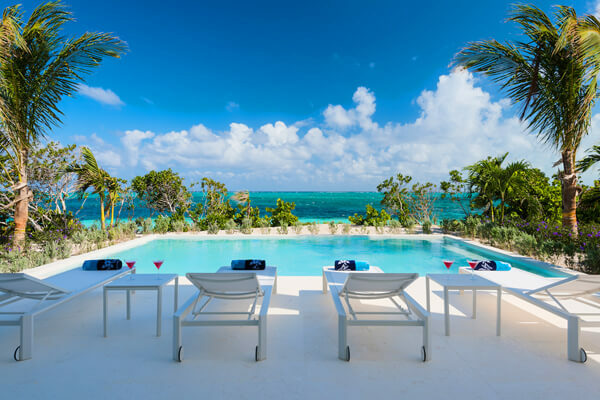 This private resort offers full service and off the grid luxury. 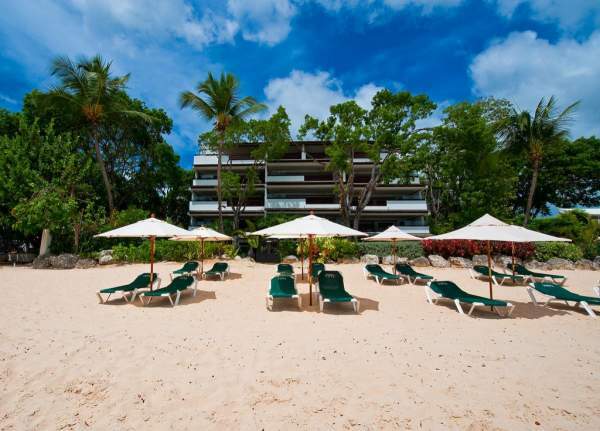 Beachfront boutique resort with snorkeling access, elegant design, and a convenient location. 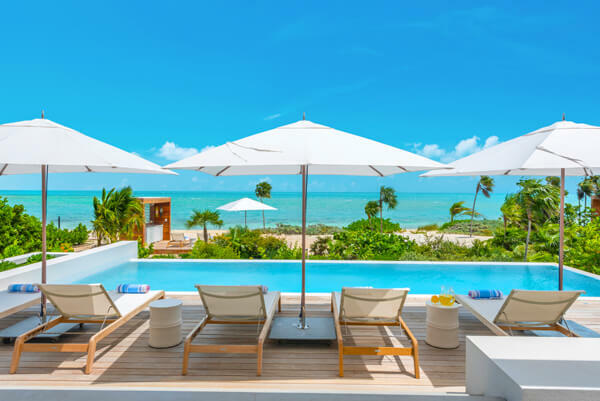 Stylish and contemporary beach house ideally suited for couples that is perfect for basking in the sun, on the beach or in a poolside daybed. 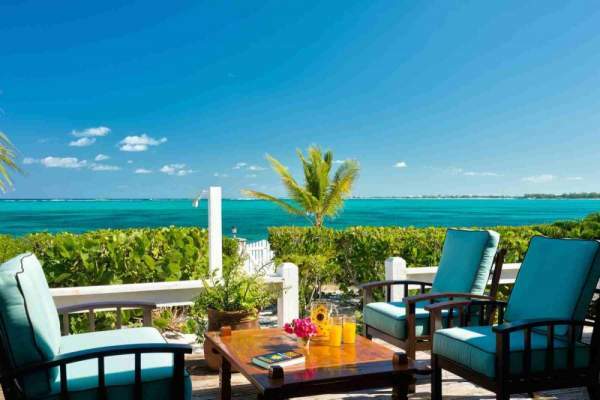 A private, beachfront villa that offers comfort and ease on beautiful Grace Bay. Has specials. 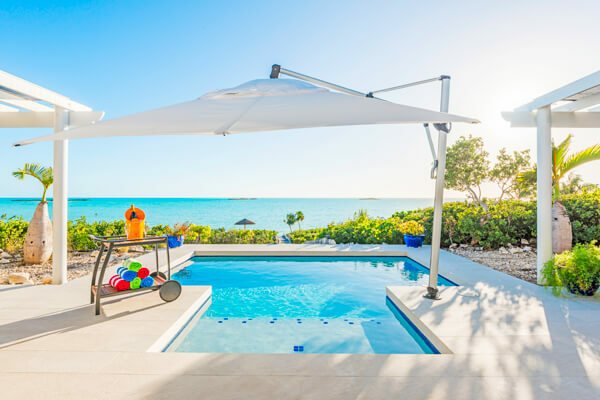 Grace Bay villa with chic accommodations, a freshwater pool, and direct access to the best part of the beach. 3 BR rate available. 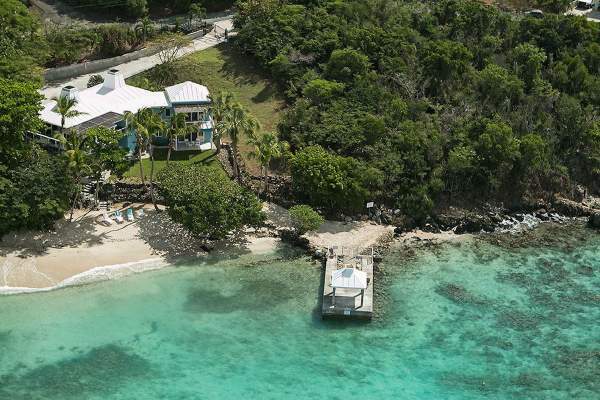 Family-friendly villa with a bunk room for kids, a kayak, and a great location between Rum Point and Seven Mile Beach. 3 BR rate available. 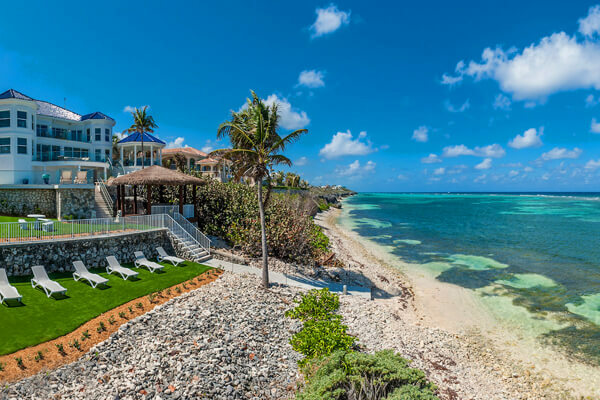 Beachfront villa with its own strip of sand, an oceanfront pool, and lots of windows. Has specials. 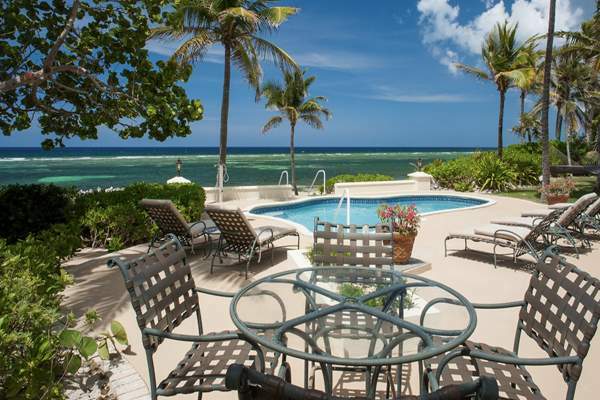 Oceanfront villa near snorkeling reefs, Seven Mile Beach, and marine life. Has specials. Contemporary Penthouse with direct beach access and top-of-the-line amenities. 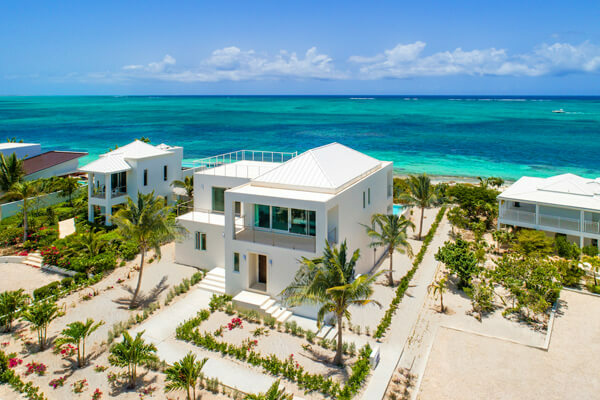 Beachfront, two story villa with central air-conditioning, an open floor plan, and walls of windows to take in the view. Has specials. 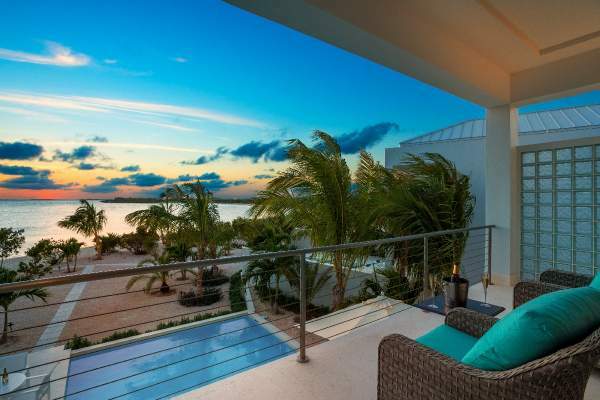 Beachfront villa rental with sunset views and rooftop deck. 3 BR rate available. Spacious, luxurious beachfront property designed for outdoor living. Family-friendly home on the beach with a cozy interior. Has specials. 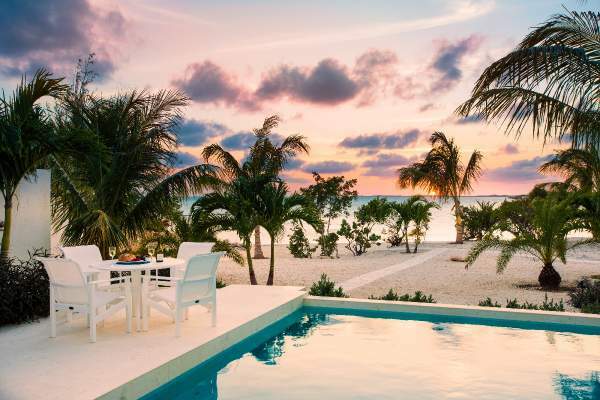 Beachfront villa with large rooms and easy snorkeling access. Has specials. 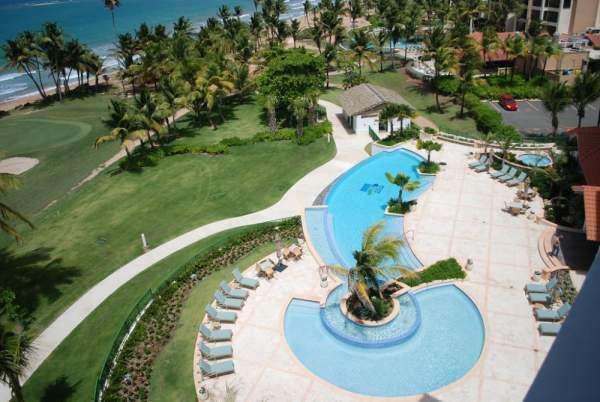 Resort condo with a huge terrace, Jacuzzi tub, and unobstructed ocean view. 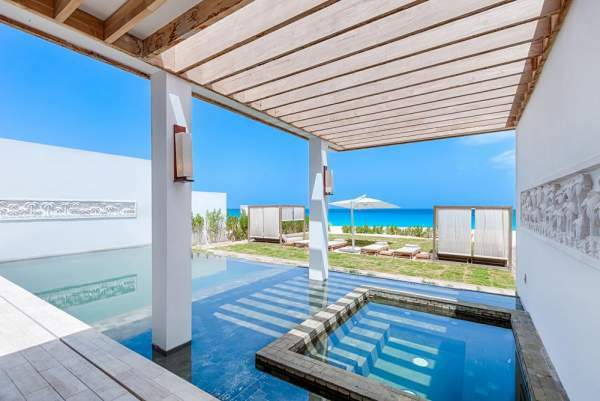 This penthouse villa has completely amazing views: miles of sand and blue sea. Has specials. Penthouse suite with beach access, panoramic ocean views, and two levels of indoor and outdoor luxury. 2 BR rate available. 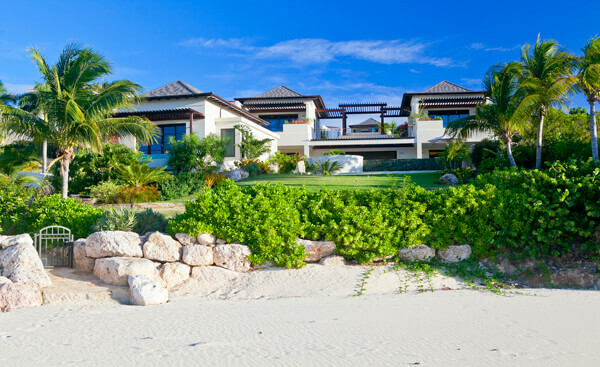 Stylish and spacious villa in a luxury community with private beach access. 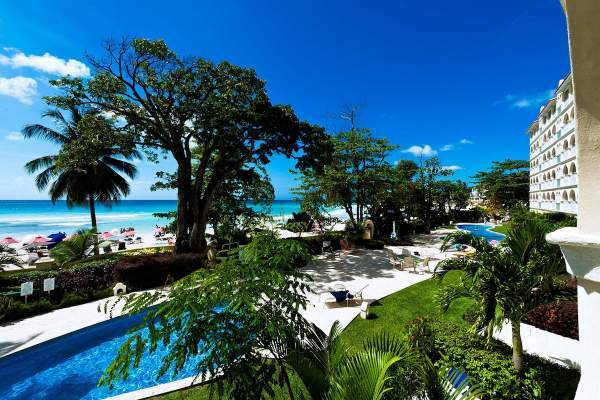 Beachfront resort complex on Dover Beach with two pools and gorgeous ocean views. 2 BR rate available. 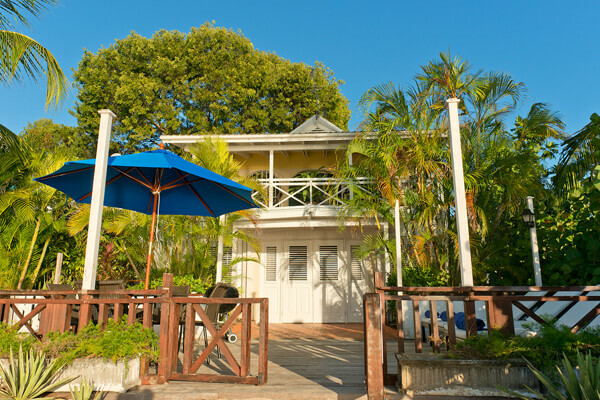 Oceanfront cottage near Little Good Harbour Hotel and the renowned Fish Pot Restaurant. 2 BR rate available. 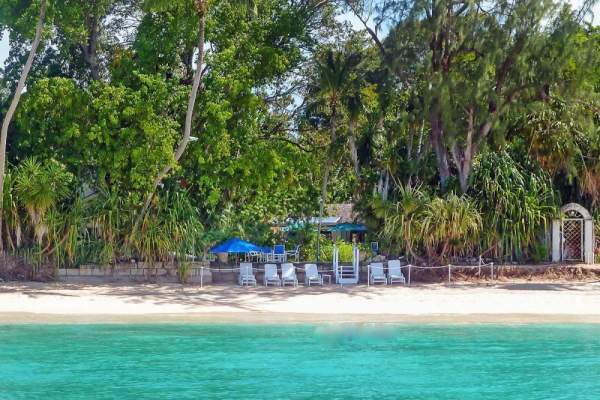 This fully air-conditioned beachfront villa is near Rum Point Beach, bioluminescent bay, and tennis courts. 2 BR rate available. 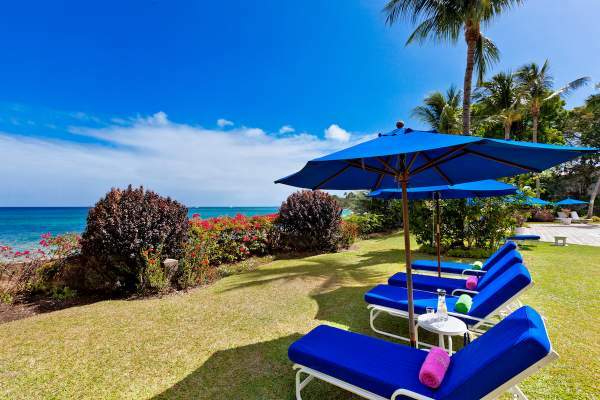 Private villa within a resort neighborhood with a private beach and walking distance to yacht clubs. Has specials. 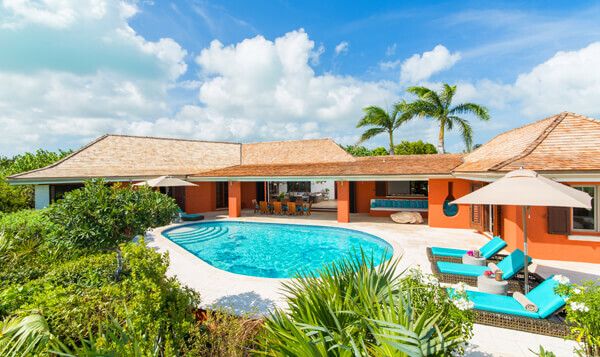 Sunny villa with lush vegetation and floor to ceiling windows in luxurious COMO Parrot Cay resort. Has specials. 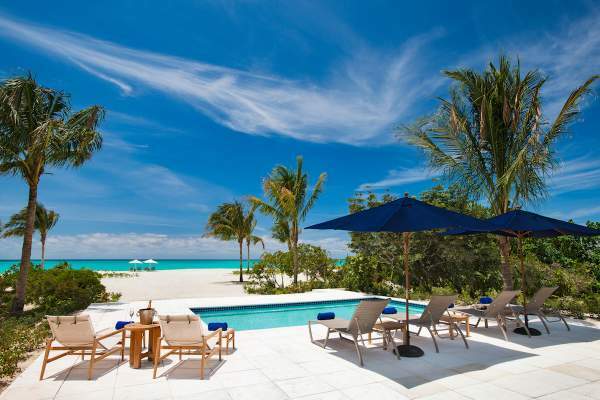 Totally private, beachfront villa with all the amenities of a luxury resort. Has specials. 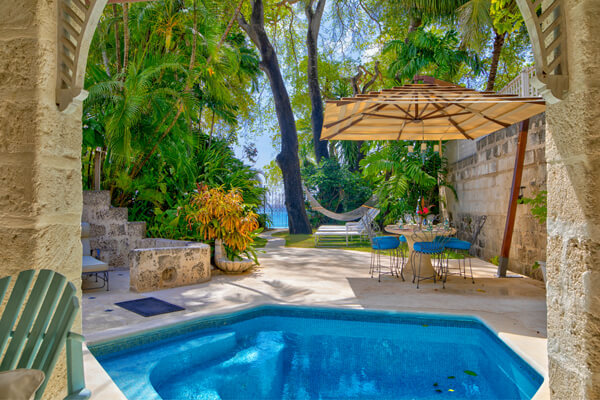 Beachfront villa in a private community near Gibbs and Mullins Beach. Oceanfront property with spacious Great Room and proximity to all the island's hot spots. Has specials. 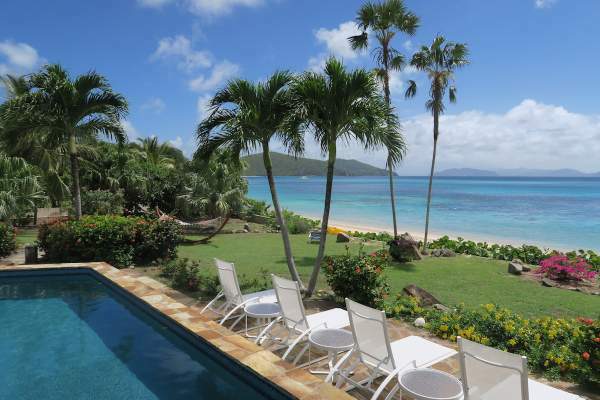 Extremely private, oceanfront villa with access to the island's best shallow snorkeling site. Has specials. 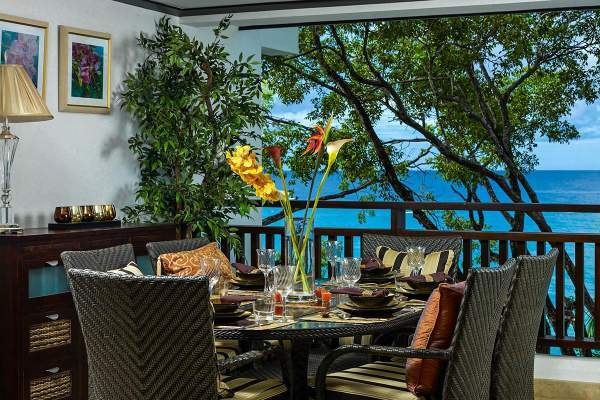 Al fresco dining and chic furniture set this beachfront property apart. Third floor apartment with a luxurious layout and resort amenities. Has specials. Family vacation villa in a well-equipped resort community. Has specials. 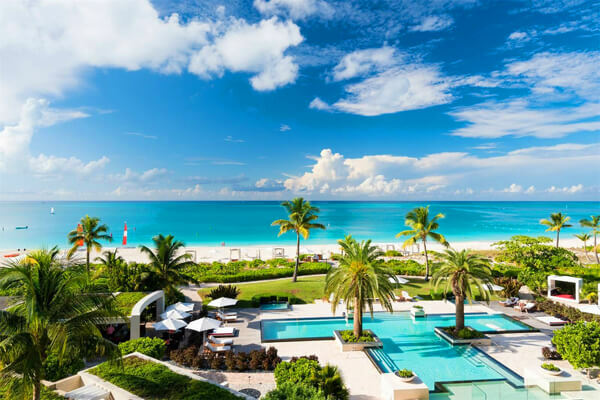 Enjoy easy access to Grace Bay and luxurious service from the resort. Has specials. 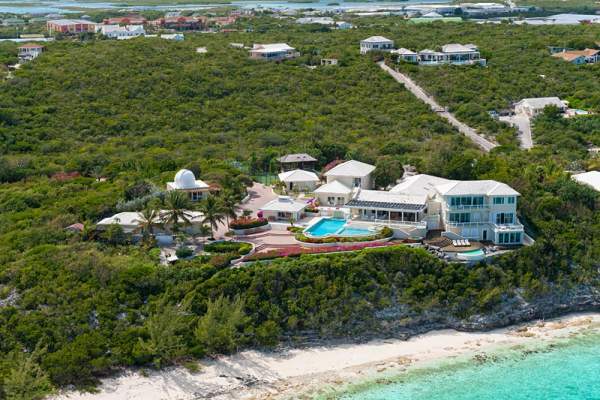 Beachfront villa with sleek, white interiors and access to Turtle Cove Marina. 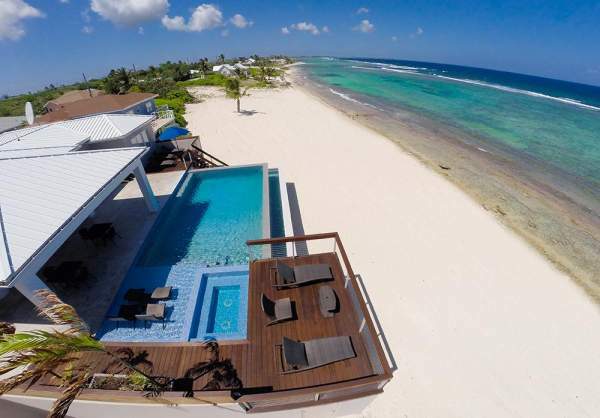 Turtle Tail beachfront villa with panoramic views and a life-sized chess board. 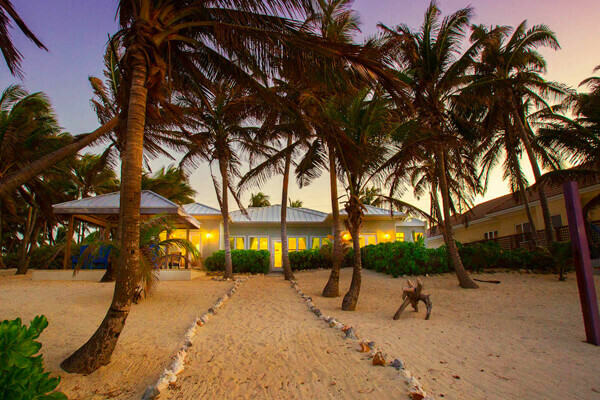 Family-friendly beachfront home with amenities for guests of all ages. Has specials. Beachfront three-story home with huge outdoor space. 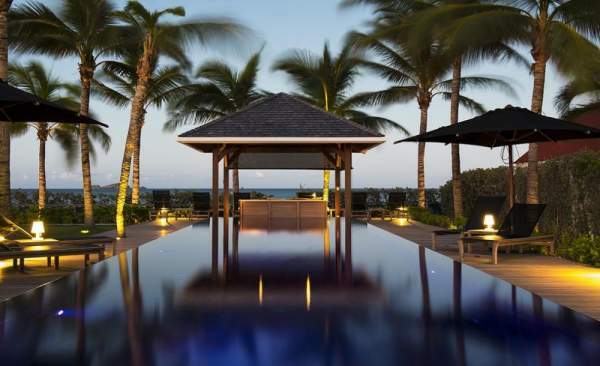 Luxury beachfront villa with endless amenities and event-friendly design. Has specials. 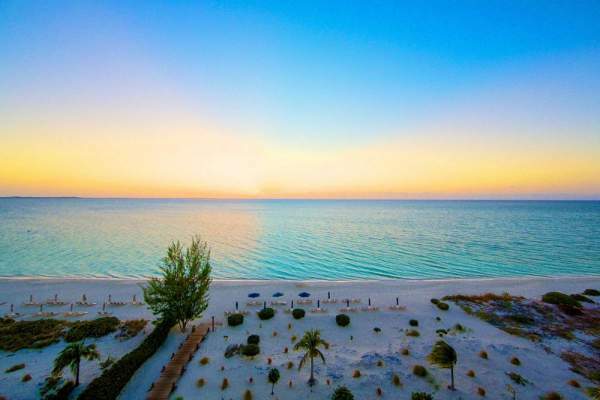 Beachfront resort community with staff, beach service, and communal amenities. 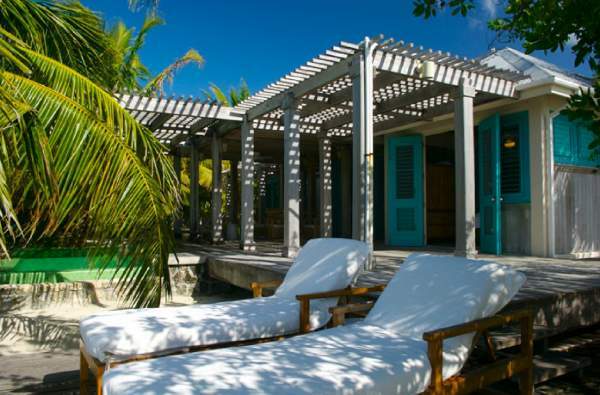 Beachfront resort villa with three bedrooms and a gorgeous outdoor lounge. 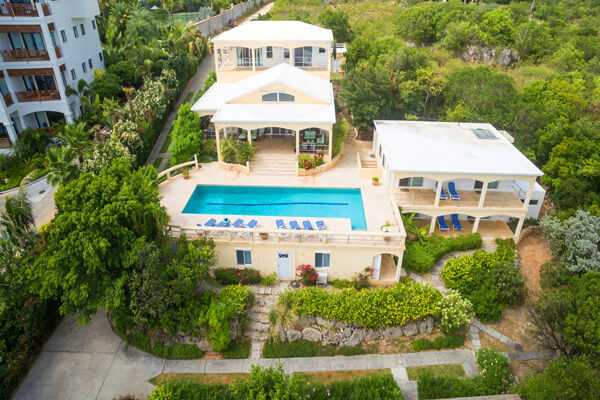 Private villa located right on Baie Longue Beach is the ideal getaway on St. Martin 1 & 2 BR rates available. 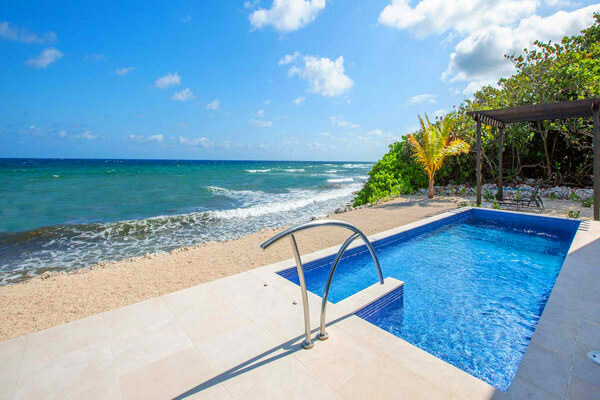 All adult villa with swimming, snorkeling, and beachcombingfor those who can't get enough of the ocean Has specials. 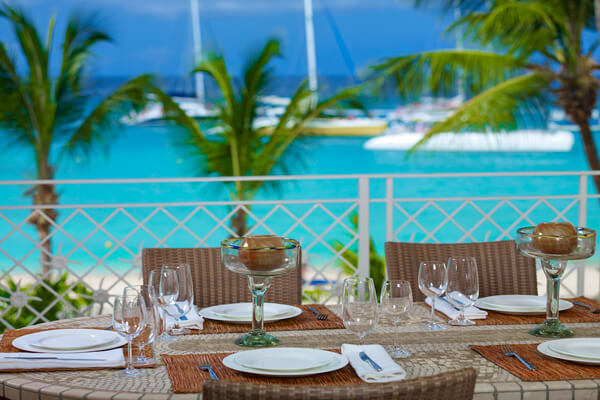 Ixoria faces due west, which means sunsets will be center stage to your terrace each evening Has specials. 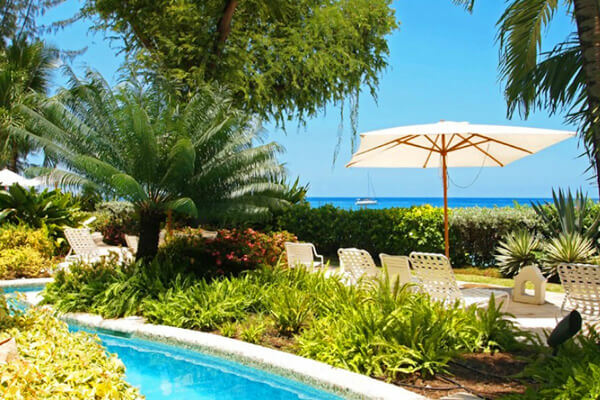 Relaxing and spacious villa is right on the beach, with great views, a large pool, and an on-site staff. Has specials. Penthouse suite with covered dining and outdoor living, three spacious bedrooms, and chic decor. 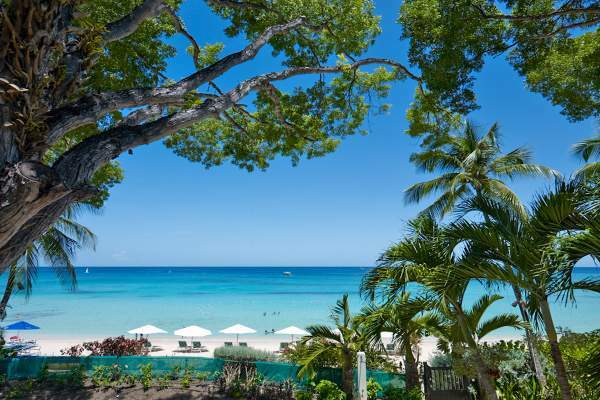 Charming private villa enjoys an excellent location on the beach and is close to the popular Royal Westmoreland and Sandy Lane Hotels. Has specials. 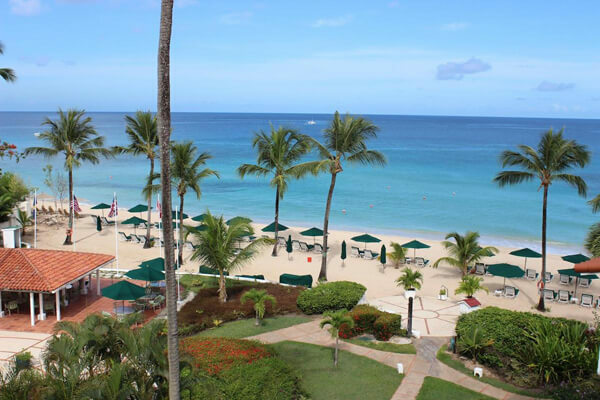 On the beachfront, with an on-site gym and within an easy walk of restaurants and shopping 1 & 2 BR rates available. 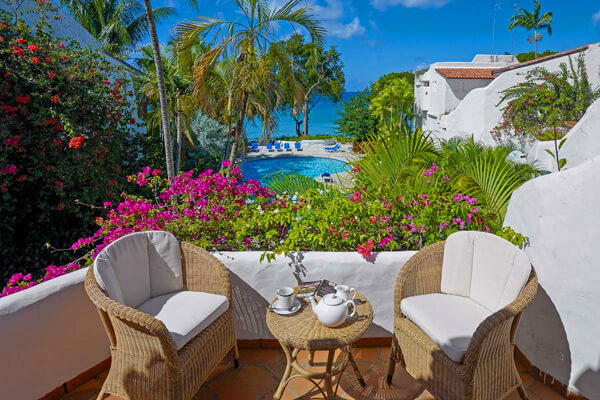 Tropical, expansive villa with three independent bedrooms and beautiful sea views. 1 & 2 BR rates available. 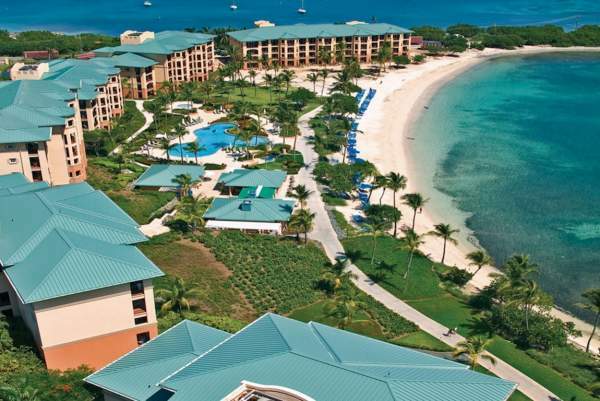 Enjoy sea views and luxurious accommodations amidst a five-star private island resort. Has specials. 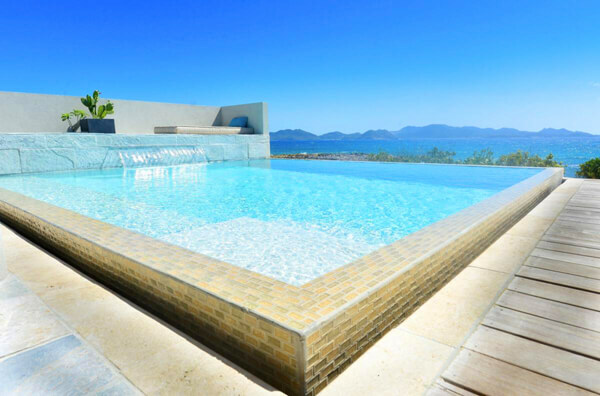 Luxury resort villa that puts a private beach, spa, and water sports at your disposal. Has specials. 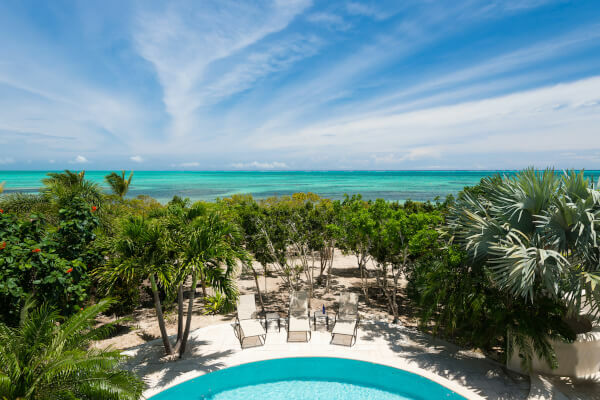 Gorgeous three-bedroom villa offers outstanding views, exceptional service, and privacy in COMO Parrot Cay private island resort. Has specials. If you want to be a short walk from the beach, tennis courts, golf courses, and restaurants, you'll love this villa. 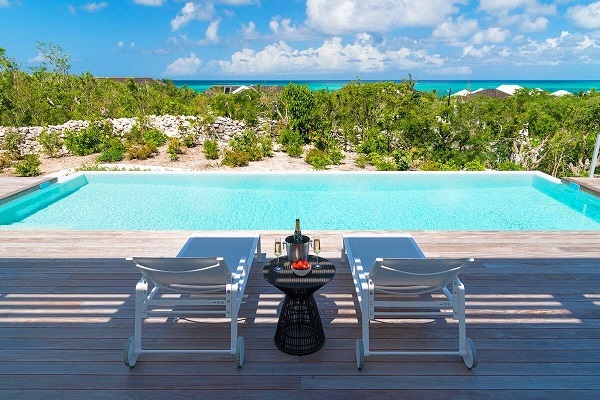 Private garden on the roof offers one of the best views on the island. 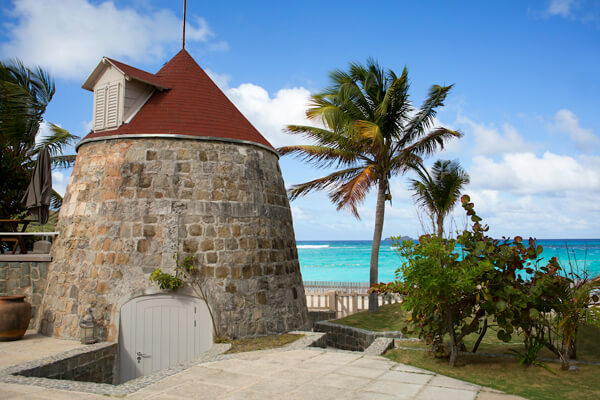 Le Moulin's signature windmill beckons you to relax in paradise. 1 & 2 BR rates available. 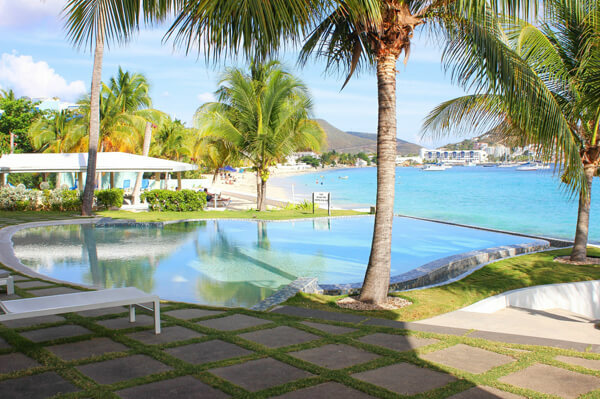 Close to the Atlantis Resort and Cupecoy Beach, this villa offers entertainment for every guest. 2 BR rate available. A Refreshing Getaway: One Place, Reverie Villa 2 BR rate available. 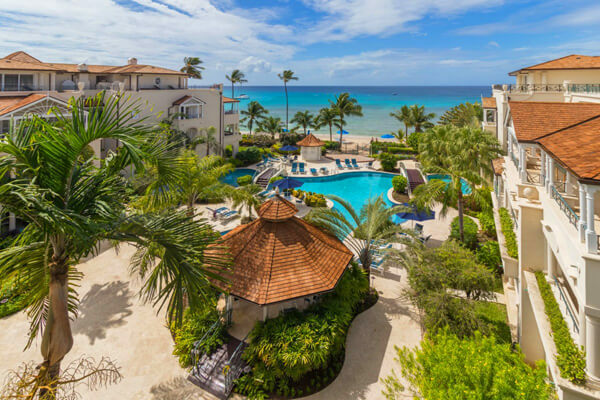 A tropical beachfront haven with endless amenities and a Cayman Kai location. With a 2,500 ft. deck and 1350 sq. 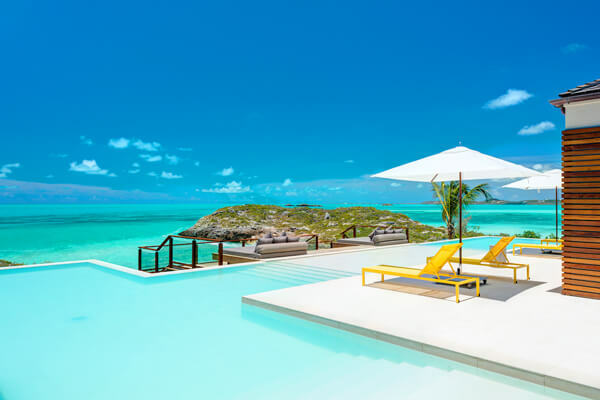 ft. infinity pool, you'll have all the space you need to unwind. Has specials. 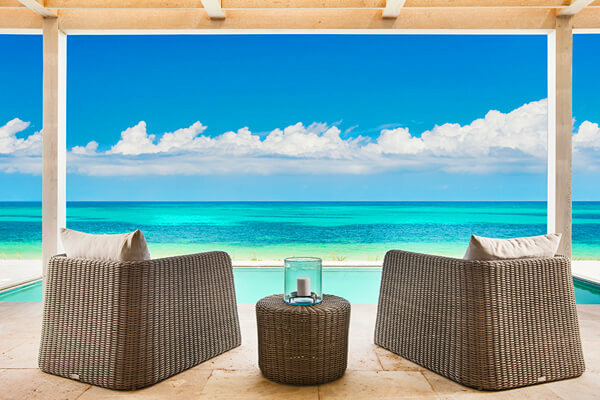 Three-bedroom beachfront villa on Turks and Caicos, with beachside luxury and relaxation. Has specials. 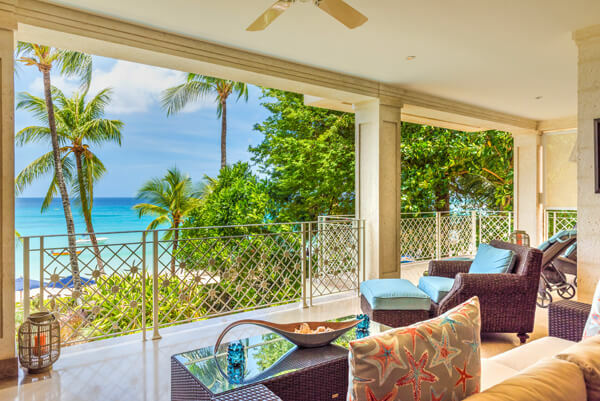 Open floor plan and high ceilings trap the cool sea breezes all day long in this dreamy Barbados vacation spot Has specials. 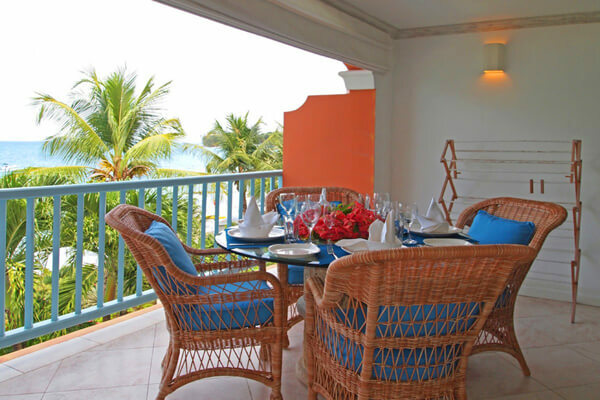 A modern apartment ideal for 2 couples, sitting at the heart of Paynes Bay 2 BR rate available. 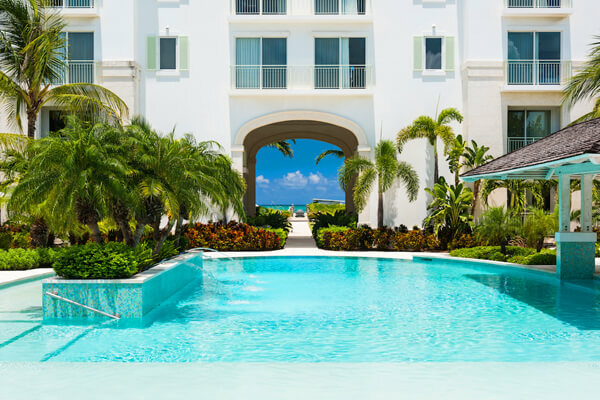 Two couples or a family will enjoy the penthouse views and modern amenities of Coral Cove #15 Has specials. Open, inviting villa steps from Gibbs Bay. Sunshine and sea breezes are plentiful at Sandy Hook 21; elevator access to all floors 2 BR rate available. 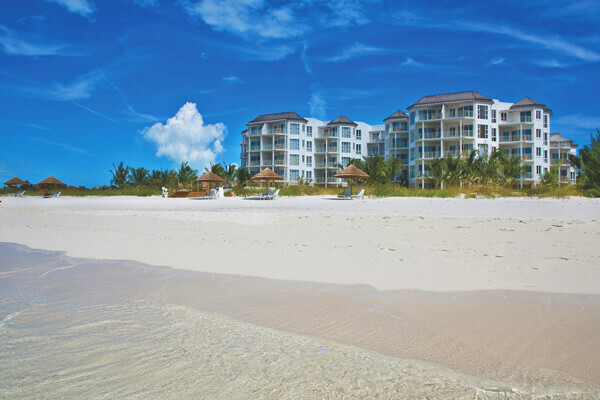 Perfect for family beach getaways right on Grace Bay. Fantastic snorkeling right off the beach. 2 BR rate available. 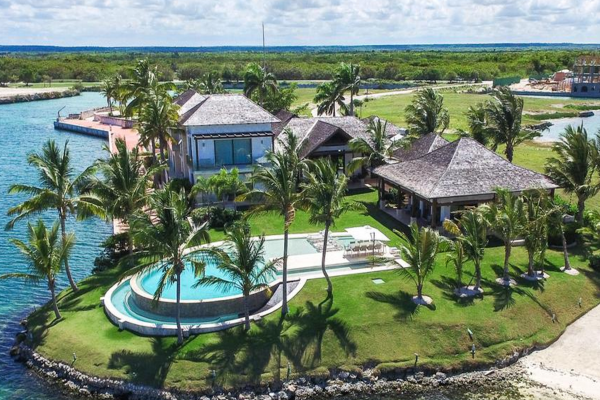 This beachfront, amenity-packed home is the quintessential family vacation villa. 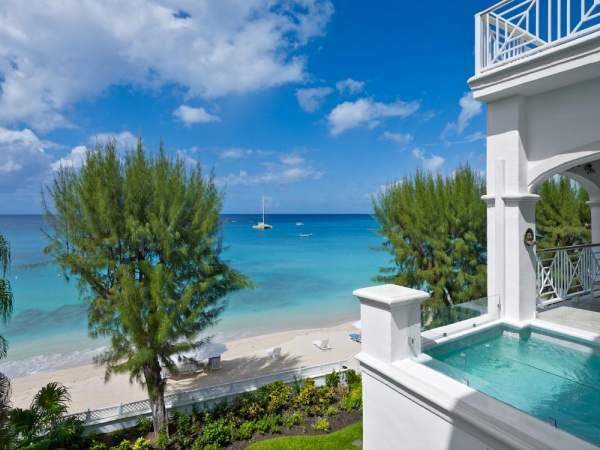 Step right off the terrace and onto Mullins Beach, or take advantage of nearby golf and tennis. Has specials. Stunning water views, a path right to the beach, and this 3-story townhouse is an ideal choice for couples or families. 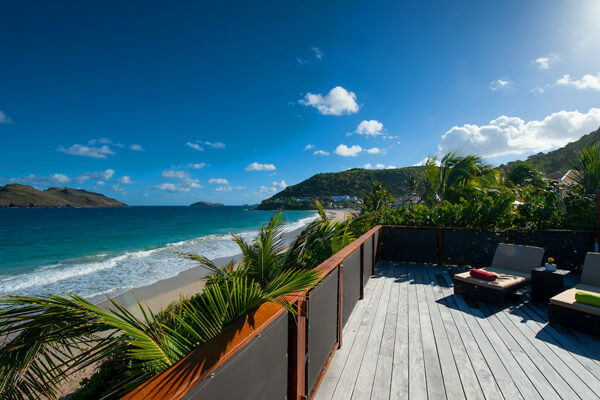 Watch the sunset and listen to the crashing waves below the deck at this Mullins Beach villa. 2 BR rate available. One of six villas in the Merlin Bay community, the floor plan affords privacy and intimacy Has specials. 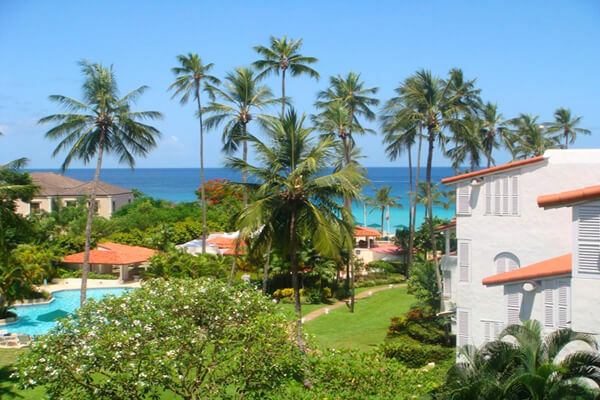 Sapphire Beach 505 is ideally situated on the vibrant south coast 2 BR rate available. 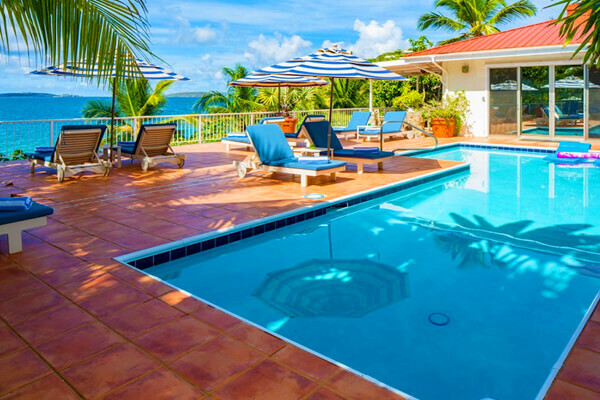 Vibrant villa in a well-kept community with a shared pool, beach access, and an ideal location. Has specials. 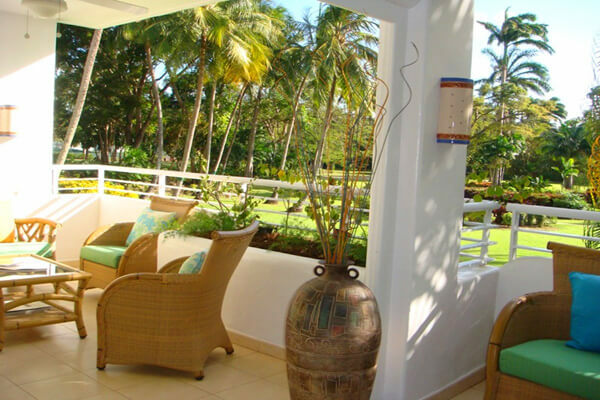 Ocean View has a sunken living room that invites intimate gatherings, and a garden that would inspire Hemingway Has specials. 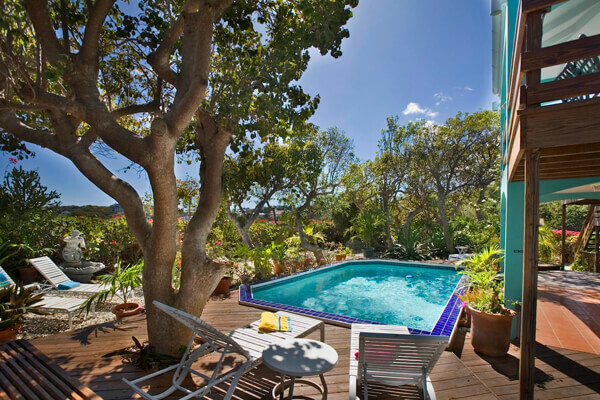 It won't be a secret any longer once you stay here; Secret Garden at Merlin Bay is simply amazing. Has specials. 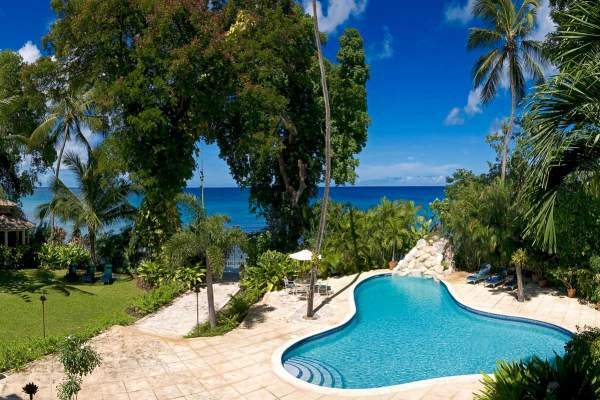 Lovely beachfront villa with fitness facilities near Speightstown 1 & 2 BR rates available. 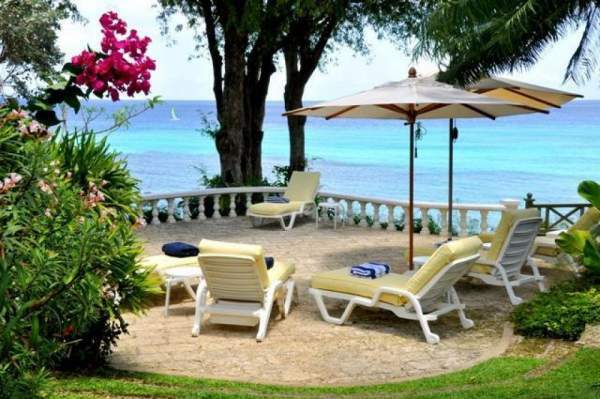 Traditional Barbados villa with direct access to the famous Gibbes Beach. Villas in the heart of Holetown, St. James, close to town and attractions, with on-site fitness equipment 1 & 2 BR rates available. 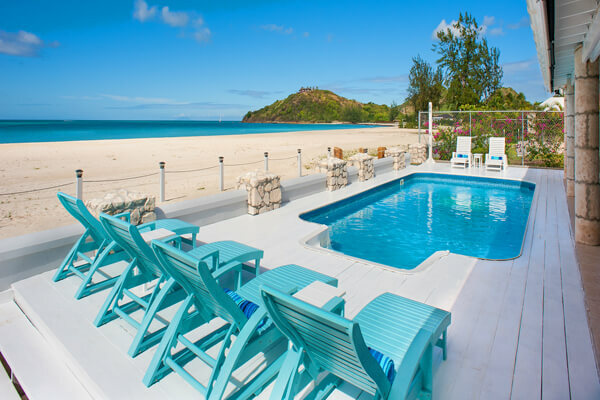 Classic yet chic beachfront villa on Gibbes Bay. Has specials. 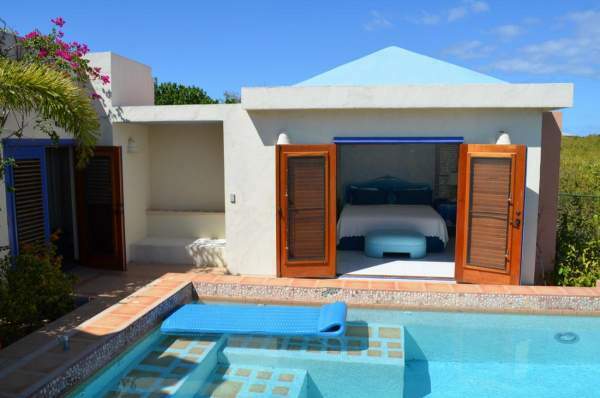 Handicap accessible villa with lovely views and thoughtful design. 2 BR rate available. Wake up to waves crashing against the shore, and no car is needed to explore the area's many attractions 1 & 2 BR rates available. 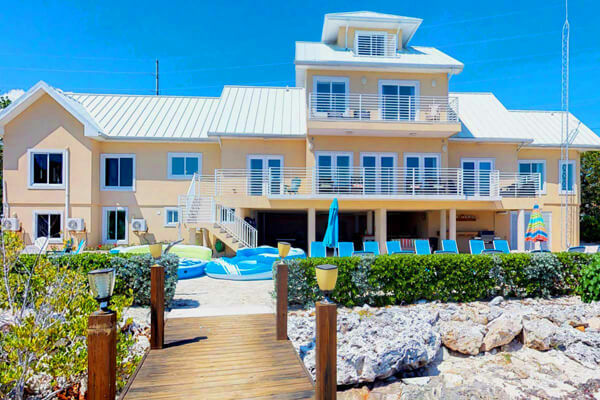 Kayaks, a private beach, and a rooftop deck complete this villa and guest cottage. 1 & 2 BR rates available. Newly Refurbished Reeds House Penthouse #14 offers luxury and gorgeous views 2 BR rate available. A spiral staircase leads to the master bedroom in this villa where views from a private patio are yours 2 BR rate available. 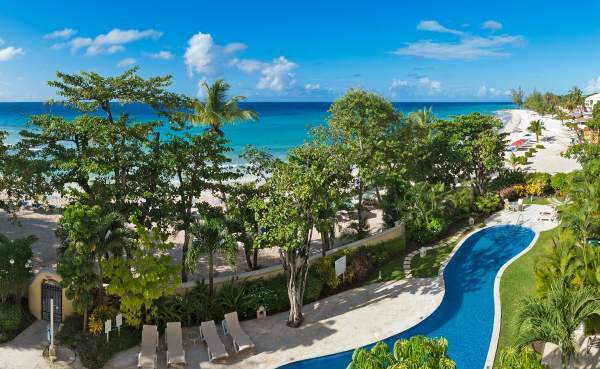 Small, quiet, luxurious resort with ocean views from every room and five-star amenities. 1 & 2 BR rates available. 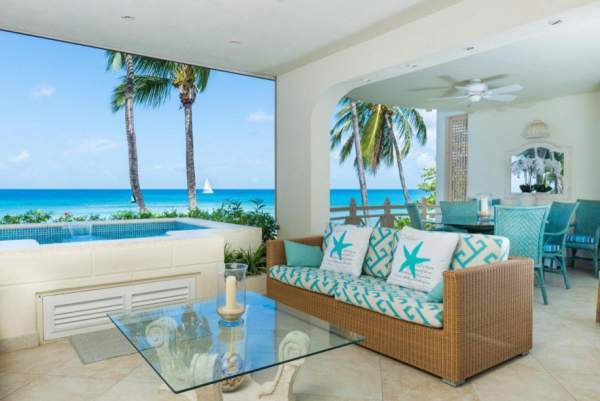 Crystal Dream Villa: a lovely 3 bedroom beachfront oasis sheltered in a cove on St. Jean Beach 1 & 2 BR rates available. 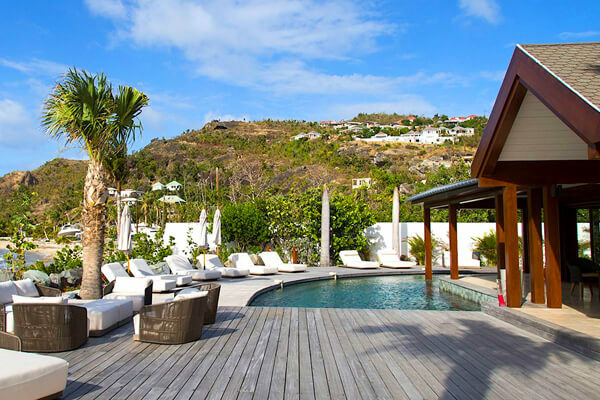 Great 3-bedroom villa on Flamands Beach in St. Barts boasts stunning views and a convenient location 2 BR rate available. 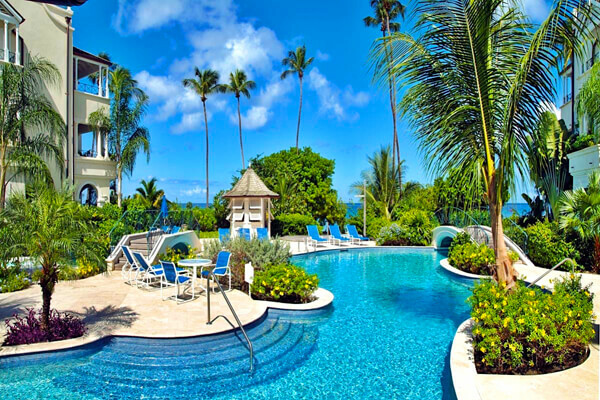 Each villa has a balcony overlooking Grace Bay at this luxury resort complex. 1 & 2 BR rates available. 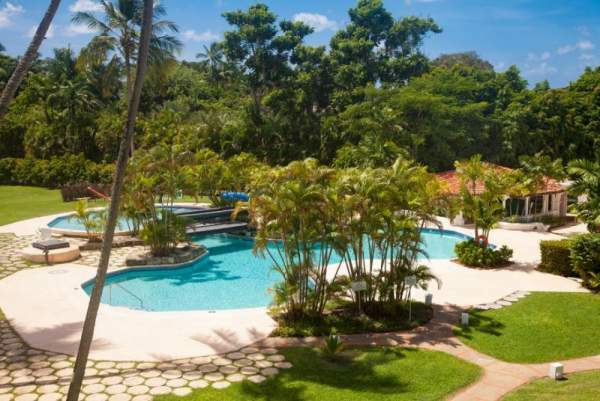 Spacious, multi-level apartment comes with a pool, tennis courts, gym, and easy access to the beach 1 & 2 BR rates available. 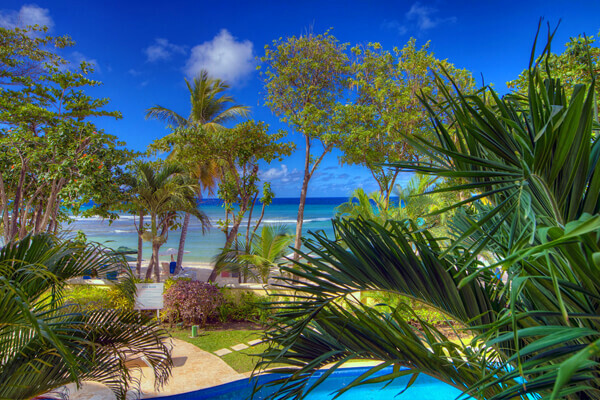 3-bedroom apartment on the beautiful West Coast of Barbados is perfect for adults and children and is close to Holetown attractions 1 & 2 BR rates available. 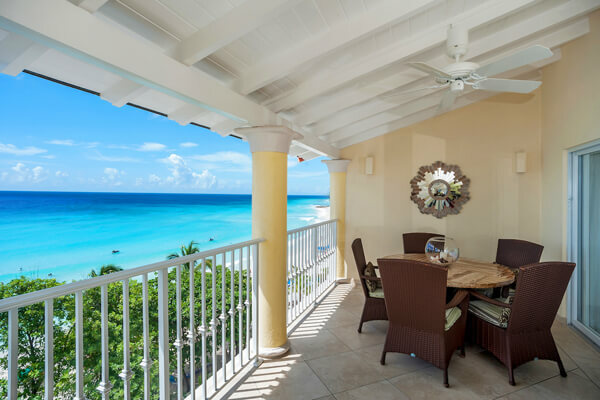 Stunning Dover Beach sea views and upscale accommodations in this beachfront three-bedroom suite Has specials. Three-bedroom Dover Beach condo with incredible views is just minutes from exclusive St. Lawrence Gap Has specials. 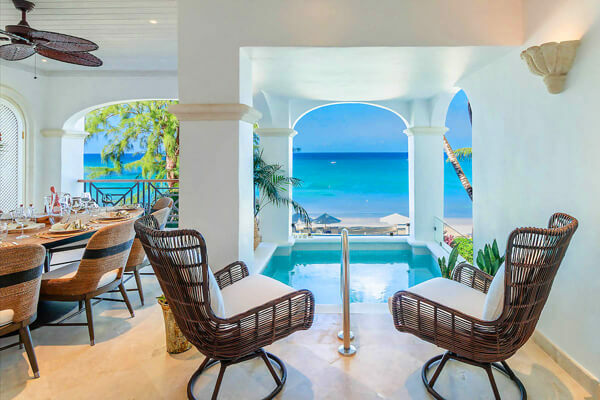 For luxurious views, accommodations, and privacy, this beachfront three-bedroom villa is a dream come true (literally!) 1 & 2 BR rates available. 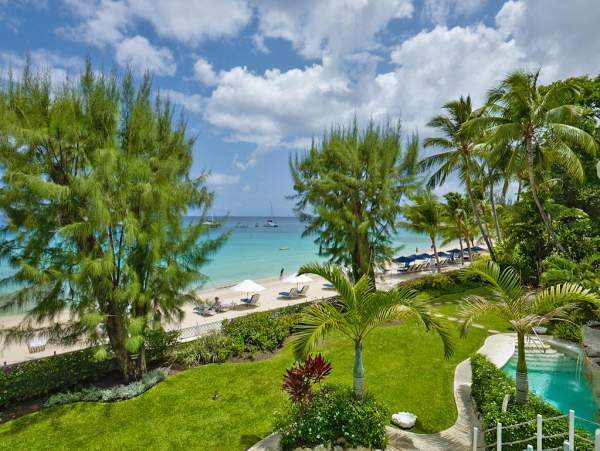 This beautiful, three-bedroom oceanfront apartment puts you at the edge of Dover Beach. Has specials. 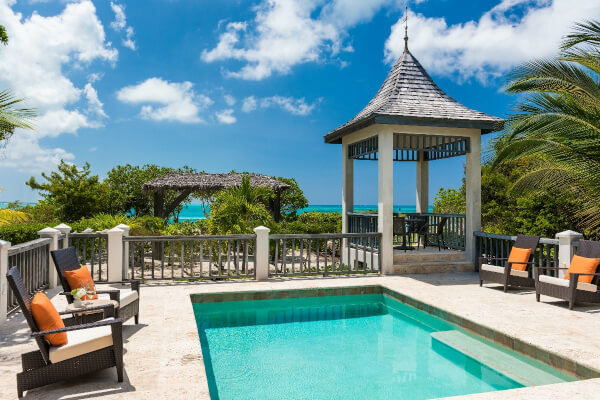 Stunning beachfront resort villa has spectacular views, access to Grace Bay Beach, and includes resort amenities of the West Bay Club. Has specials. Affordable, upscale, AND beachfront! 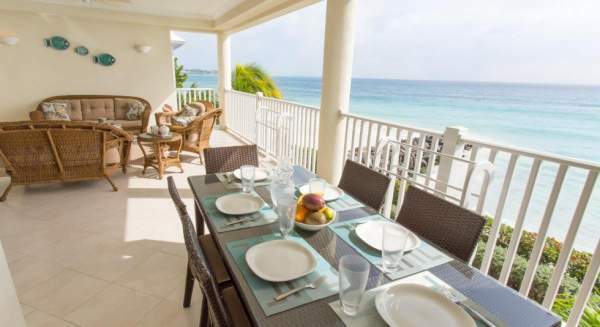 This great 3-bedroom apartment is right on Dover Beach and near St. Lawrence Gap Has specials. Stunning ocean views, beach access, and tons of amenities await you at this comfortable 3-bedroom condo. Has specials. Resort living right on the beach! 3-bedroom apartment looks out to the ocean and is conveniently located near St. Lawrence Gap 2 BR rate available. 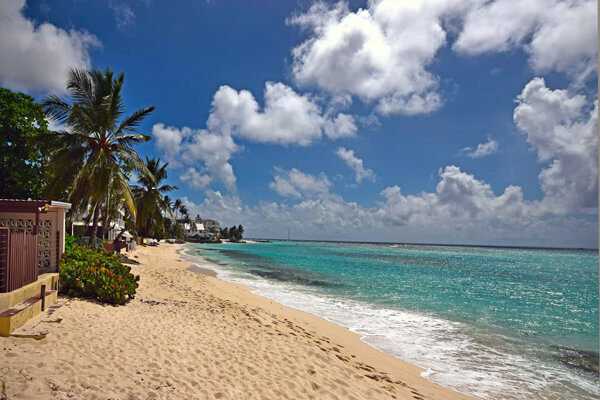 Enjoy a stunning view of Dover Beach while basking in the luxury of Barbados Has specials. 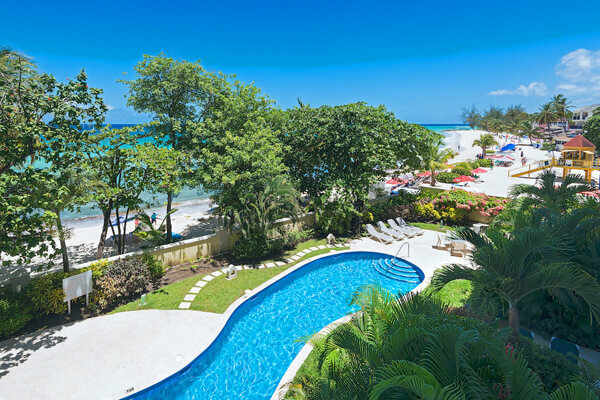 Rethink your priorities with the Dover Beach breeze rushing over you at this Sapphire Beach rental Has specials. 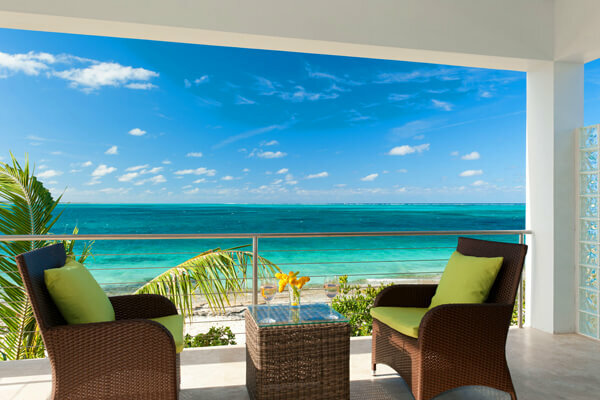 Indulgent beach living offers ocean view from penthouse porch in a gated community 1 & 2 BR rates available. Resort pool, ocean front property and boardwalk nearby Has specials. 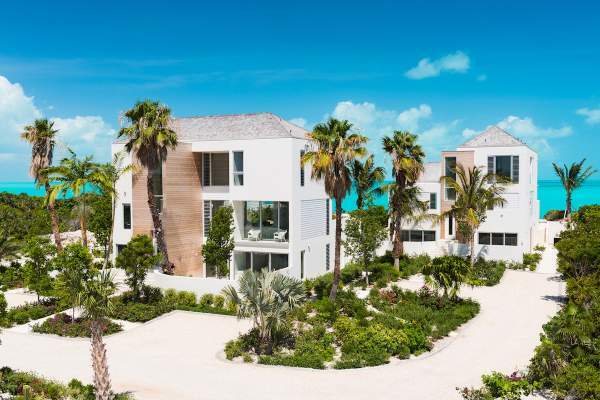 Located directly on Paynes Beach, with an open-concept floor plan and sleek, modern design. 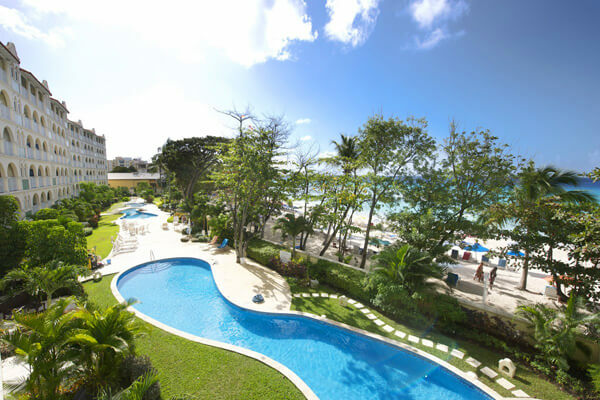 Stunning ocean view from private terrace, and walking distance to fun Has specials. 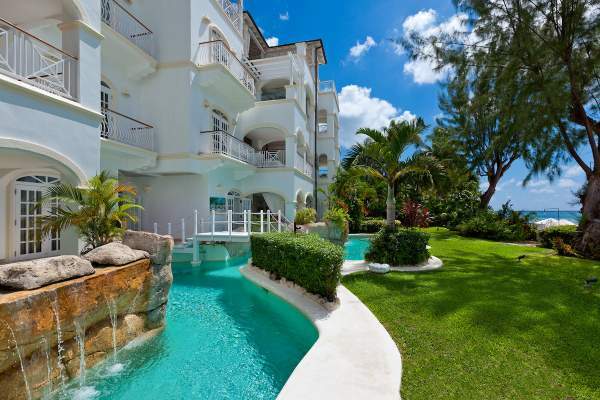 Spacious three bedroom with ocean view and fabulous property amenities 1 & 2 BR rates available. 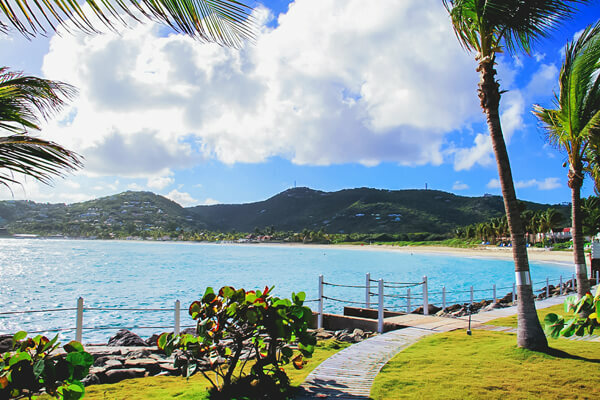 Off the beaten path, this is a true Caribbean beachside gem. 1 & 2 BR rates available. 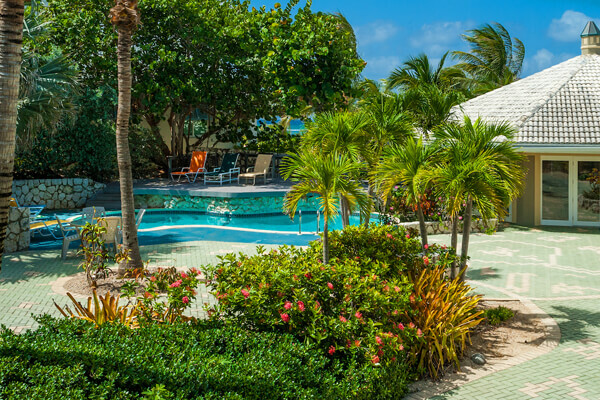 Right on the water with beachside accommodations, this Coral Cove unit is the perfect fit for any group up to 6 Has specials. 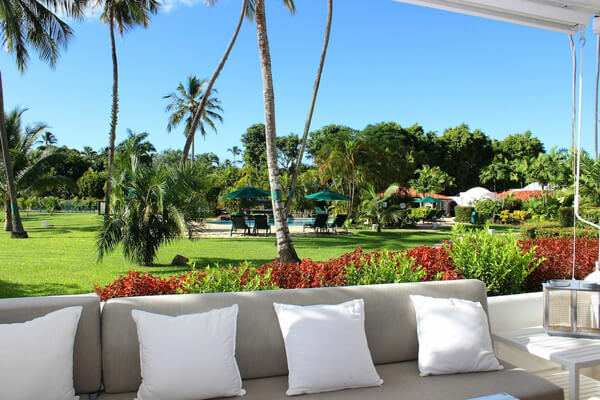 A relaxing beachfront villa on Cupecoy with a fantastic beach life and a number of activities from which to choose 2 BR rate available. 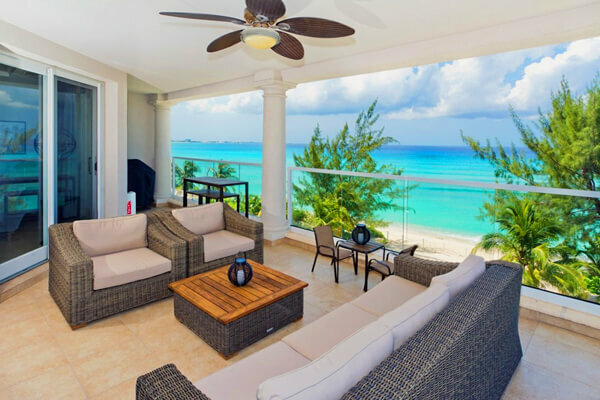 Spacious penthouse suite on Dover Beach with nautical decor and gorgeous ocean views. Has specials. 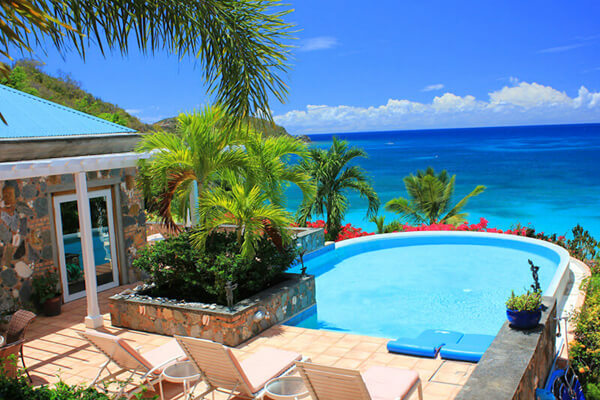 A warm, three-bedroom beachfront villa located on the edge of St. Lawrence Gap. 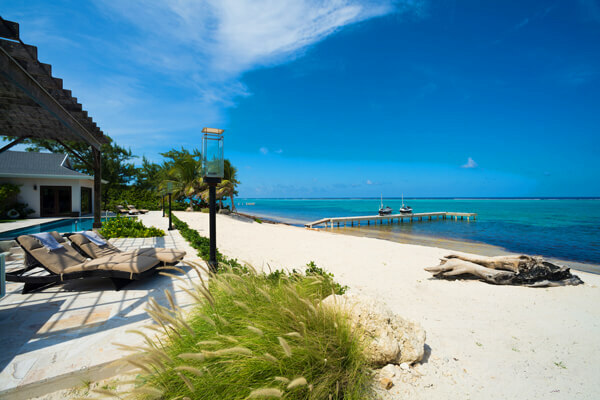 Exceptional island getaway totally secluded from the rest of the island, located in private Cayman Kai. Has specials. 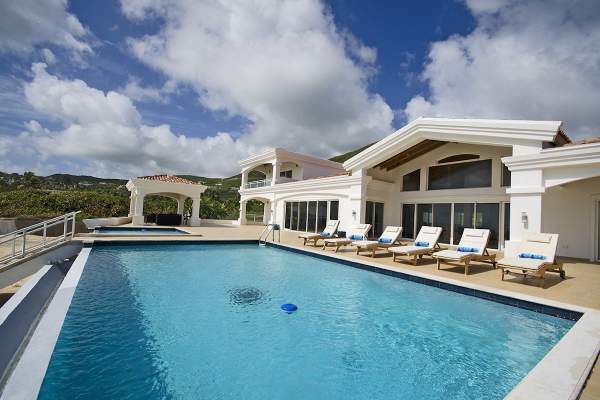 Traditional Caribbean villa with full air-conditioning and a home theater. Has specials. 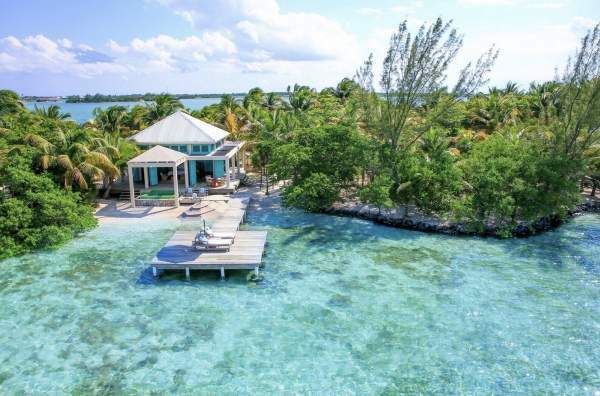 Waterfront villa with private access to a reef-protected bay, maximum privacy, and a screened porch. Has specials. 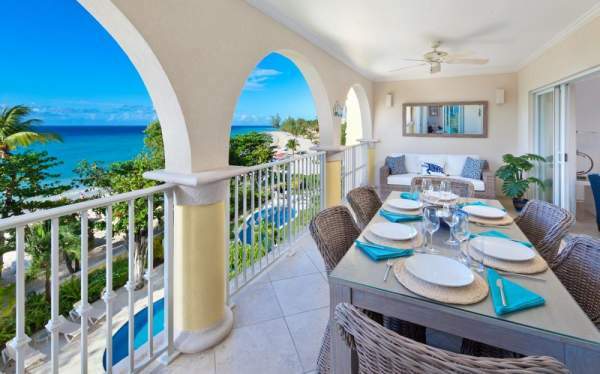 An affordable St. James beachfront villa. 2 BR rate available. 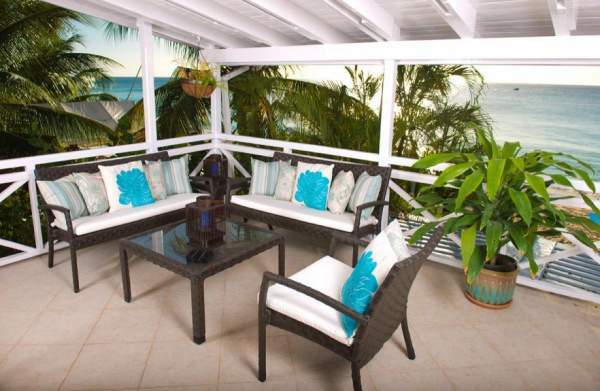 Beachfront villa on Gibbes Beach with ample outdoor dining and an outdoor shower. Lorient Beach villa with identical bedrooms and walking distance to town, the beach, and dining. 1 BR rate available. 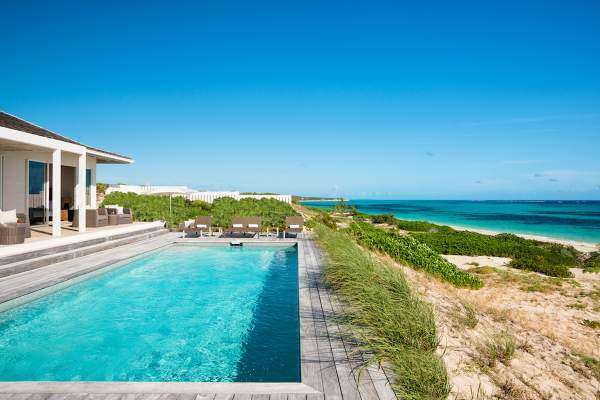 Understated luxury and ultimate privacy right on the beach. Has specials. Personalized amenities in a clean-lined, simply luxurious retreat. Has specials. 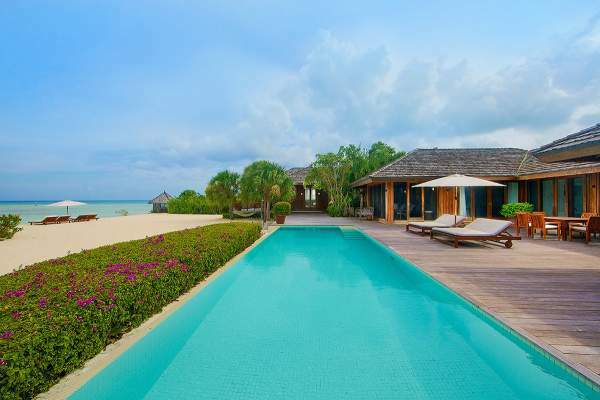 Luxurious beachfront villa with equal bedrooms and a huge pool. 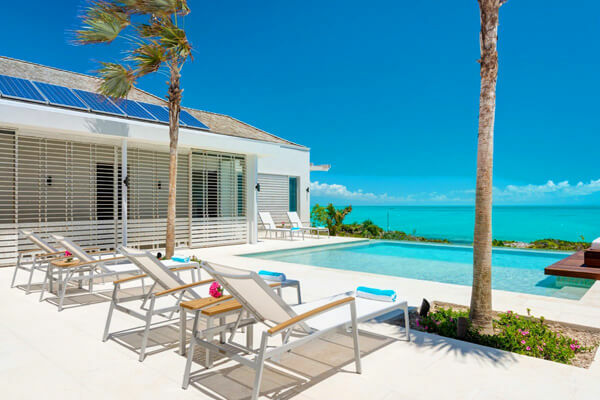 South Caicos resort villa with two equal bedrooms. Has specials. 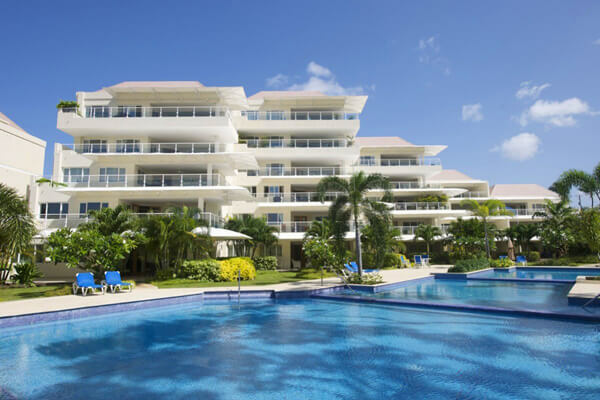 Residential beachfront condominium on the Platinum Coast. 1 BR rate available. Split-level beachfront property with resort amenities. Has specials. 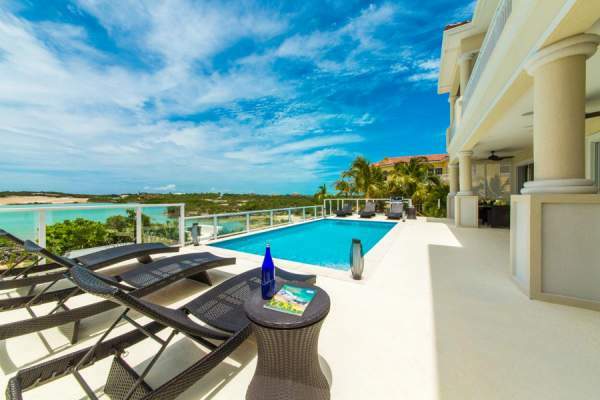 Grace Bay home with easy access to Provo's best activities. Beachfront beauty with warm, open design and ocean views. 1 BR rate available. 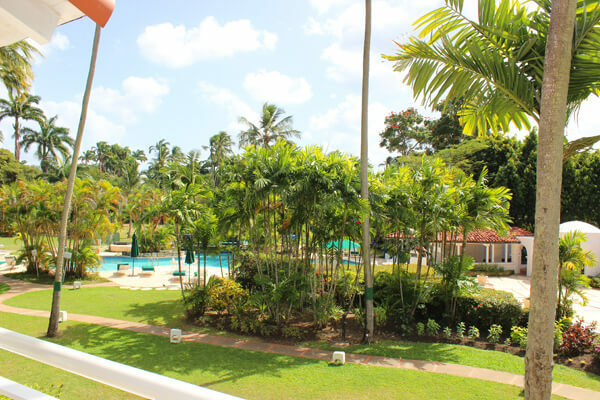 Secluded apartment with private beach is spacious and ideally located near restaurants Has specials. 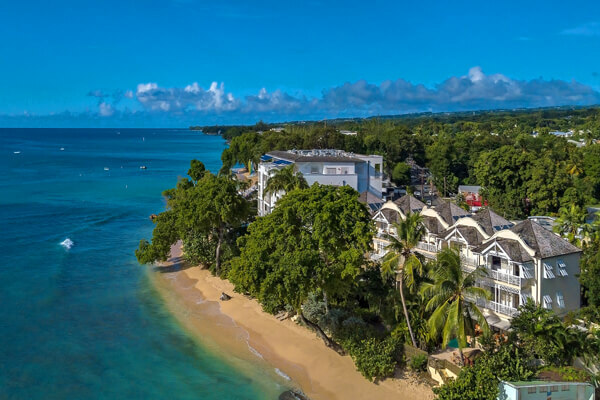 Great, big sea views and close to the action in Speightstown in this 2 bedroom apartment 1 BR rate available. Amazing views in a picturesque and relaxed setting Has specials. 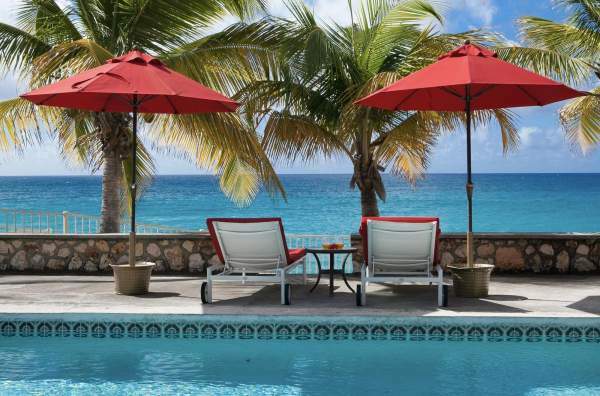 Impeccable and secluded villa in the exclusive Baie Rouge area has incredible sea views and tons of perks. 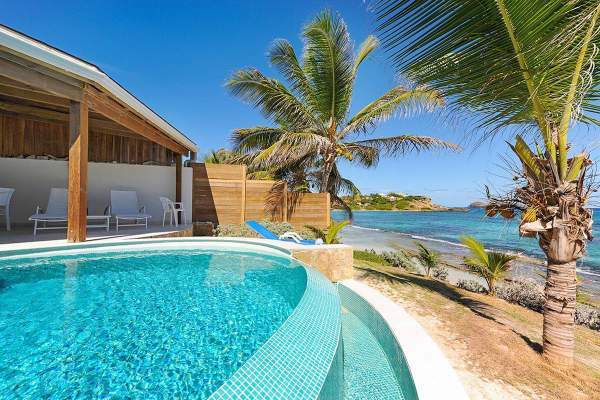 A wonderful villa located directly on the Anse des Cayas beachfront that makes you feel right at home 1 BR rate available. 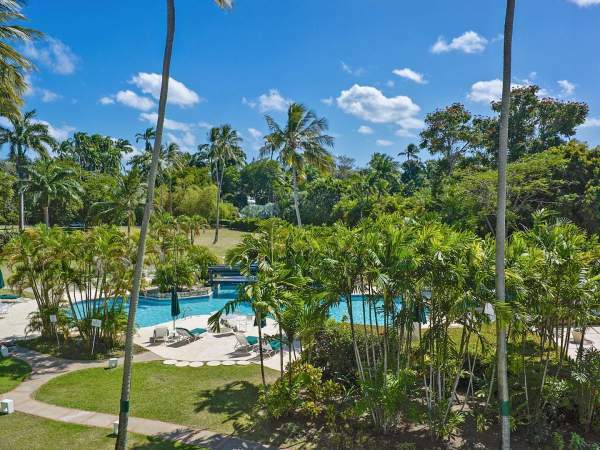 Spacious two-bedroom condo on Alleynes Bay with spectacular ocean views and beach access 1 BR rate available. 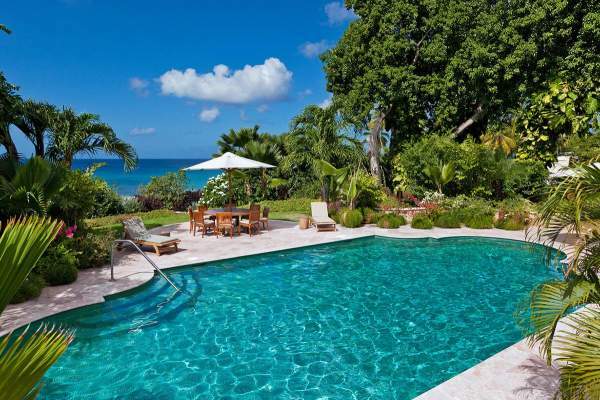 Elegant, secluded villa with a beachfront location and lush tropical gardens. Has specials. 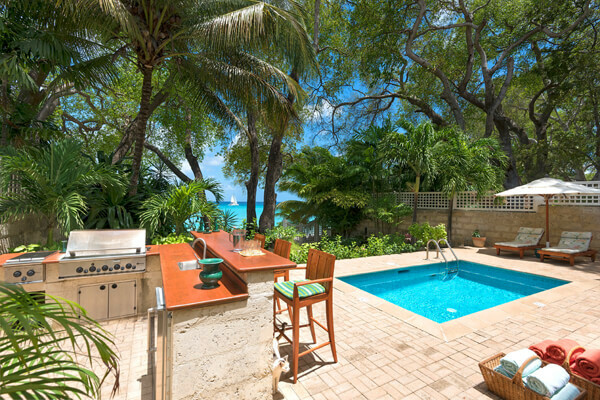 Comfortable, family-friendly villa right on Mullins Beach. 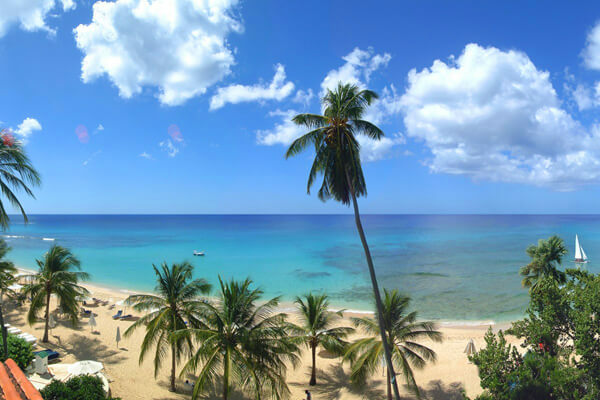 Spacious apartment comes with tons of amenities and is close to all the action in Holetown 1 BR rate available. 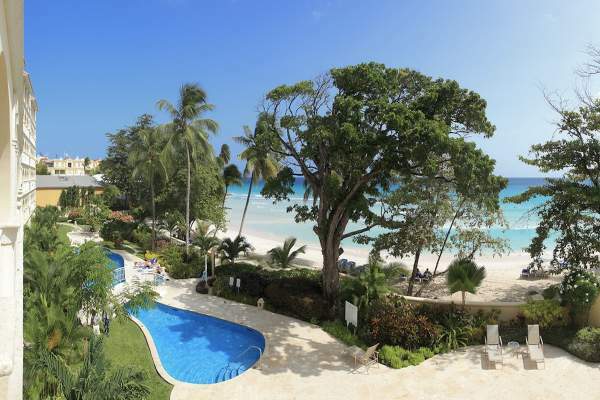 Very private beachfront condo with lush garden, pool, and modern amenities 1 BR rate available. 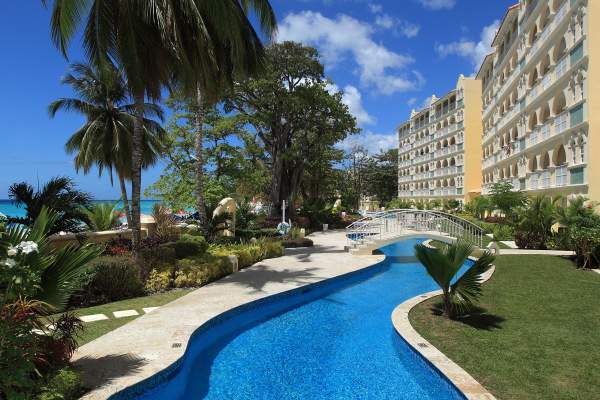 Beachfront condo with great water and garden views and private pool is ideal for couples Has specials. 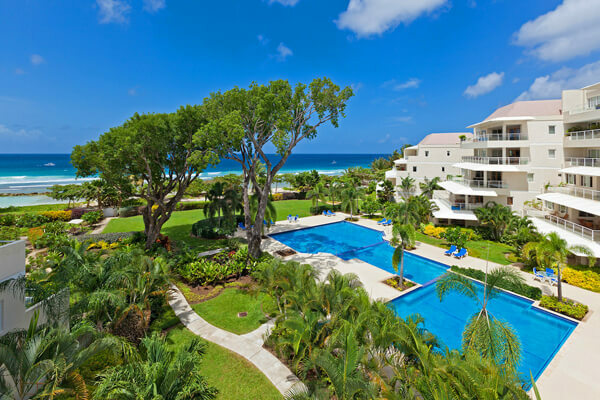 Beautiful 2-bedroom condo in Barbados is just steps from the beach and offers panoramic ocean views from the terrace 1 BR rate available. Serene yet packed with tons of sporting options, Serenity condominium is close to the action Has specials. High up on the 4th floor, Suite #412 offers an elevator, all the creature comforts you expect and great views 1 BR rate available. 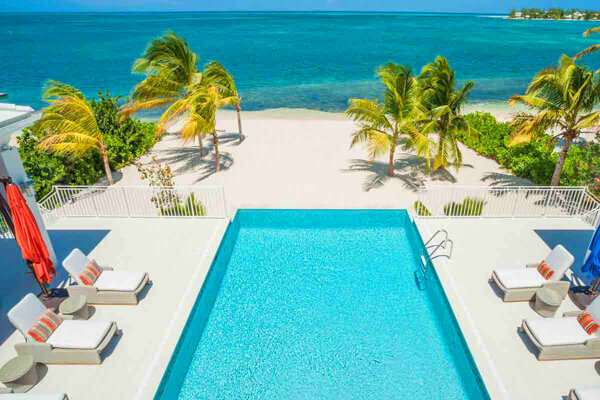 Ground floor apartment in luxury complex in the heart of Holetown has direct beach access 1 BR rate available. 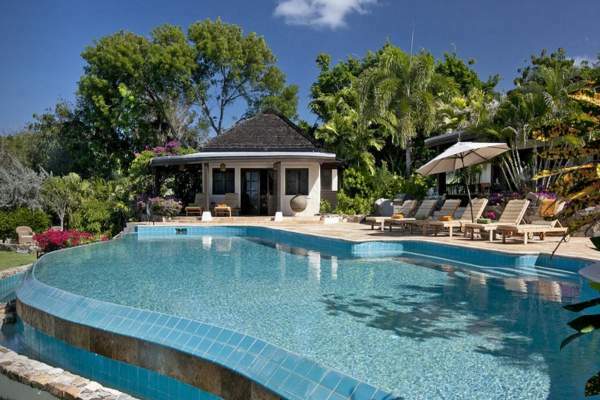 This spacious villa offers a serene tropical atmosphere close to Holetown and the beach. 1 BR rate available. Newly remodeled two-bedroom apartment comes with lots of amenities and direct access to the beach and pool 1 BR rate available. 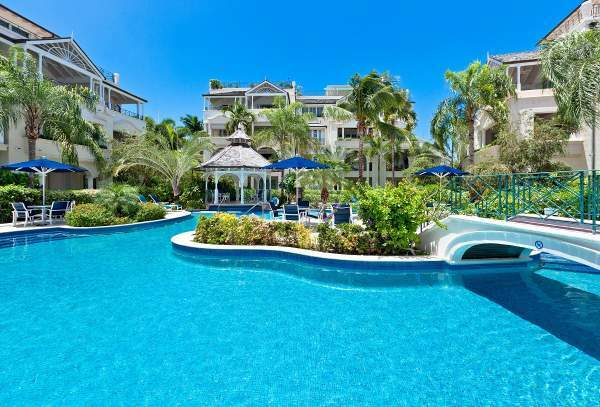 Two bedroom condo right on the edge of the Caribbean Sea, this non-smoking villa is ideal for two couples 1 BR rate available. 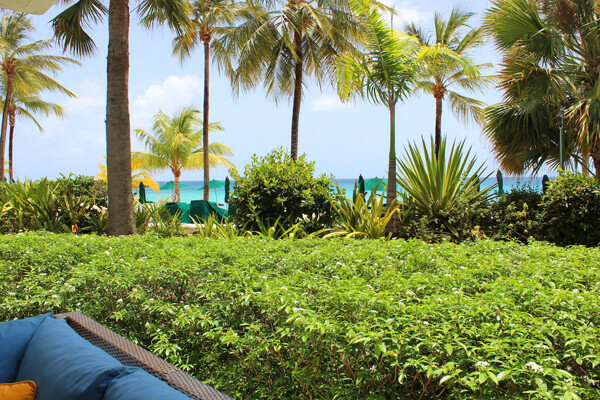 Enjoy amazing beach views and al fresco dining with help from a first-class wait staff. Stylish and comfortable, you'll find complete relaxation here on Barbados' platinum west coast 1 BR rate available. 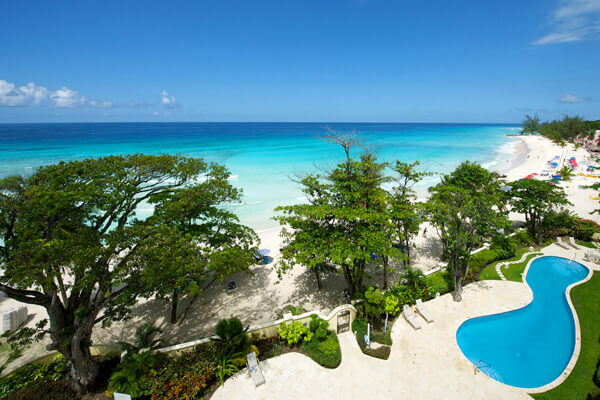 Newly refurbished condo on Barbados' West Coast with amazing beach, large pool, restaurant and the best kids pool on the island 1 BR rate available. 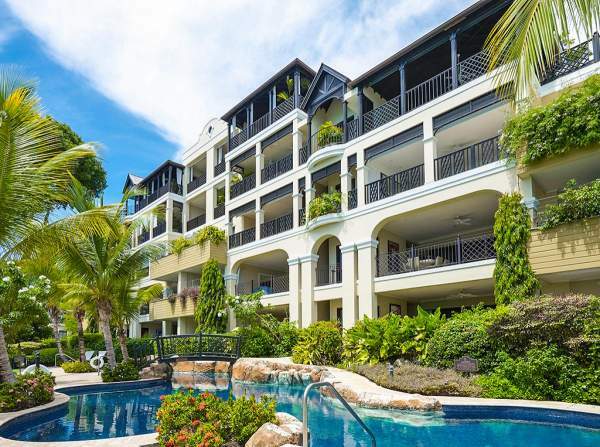 Unique apartment in the Schooner Bay complex with access to fitness equipment and close to Cobbler Cove Hotel 1 BR rate available. Two-bedroom condo with luxury furnishings, huge communal pool, and quick access to the beach 1 BR rate available. This cozy and comfy penthouse boasts spectacular ocean views and easy access to the beach, plus lots of amenities 1 BR rate available. Enjoy the views from the hammock at Raisiners Villa on Flamands Beach 1 BR rate available. 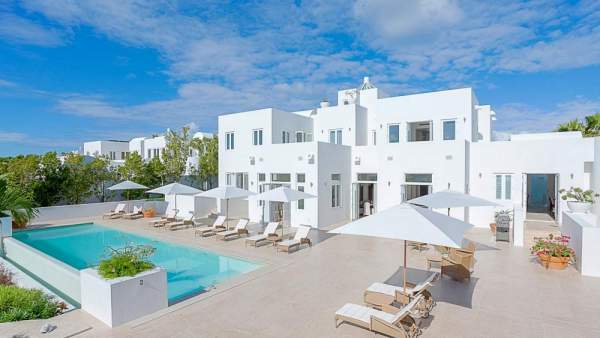 Flamands Beach villa with a wraparound terrace and all-white interior. 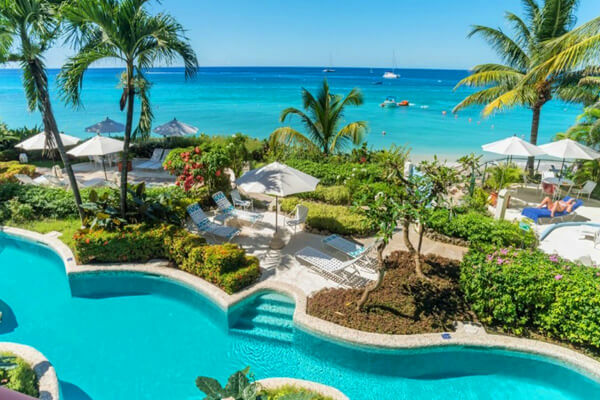 A gorgeous 2-bedroom resort villa on famous Grace Bay Beach - West Bay Club has a restaurant, beach bar and staff to attend to your vacation needs. Has specials. Airy 2-bedroom apartment, close to the beach and amenities, offers views, pool, privacy, and service 1 BR rate available. 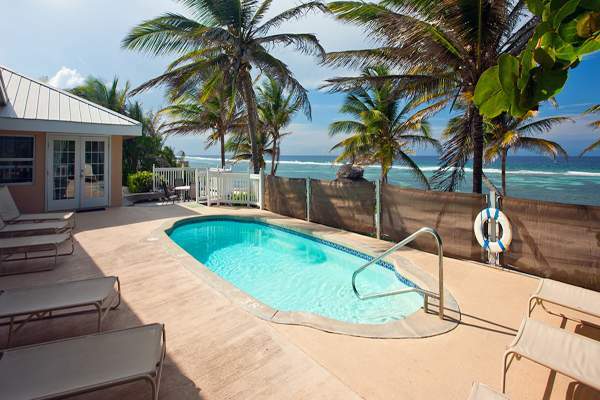 Open 2-bedroom villa boasts tons of privacy, access to Flamands Beach, and unforgettable ocean views 1 BR rate available. Privacy awaits your every move on vacation at Polaris Villa 1 BR rate available. 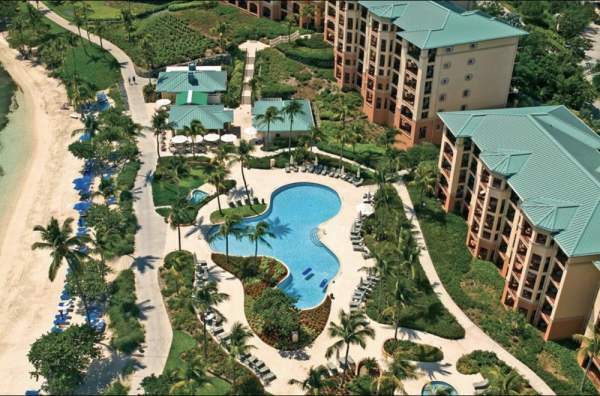 A Wyndham Resort stay with a beachfront location and tons of activity options! 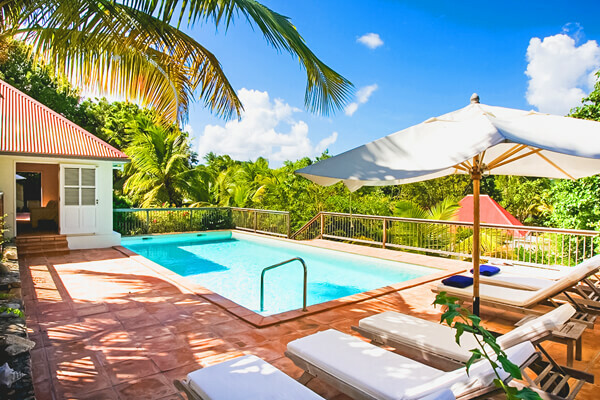 When privacy and luxury are your biggest holiday concerns, La Sirène Villa is the only way to go 1 BR rate available. 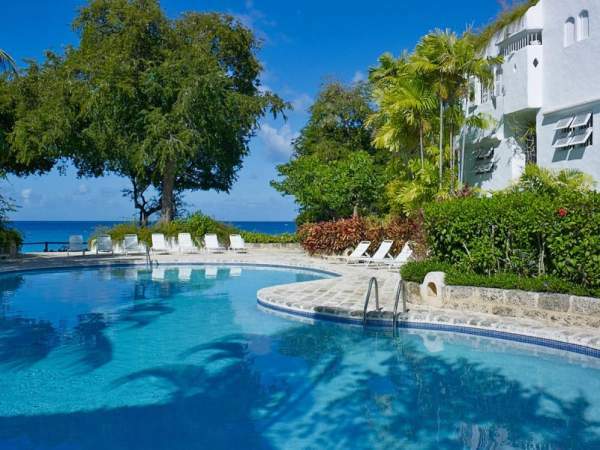 Luxury apartment on beautiful Simpson bay 1 BR rate available. 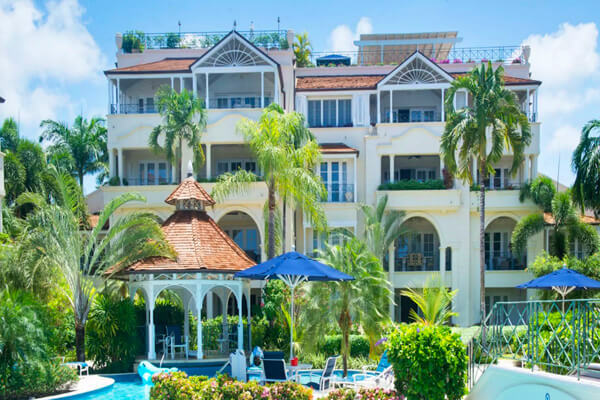 This Palm Beach stay offers guests spectacular elegance and ease for their Barbados vacation and comes with gym, pool, and beach access and nearby local hotspots! Has specials. Privacy and proximity to the beach, perfect for ocean-lovers and kids. 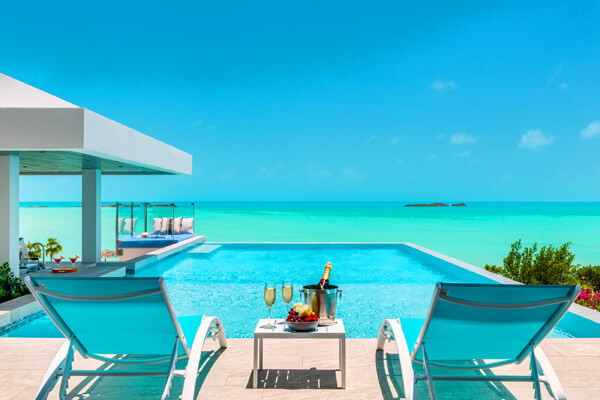 Modern oceanfront home with gorgeous swimming pool 1 BR rate available. 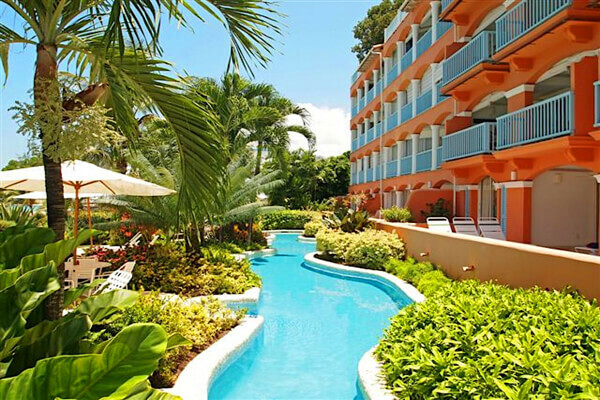 Rendezvous Villa: a condo-style vacation spot that makes time by the water a breeze 1 BR rate available. The best snorkeling spot on the island. 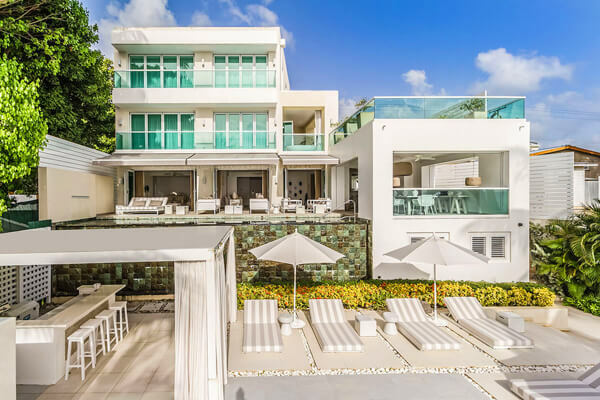 A modern stay in classic, Caribbean style. 1 BR rate available. 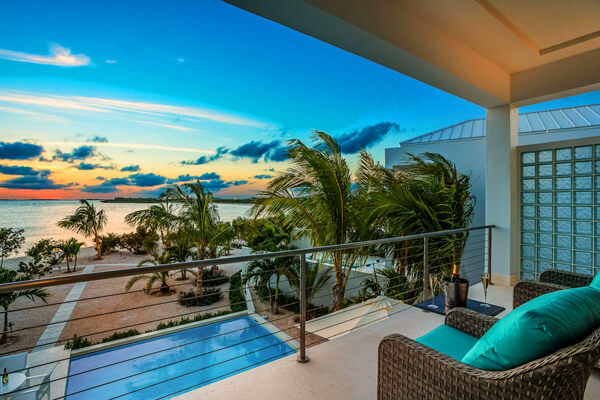 Grace Bay villa with amazing sunset views and easy access to snorkeling reefs. 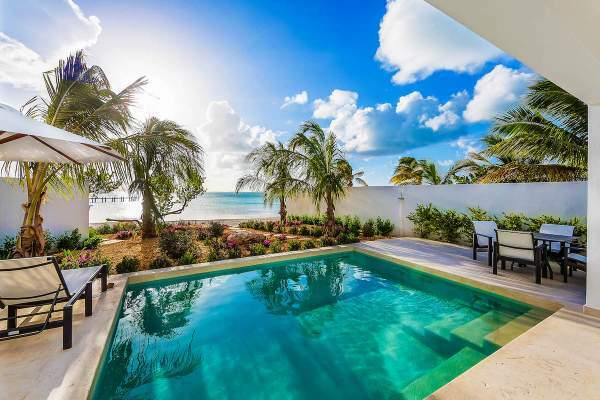 This two-bedroom beachfront island home offers a pool, wet bar, and water sports equipment. Open-air villa with two bedrooms and outdoor living. 1 BR rate available. 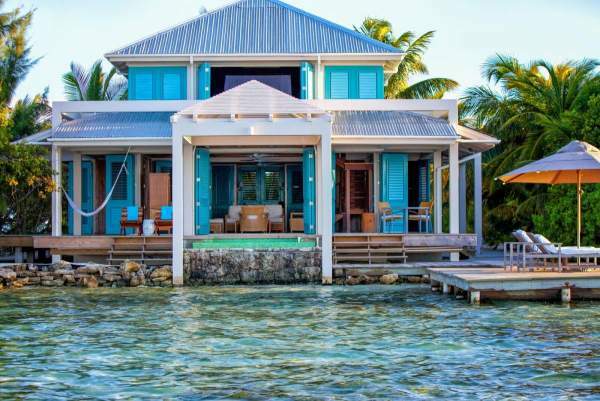 This over-water bungalow has a private chef, a boat dock, and two stories of open-air living. 1 BR rate available. 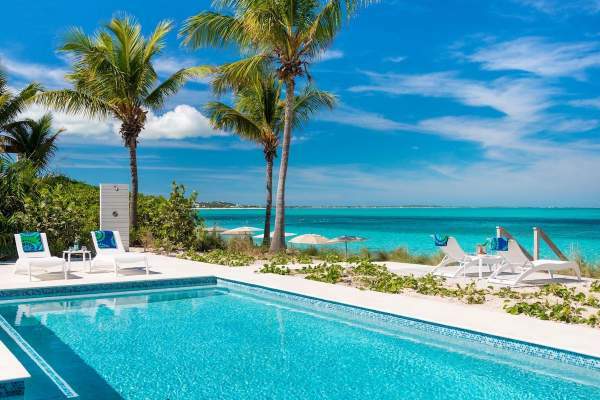 Open-plan luxury beach house with private pool and direct access to Grace Bay beach. 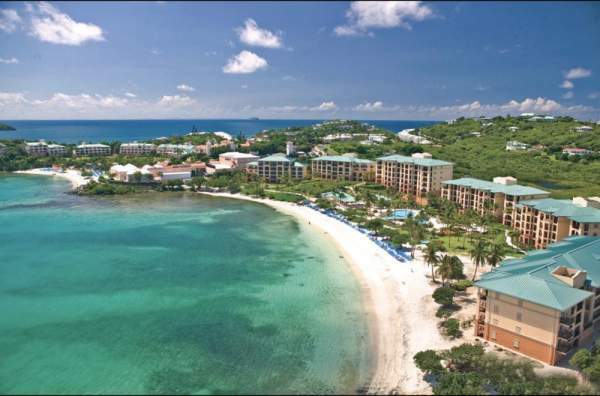 Intimate resort community with two-bedroom villas and a beautiful beachfront location. Has specials. Romantic getaway just a few steps from the beach and a short walk from pristine Chalk Sound. 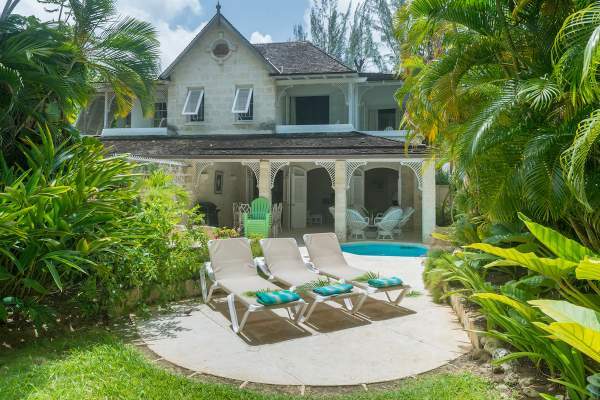 One of three honeymooner villas on the gentle and tranquil Sapodilla Bay. 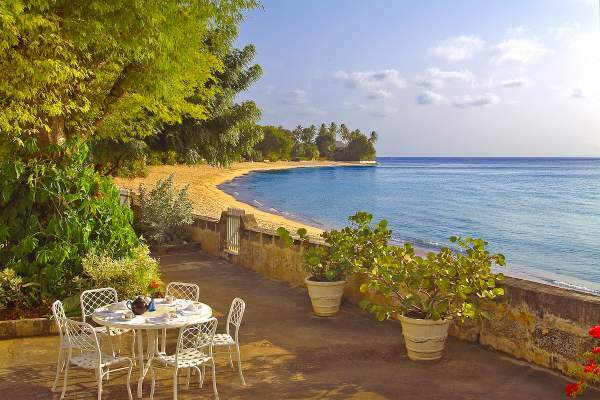 Walk from this romantic villa to the beach and dining on the beach. 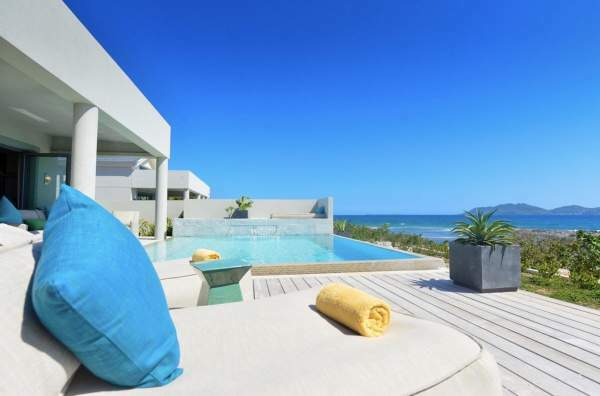 Simple yet luxurious villa in a trio of rentals on Taylor Bay Beach. 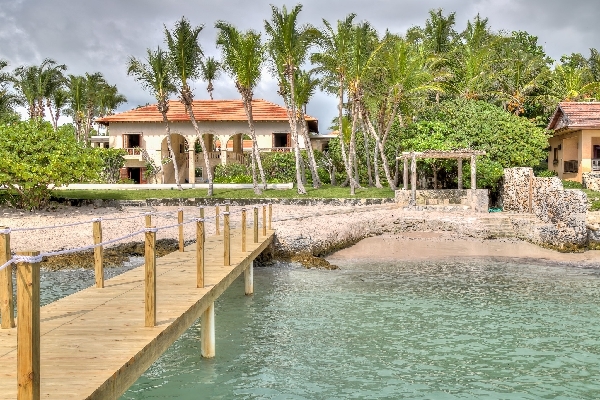 Romantic getaway right on the beach of Sapodilla Bay. 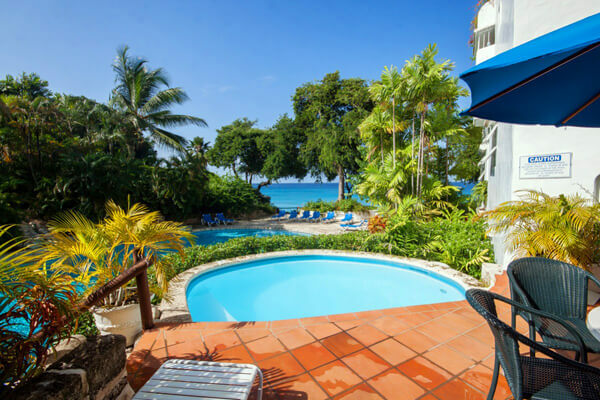 Tranquil one-bedroom villa with beach access and ocean views is perfect for romantic vacations Has specials. 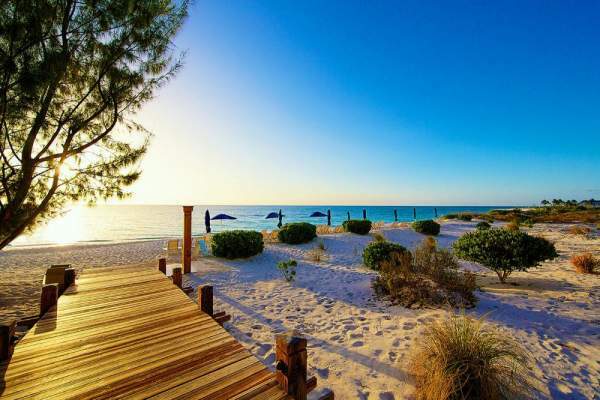 Spacious Schooner Bay apartment with beach access. 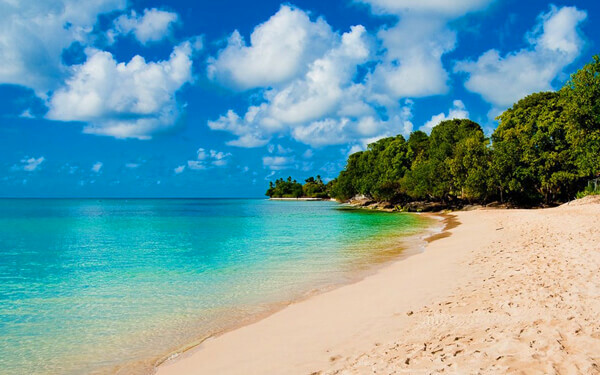 A very short walk to Speightstown restaurants and grocery stores. Has specials. Enjoy views, privacy, and your own cook at this intimate one-bedroom cottage. 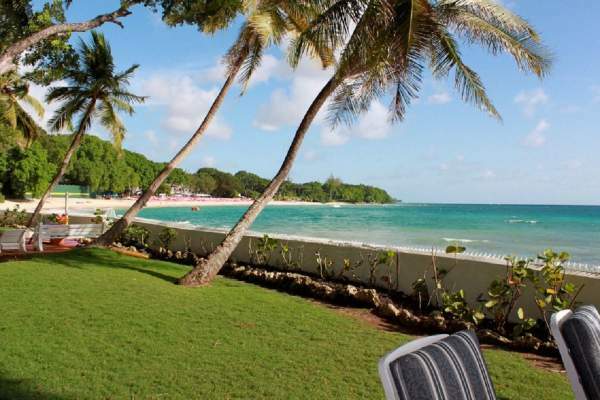 Cute, affordable apartment near Speightstown has beach access and a large pool Has specials. 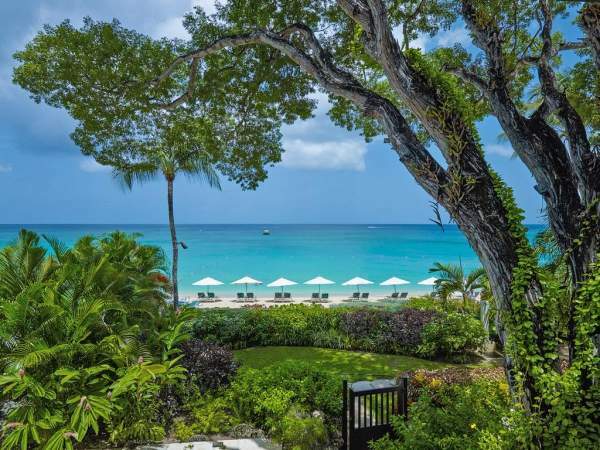 Airy North Shore romantic retreat on the far west end of Grace Bay beach. 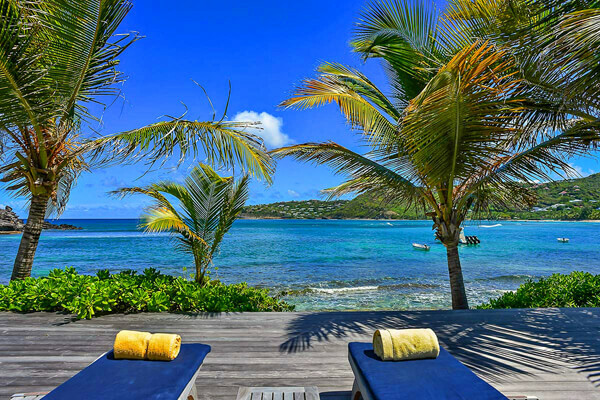 Restful and serene Caribbean beachfront retreat. 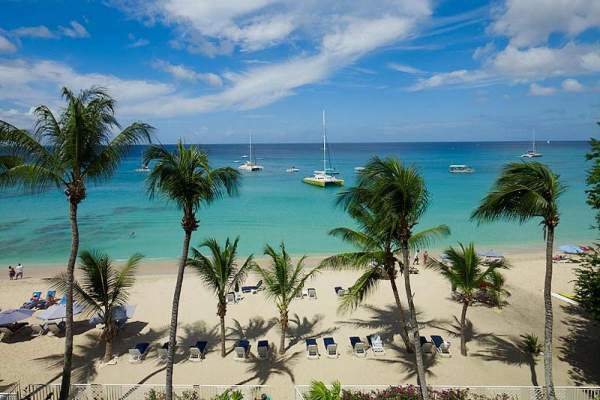 Nearby Cobblers Cove Hotel offers plenty of water sports and recreational activities Has specials. 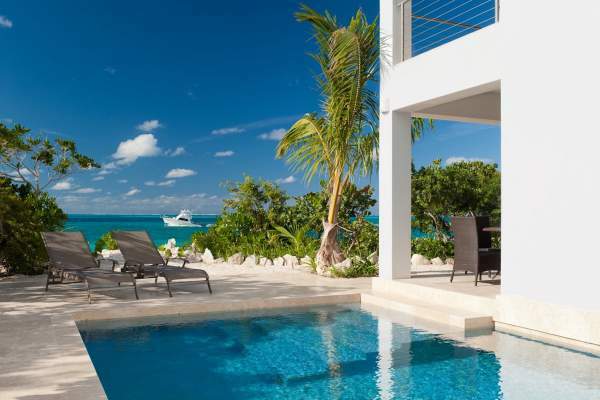 Modern luxury for two directly on the western end of Grace Bay Beach. 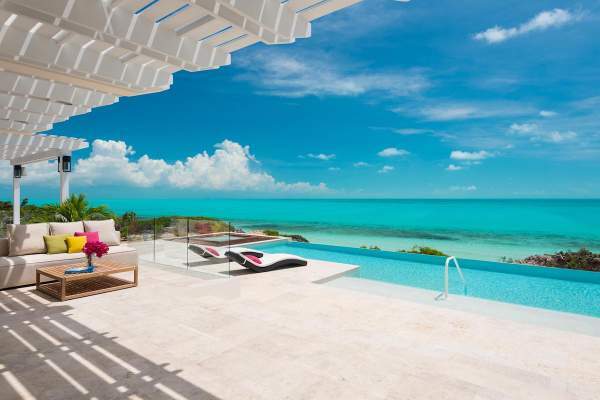 This upscale villa offers tons of privacy and immediate access to Grace Bay Beach. 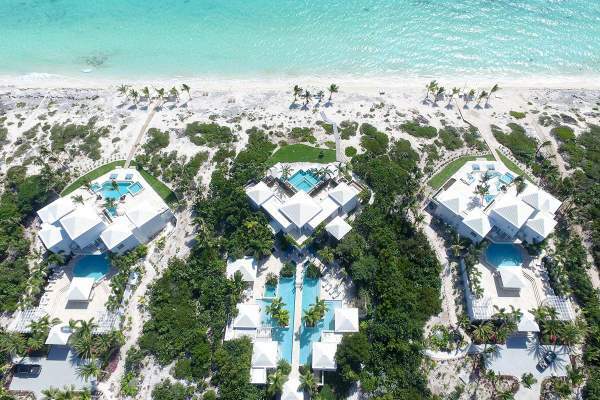 The perfect honeymoon getaway just steps from a white sand beach. 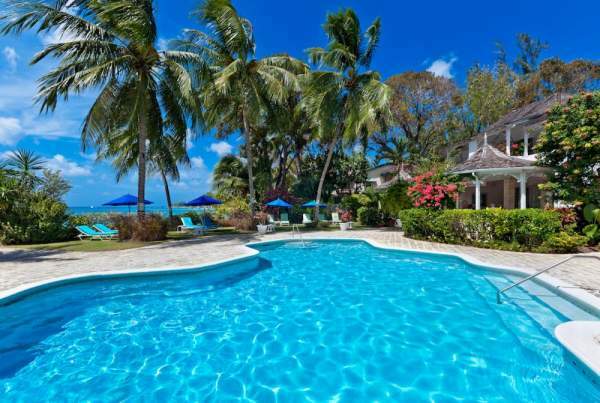 This 1 bedroom resort villa is luxurious and comfortable, and right on the beach Has specials. 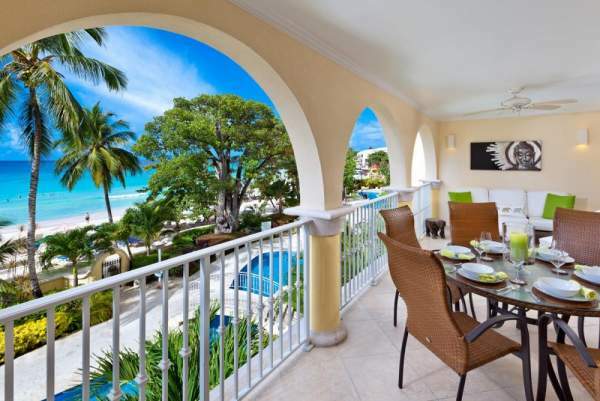 Gorgeous villa with stunning balcony views and all the amenities you could want from a resort! 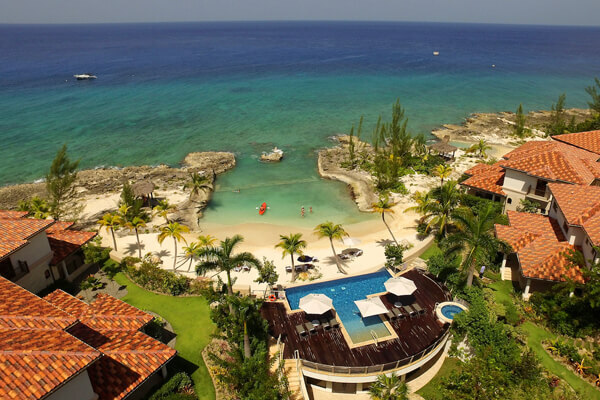 Wonderful views and all the amenities of Glitter Bay Resort Has specials. 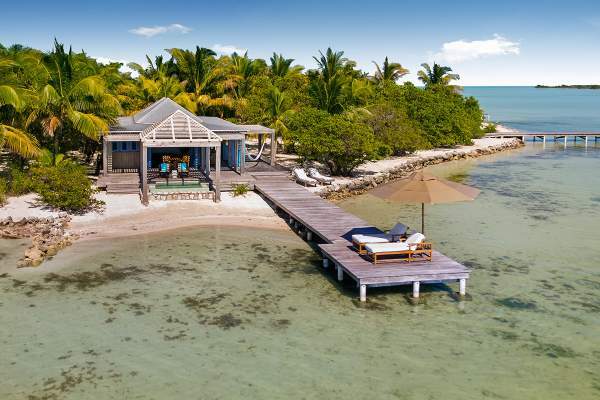 The ocean surrounds this one-bedroom beauty off the coast of Belize. 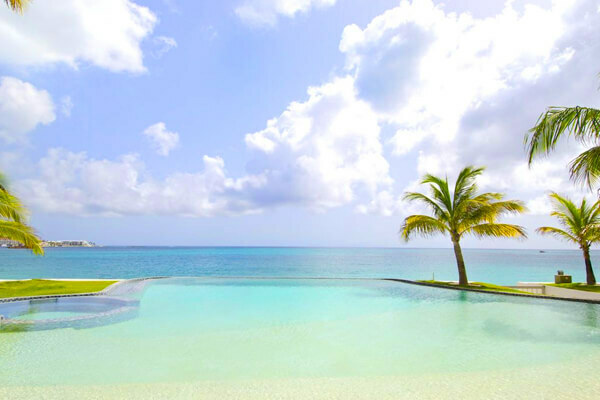 Rekindle romance just inches from the turquoise sea. 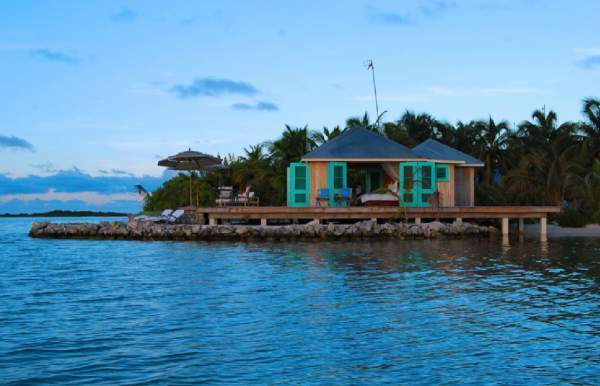 1500 square foot, one-bedroom bungalow on a private island. Gorgeous honeymoon suite with open-air design and easy ocean access. 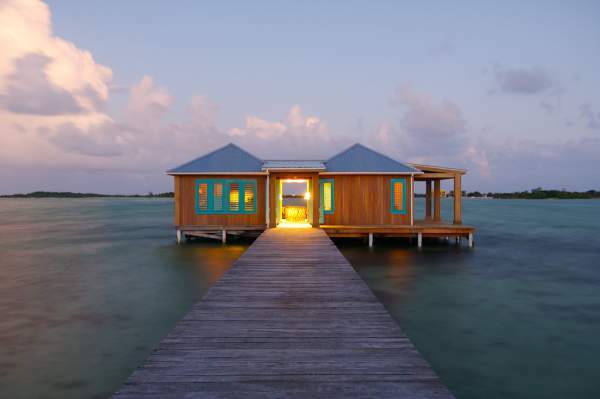 This over-the-water villa is surrounded by the sea and sits at the end of a 150-ft dock.